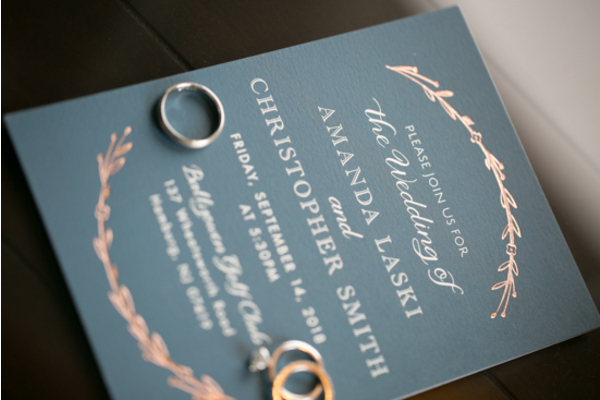 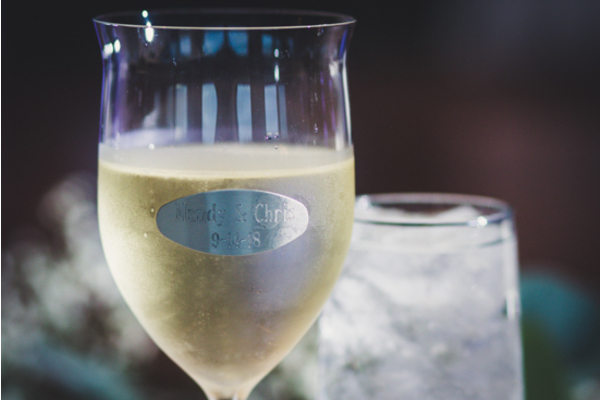 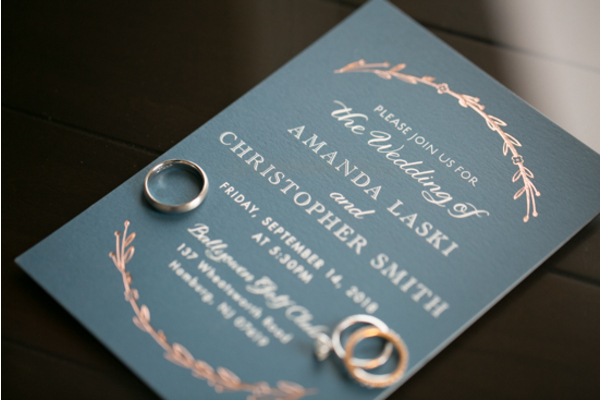 A huge congratulations to Amanda and Chris on their recent marriage! 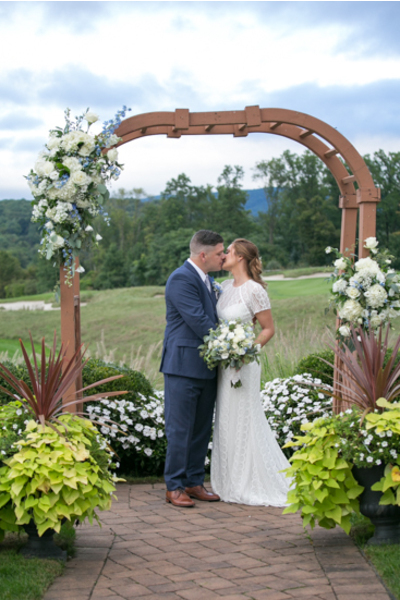 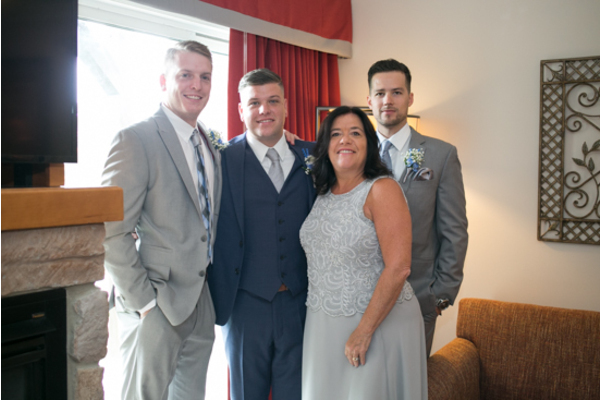 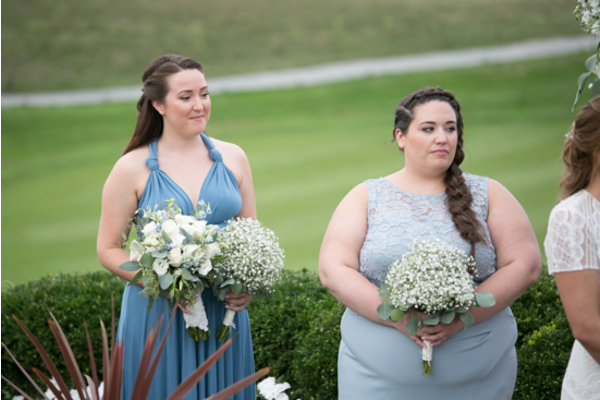 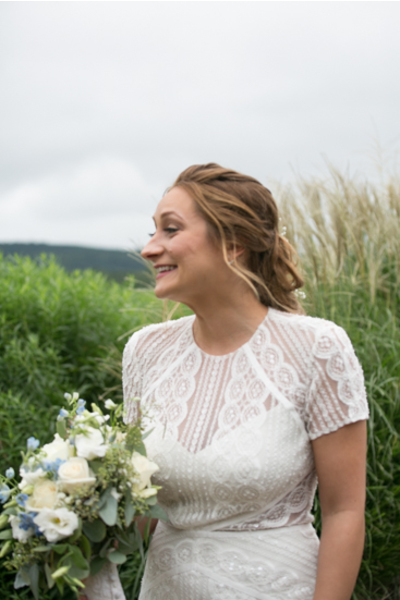 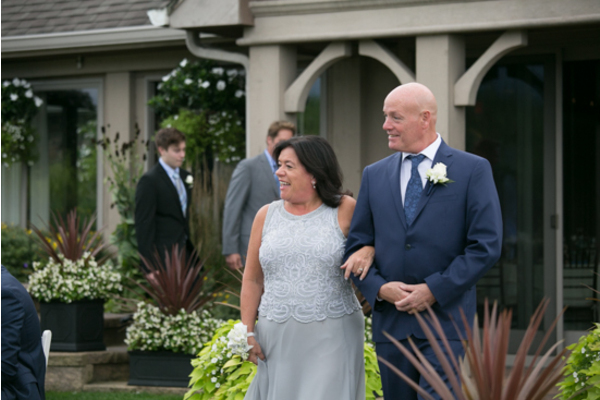 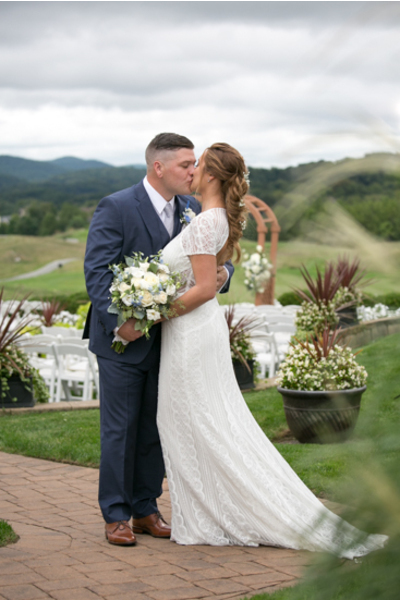 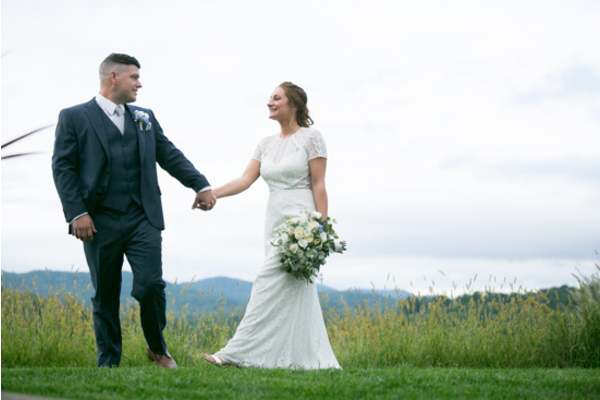 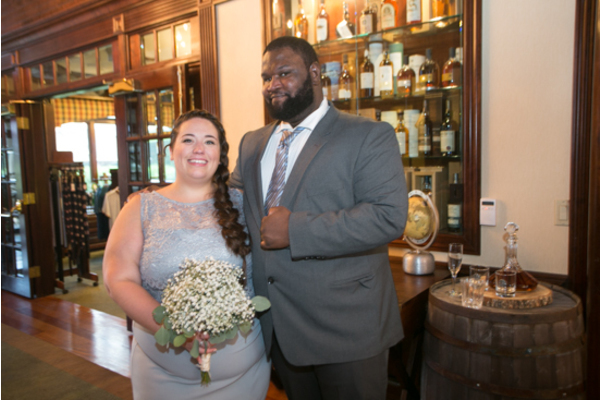 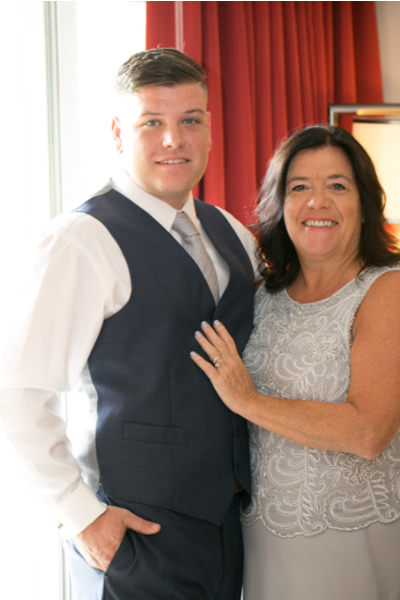 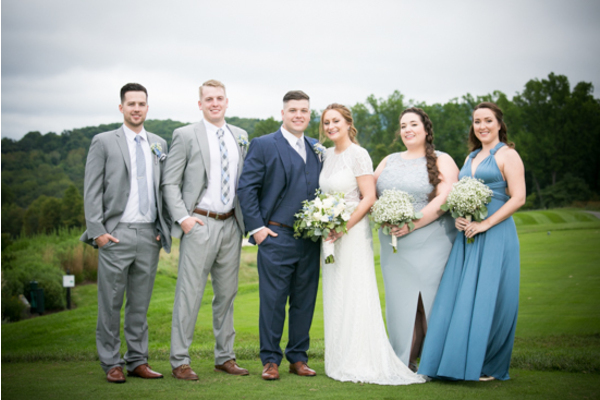 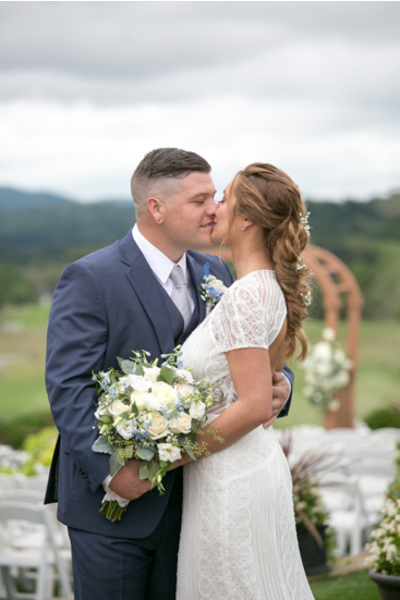 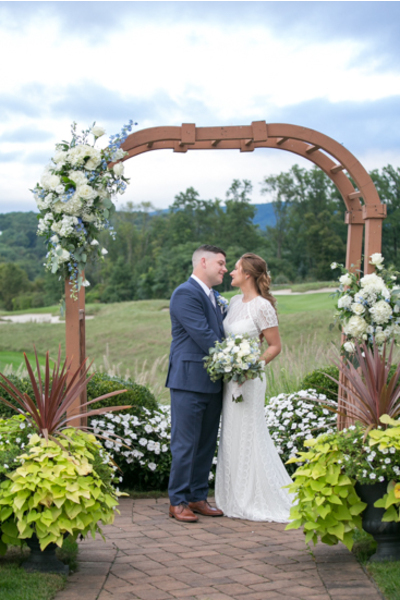 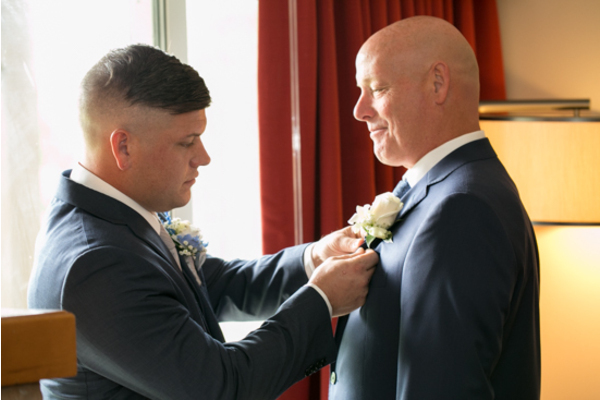 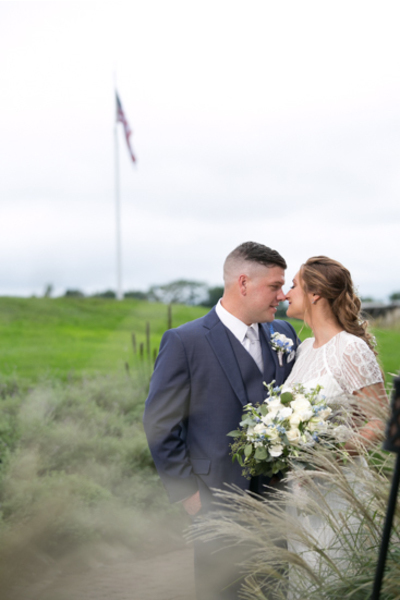 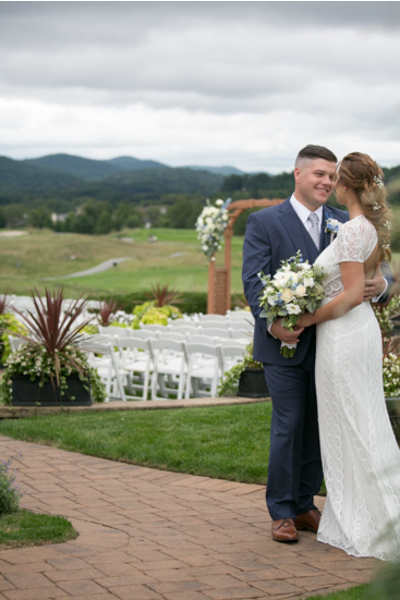 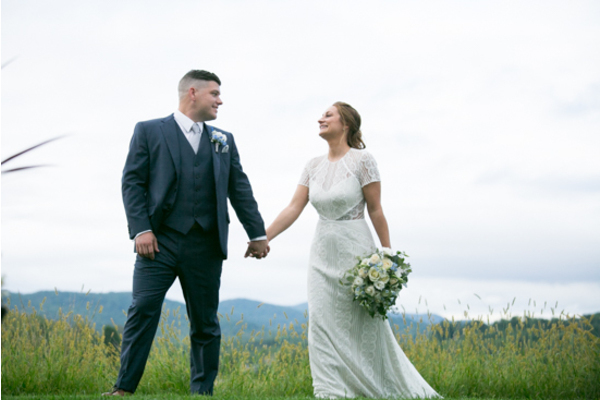 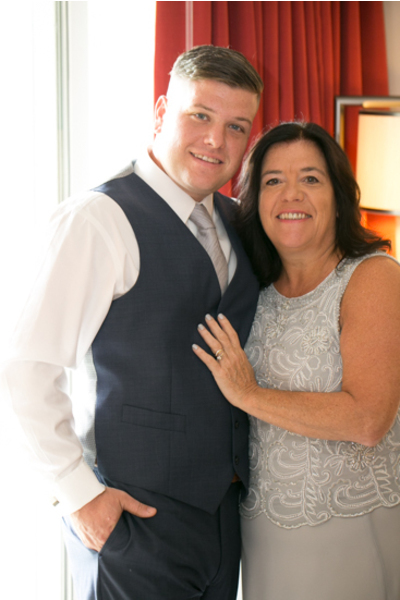 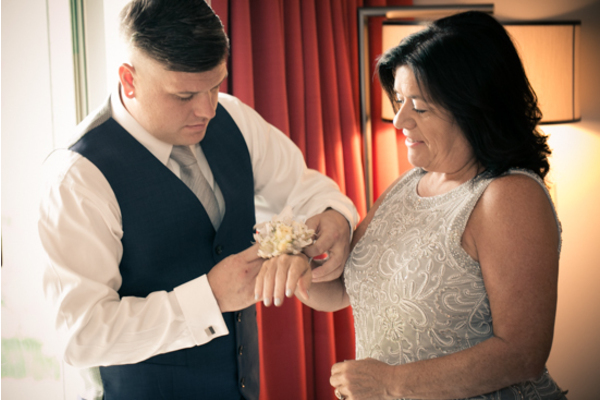 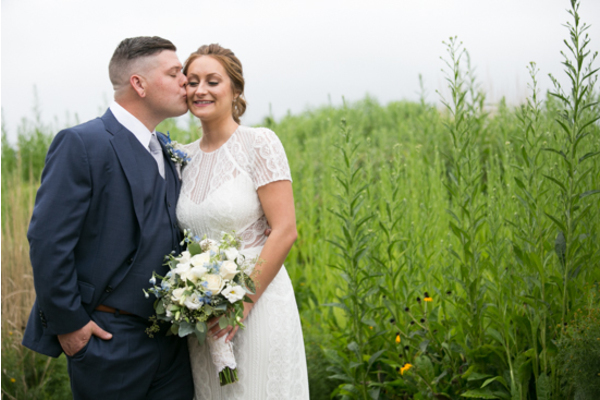 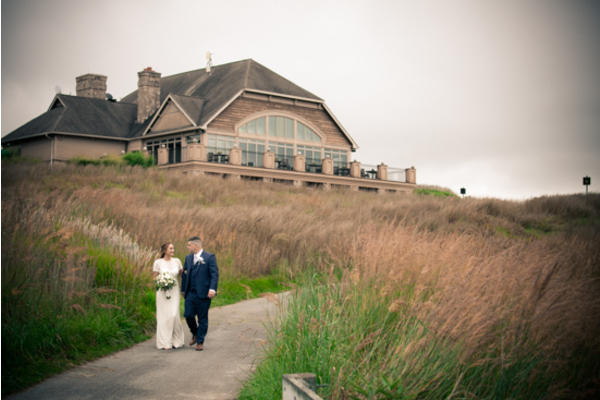 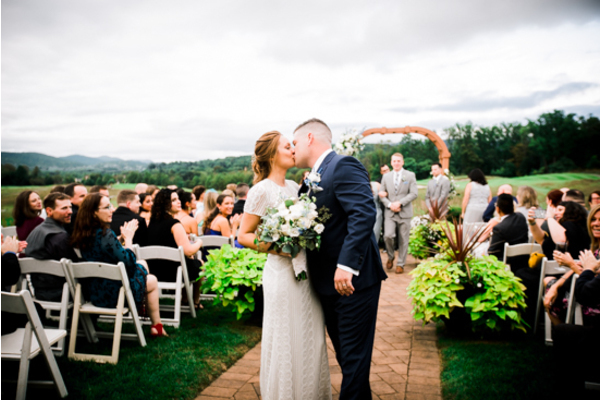 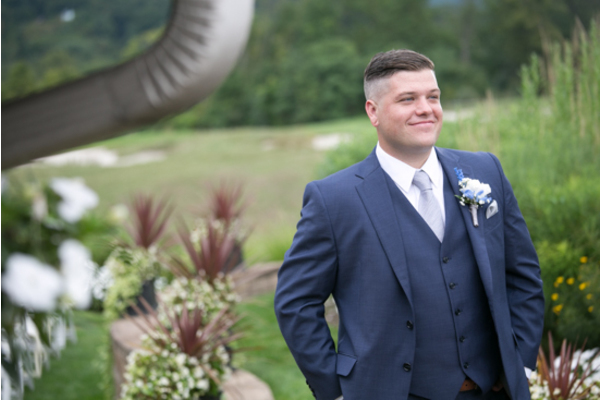 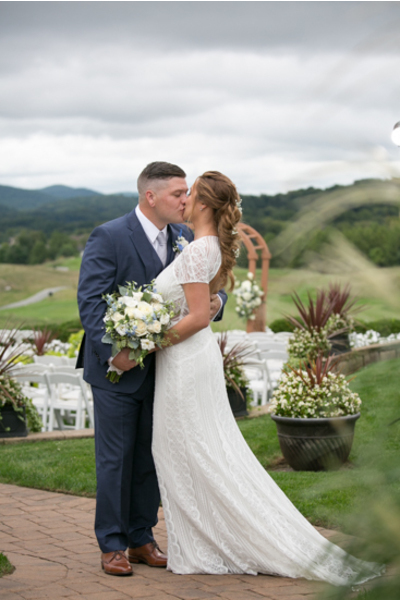 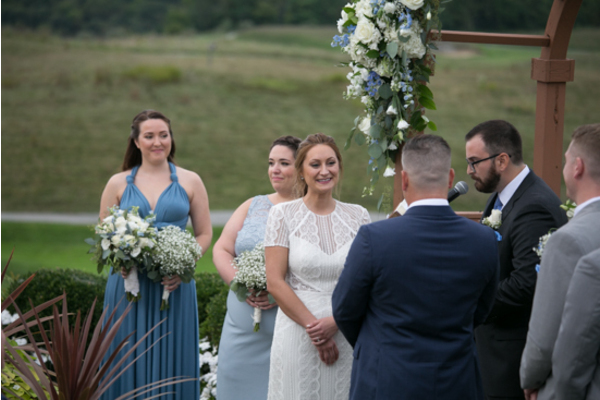 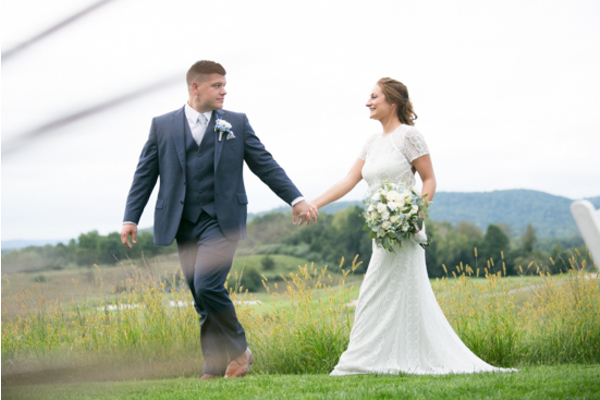 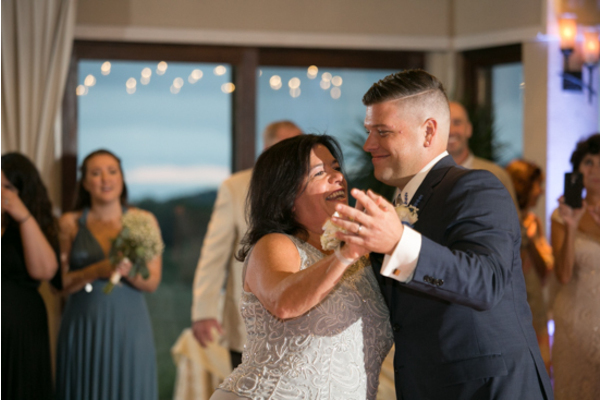 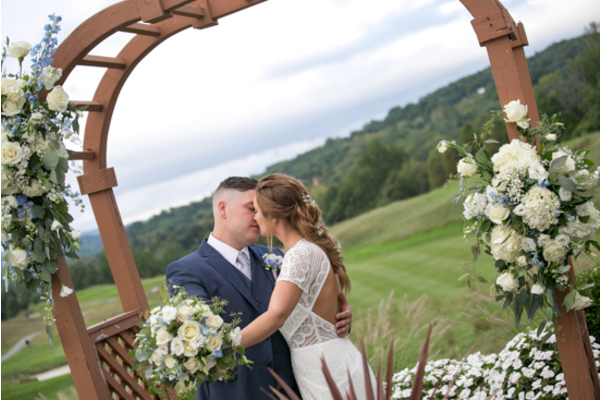 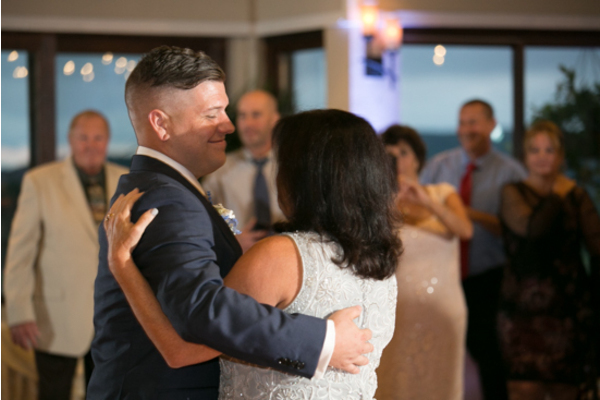 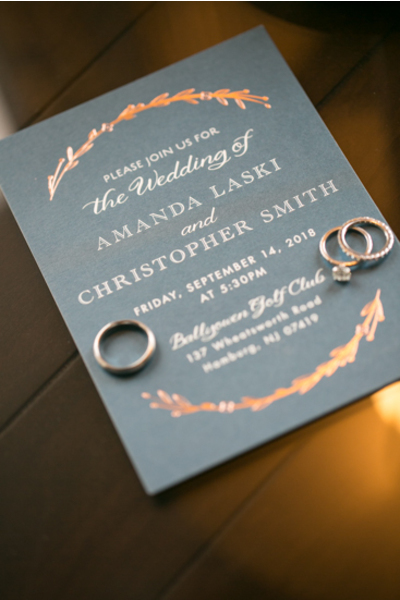 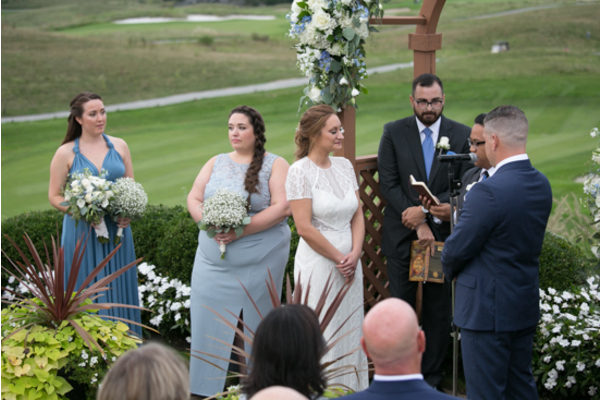 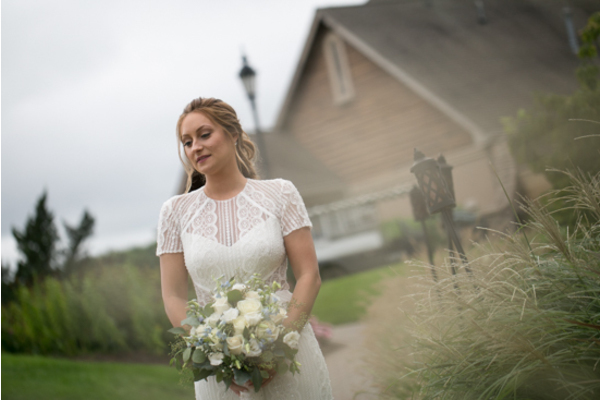 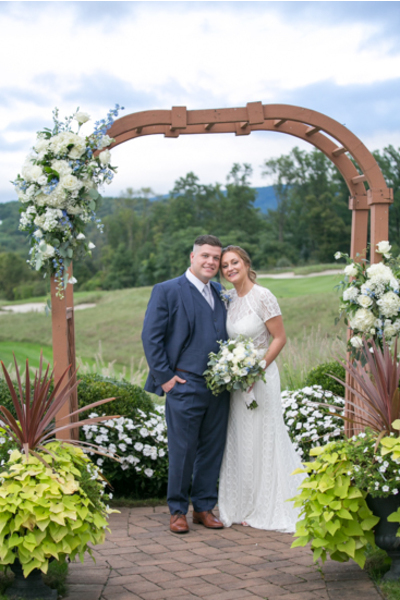 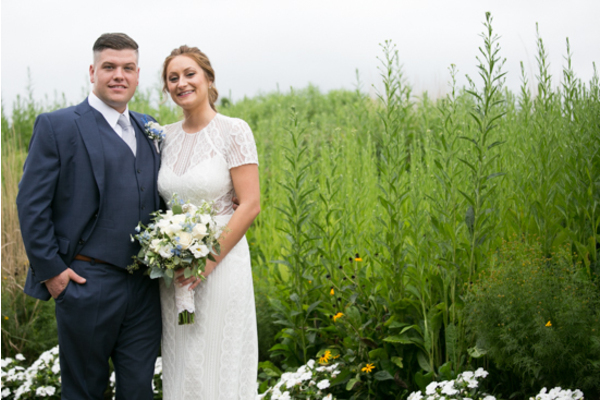 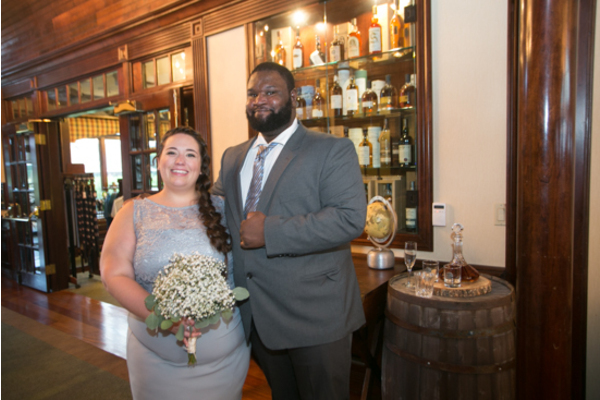 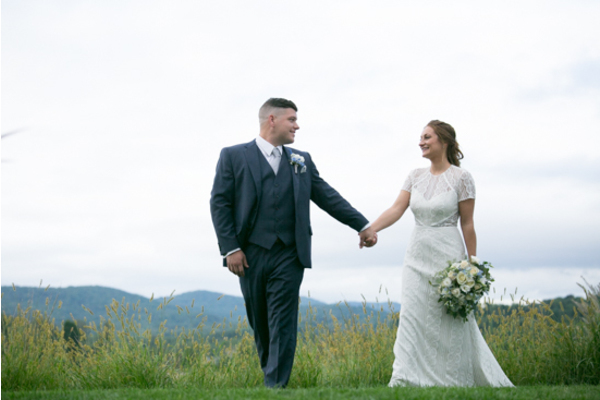 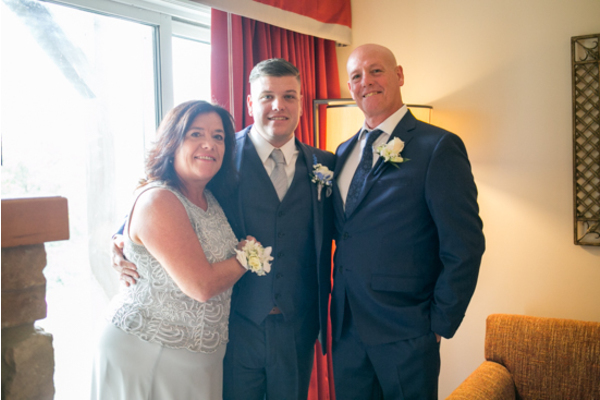 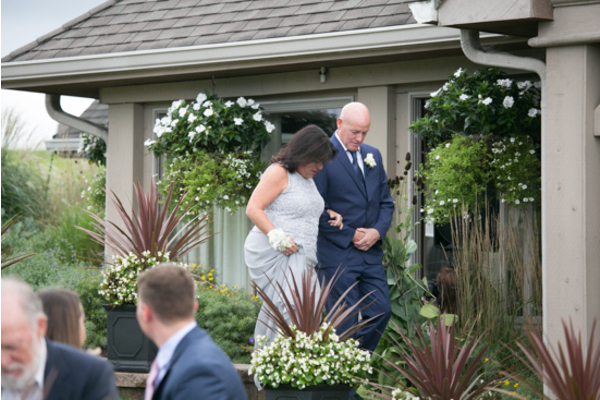 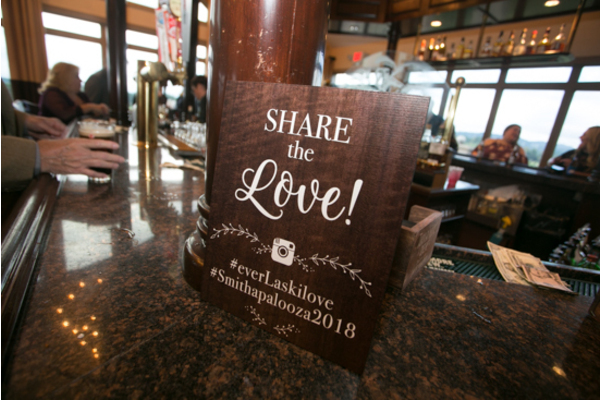 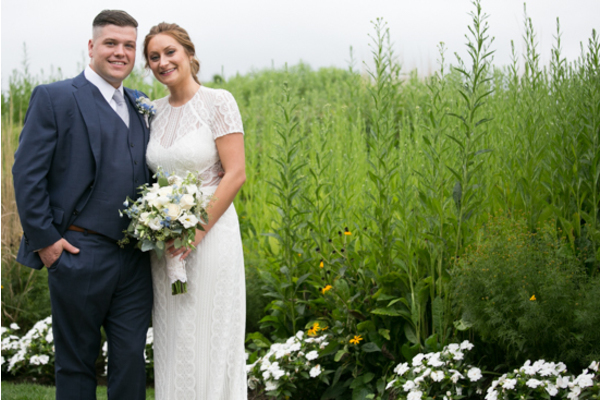 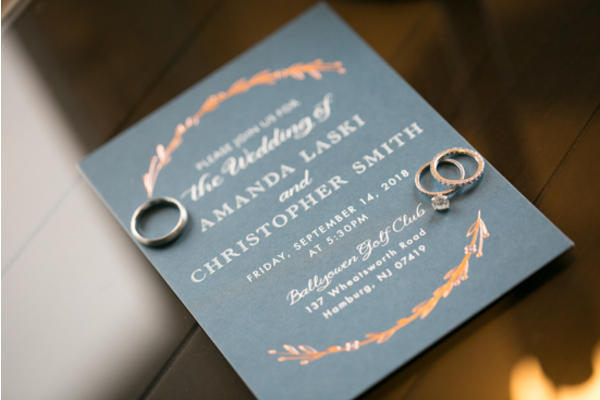 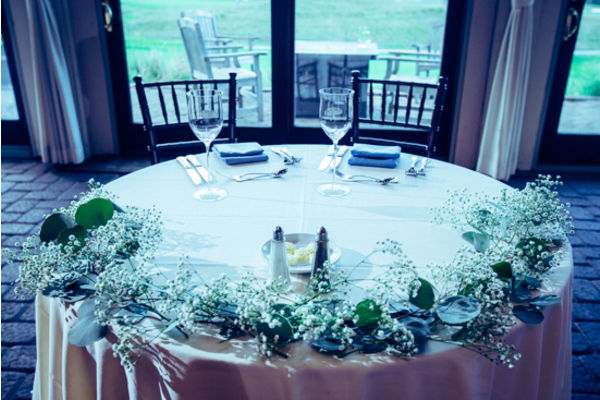 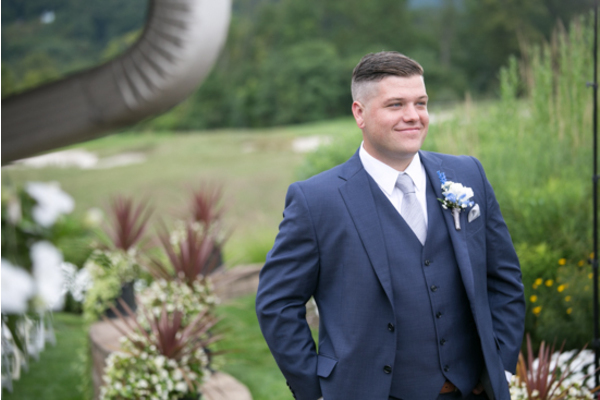 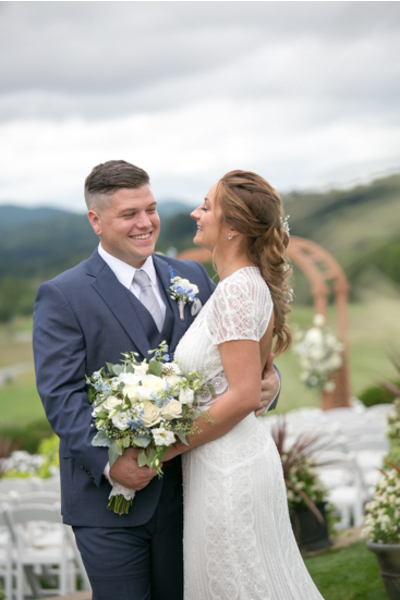 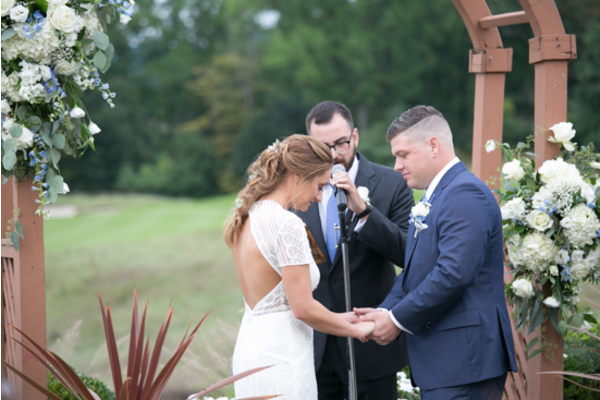 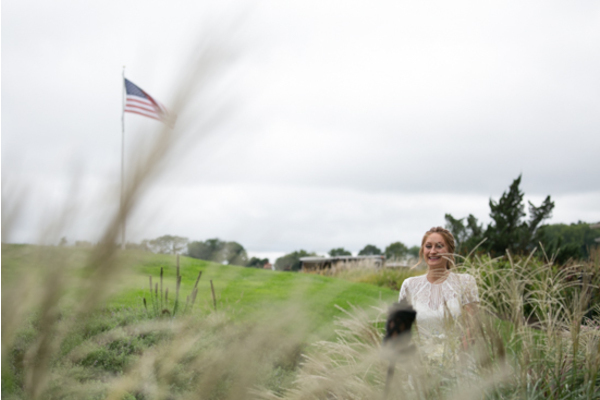 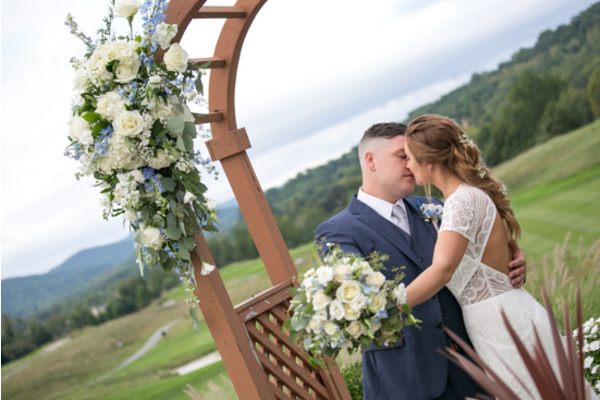 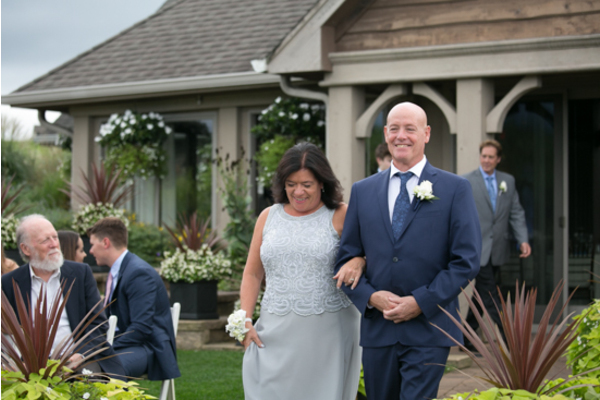 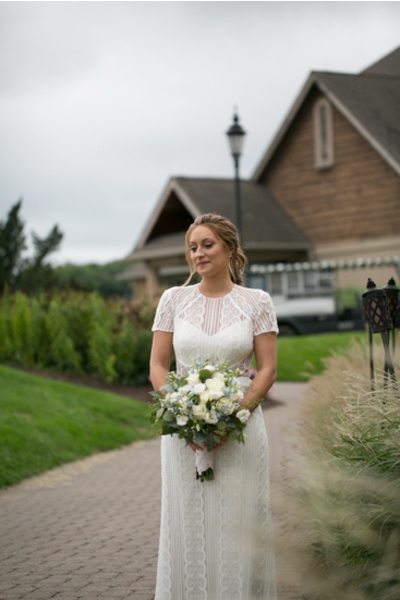 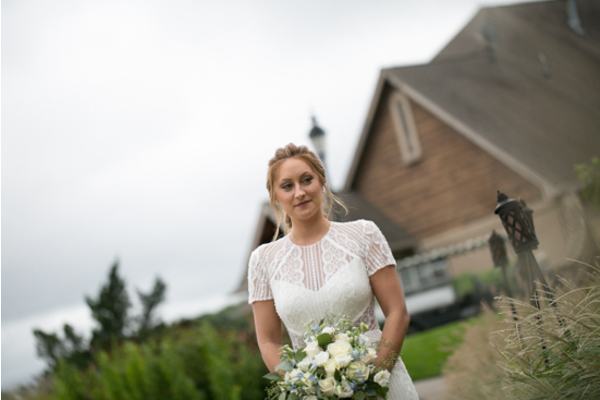 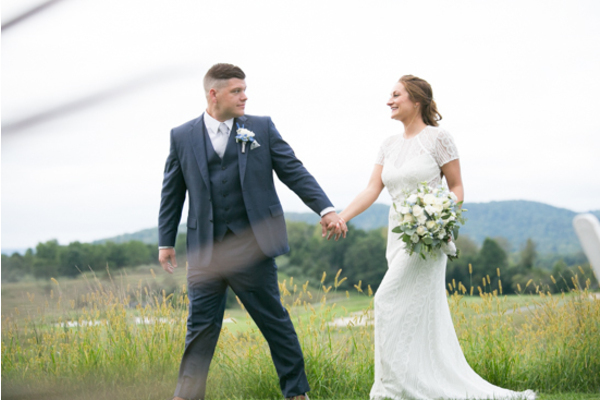 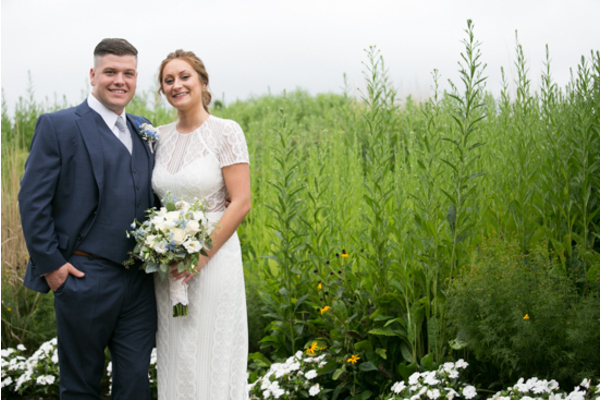 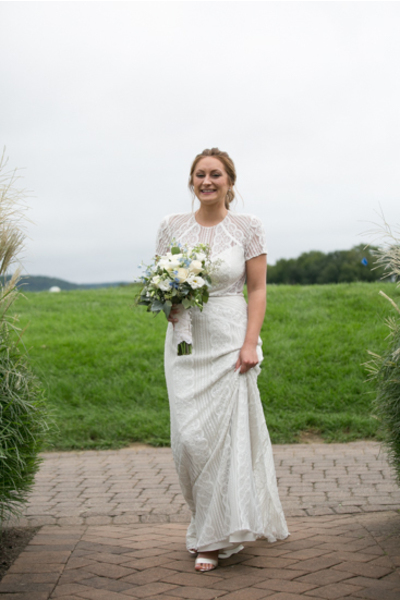 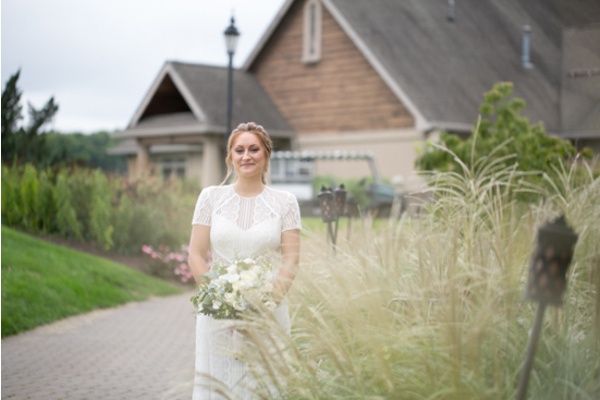 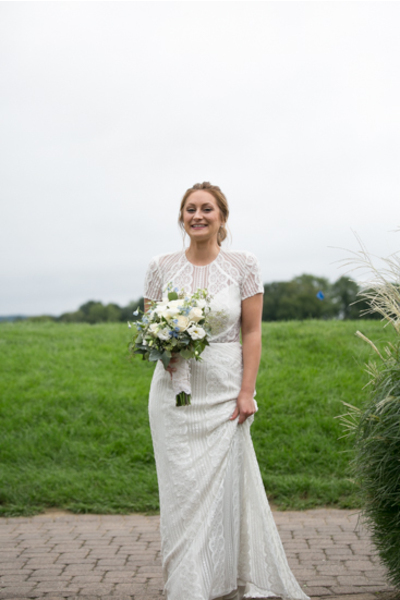 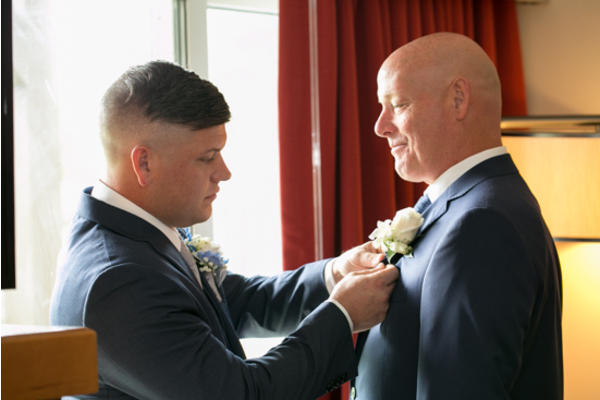 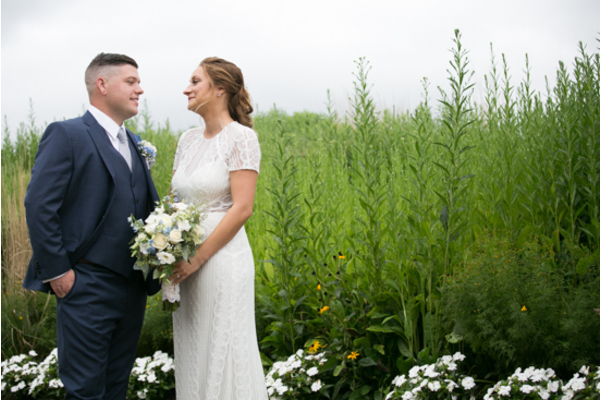 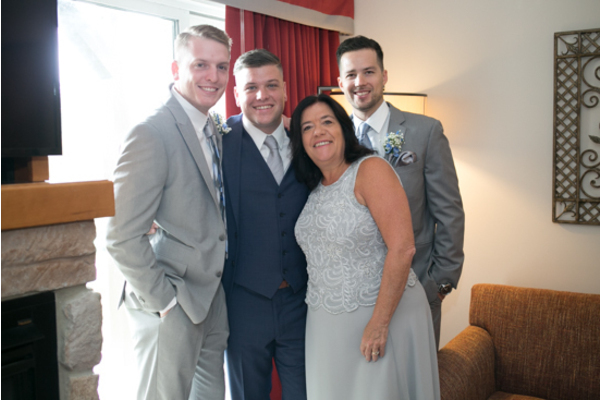 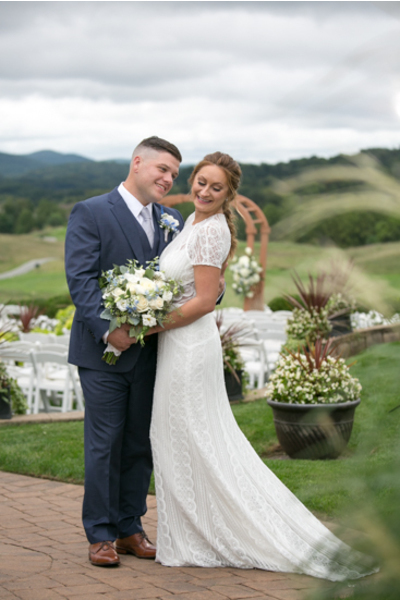 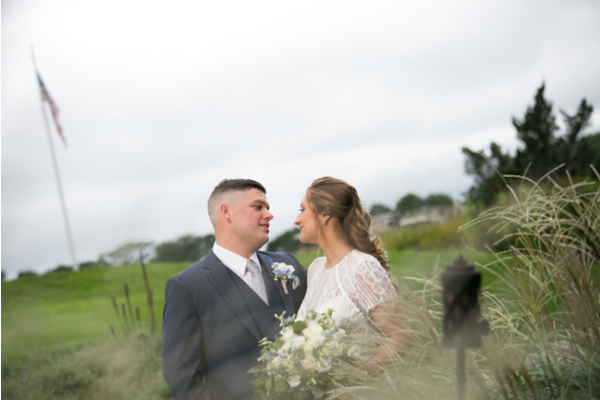 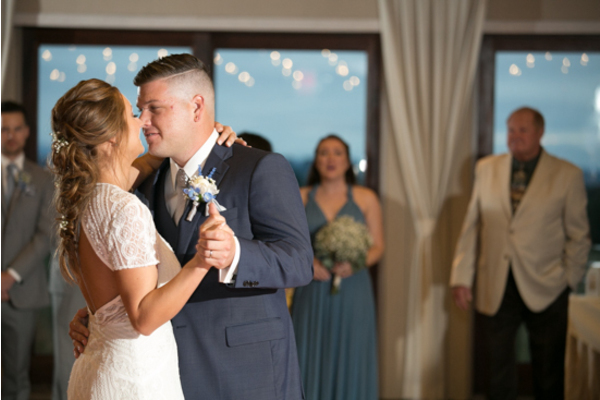 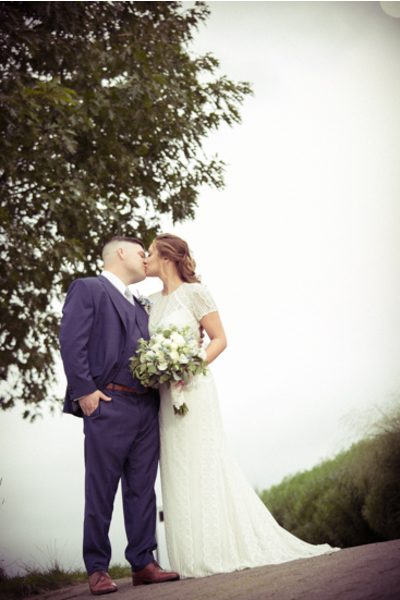 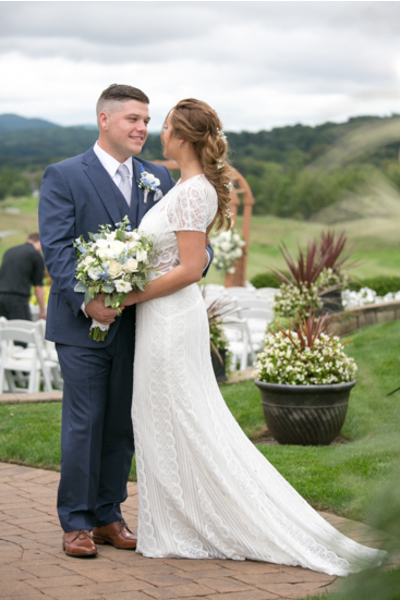 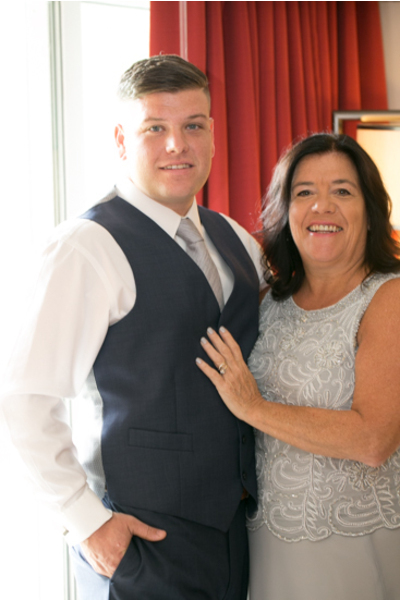 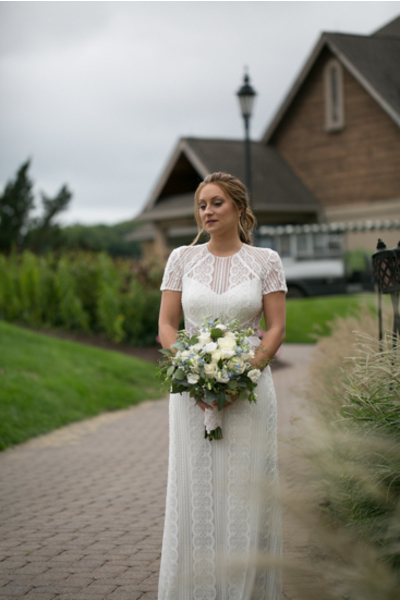 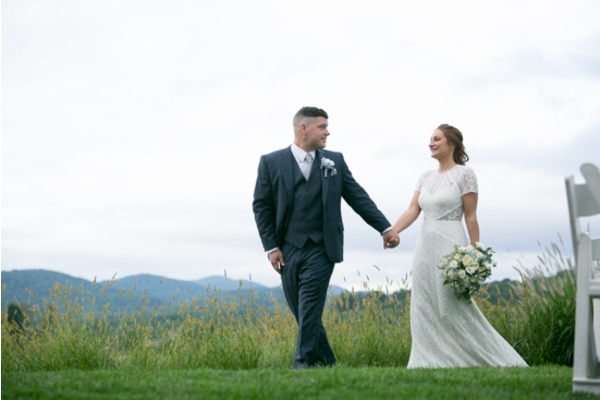 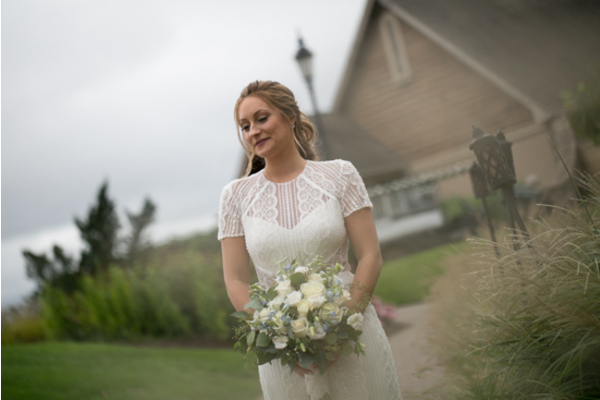 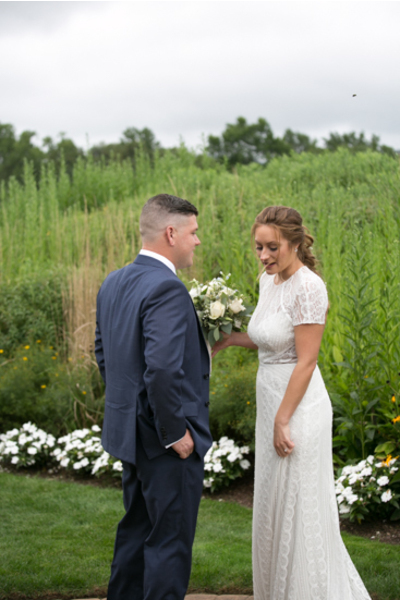 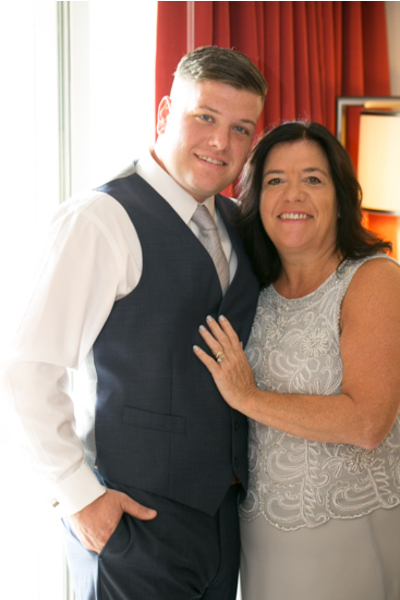 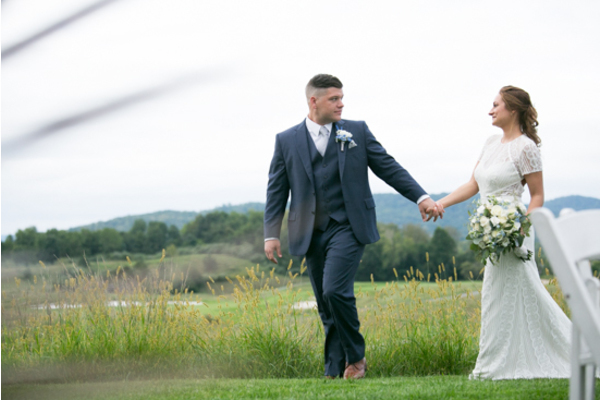 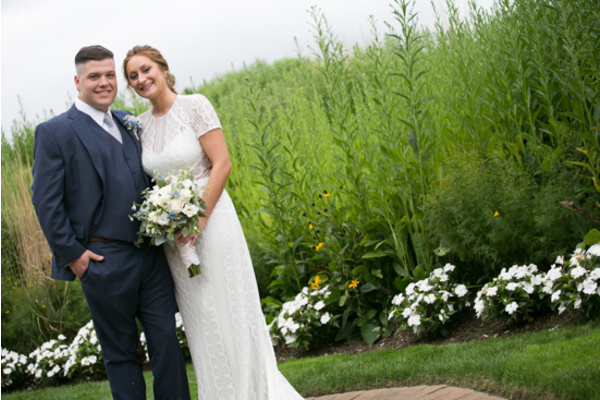 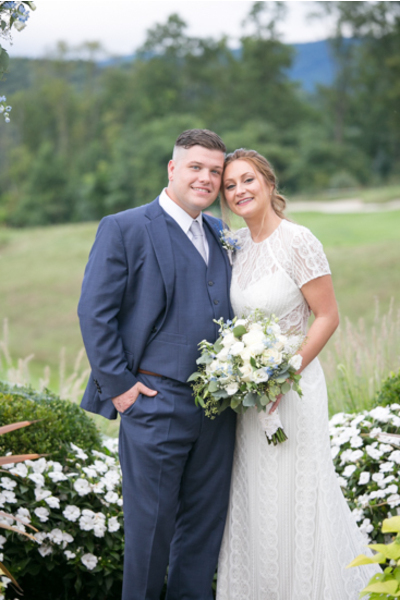 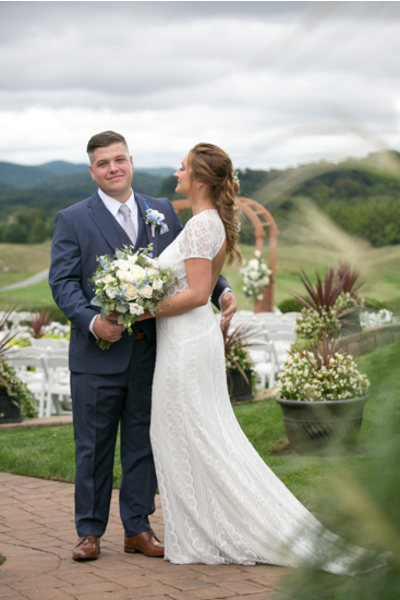 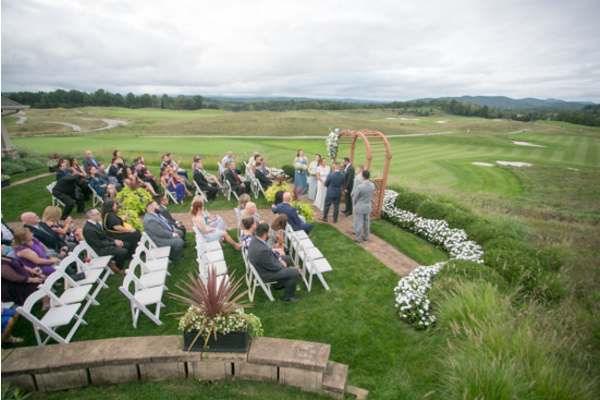 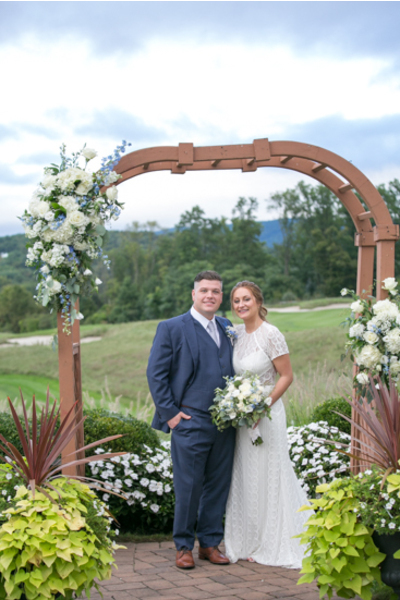 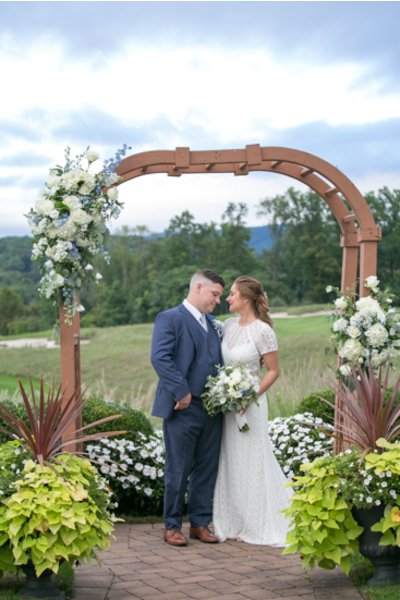 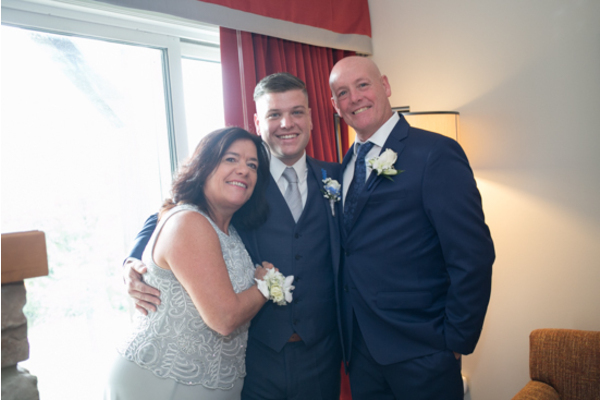 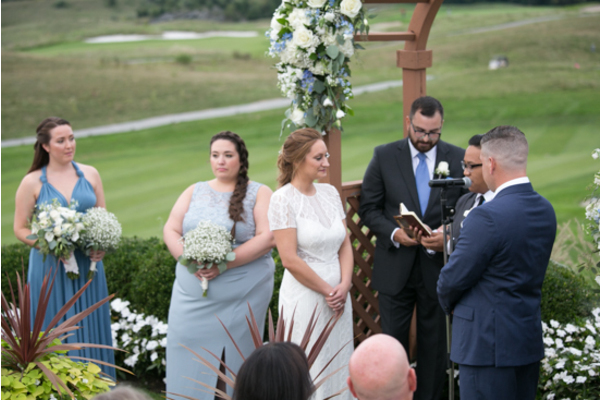 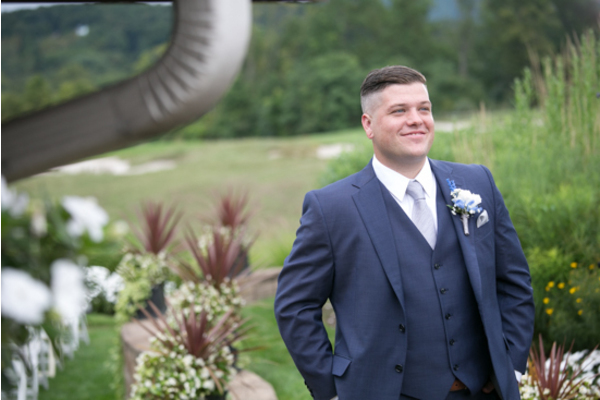 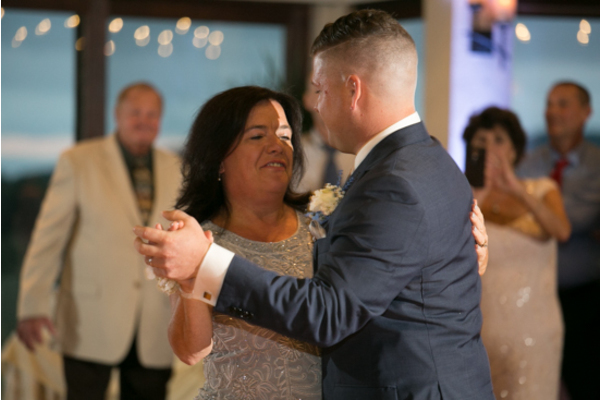 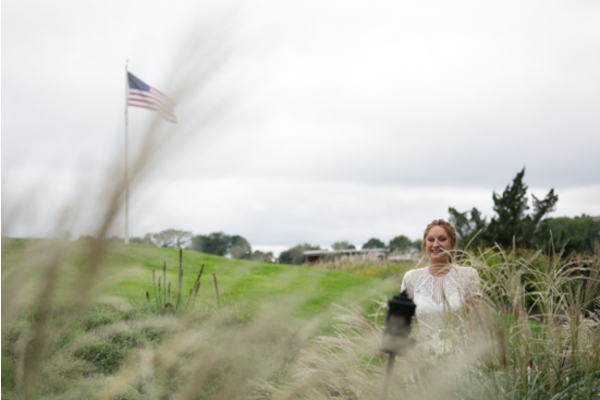 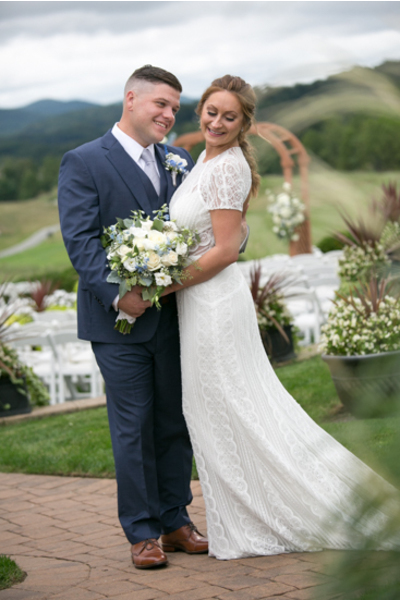 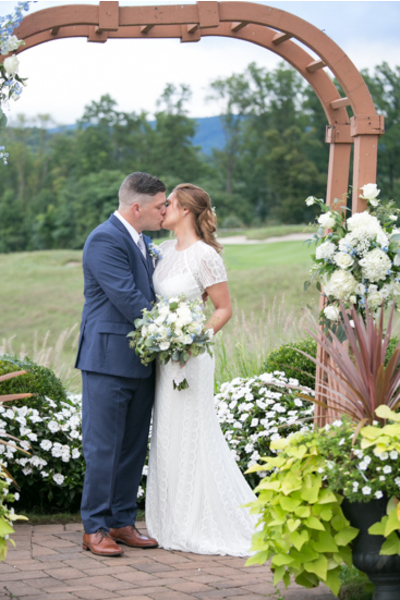 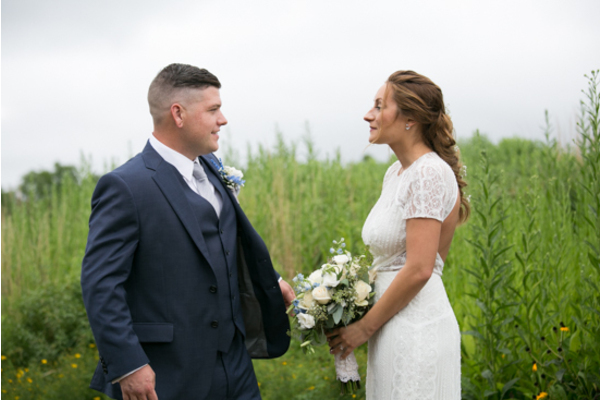 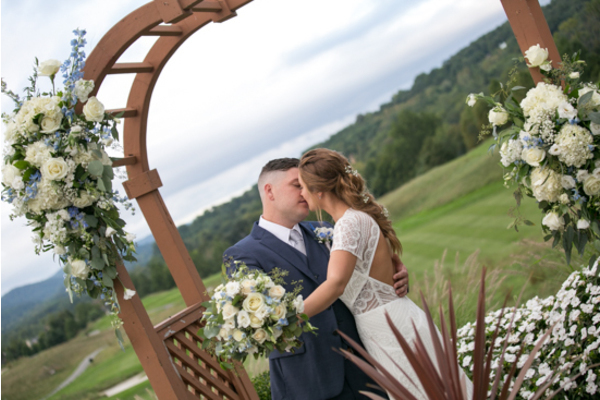 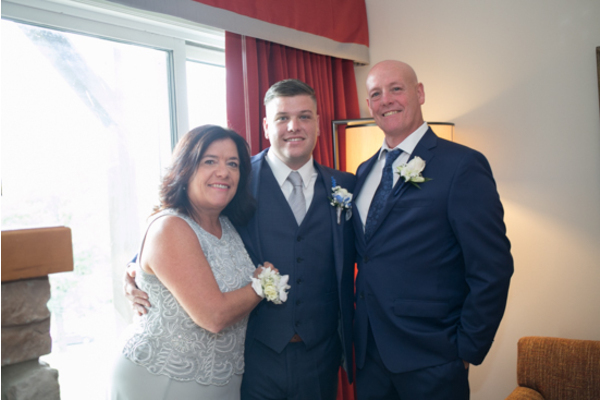 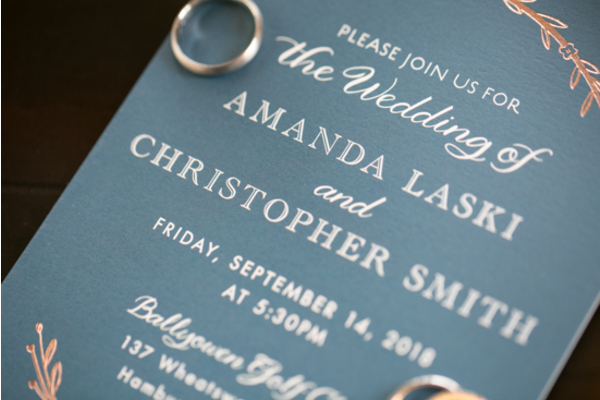 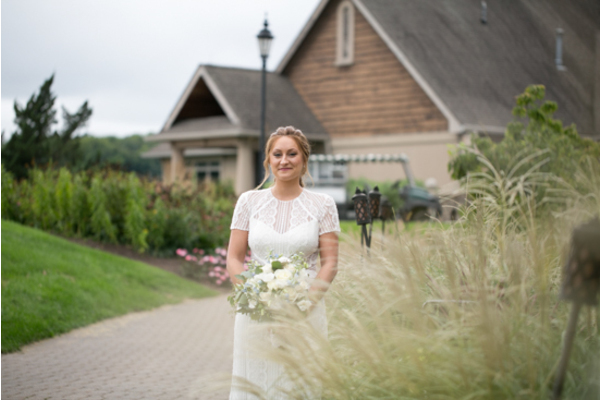 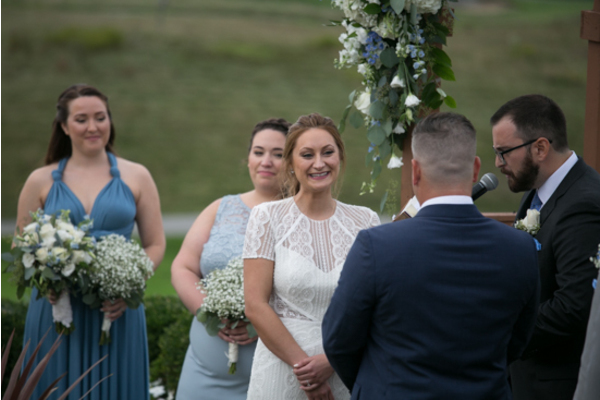 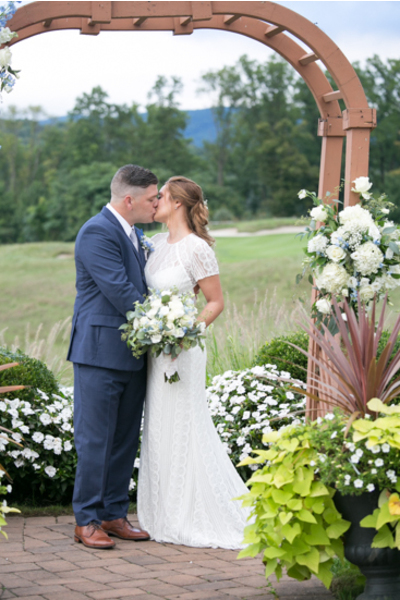 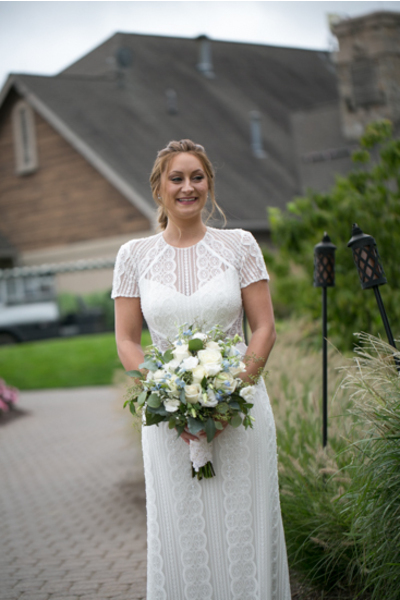 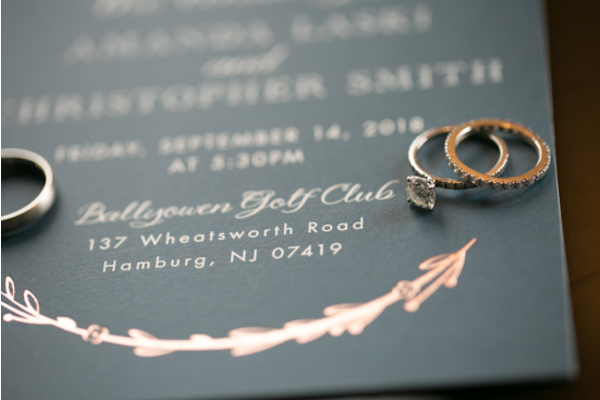 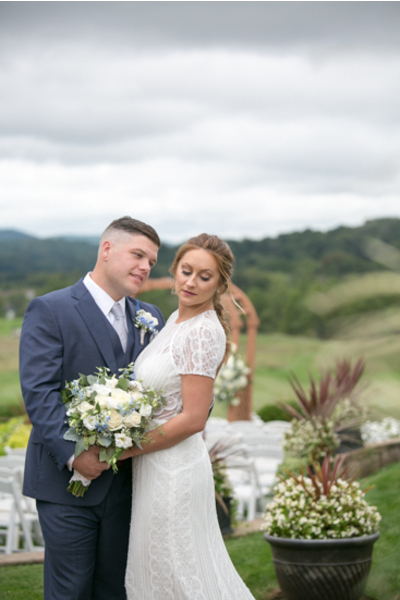 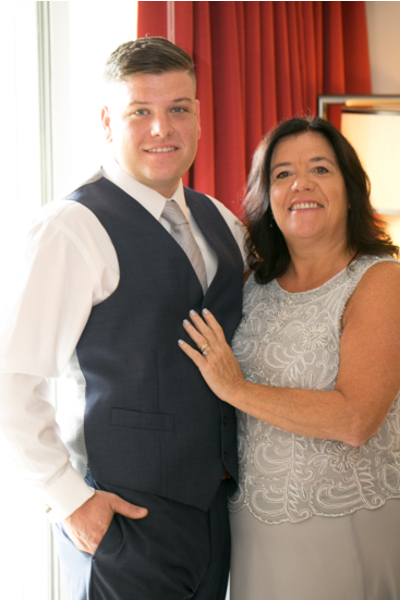 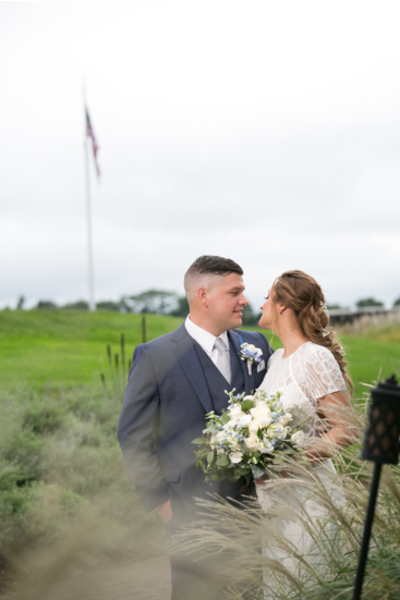 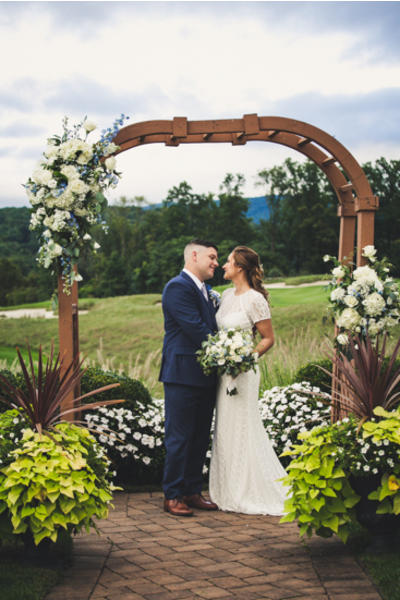 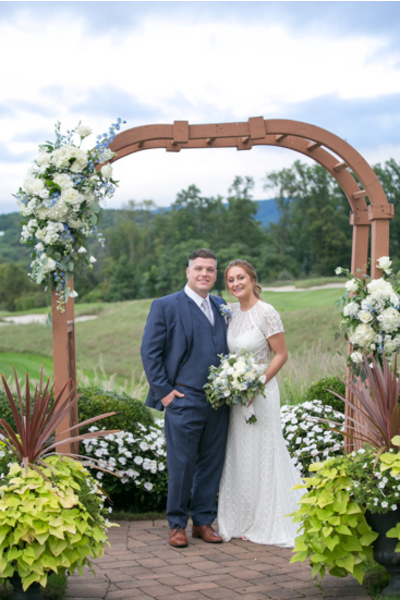 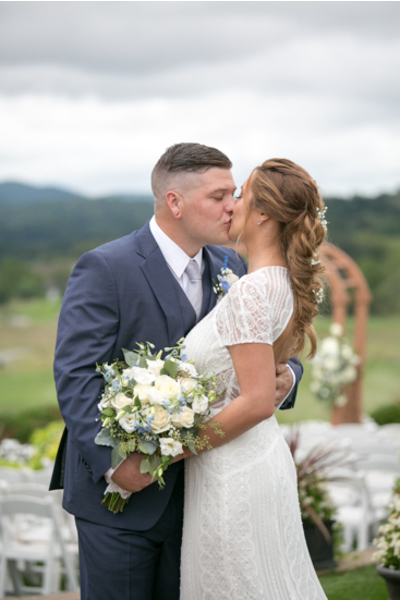 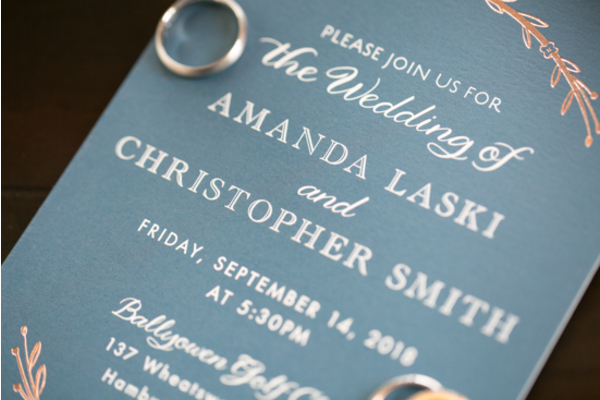 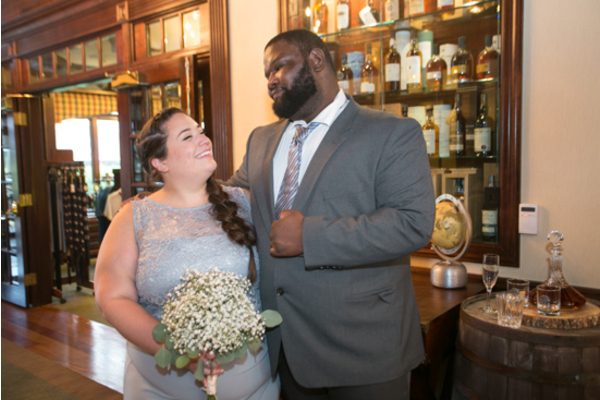 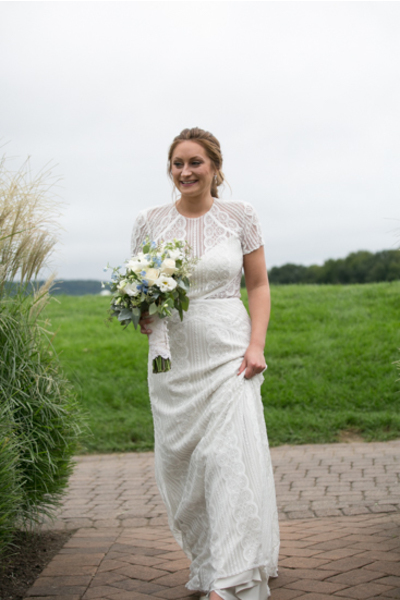 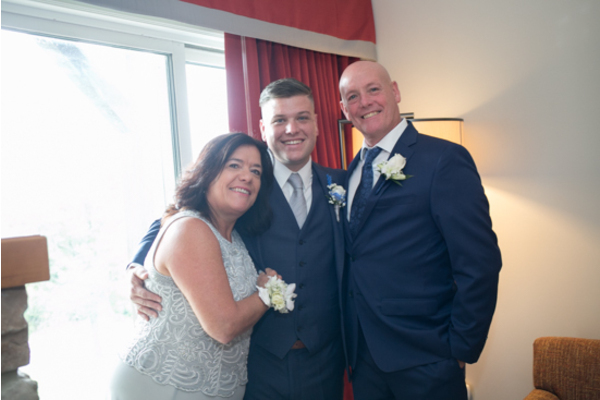 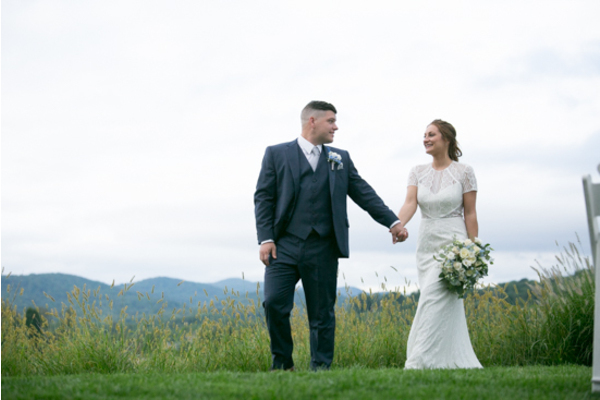 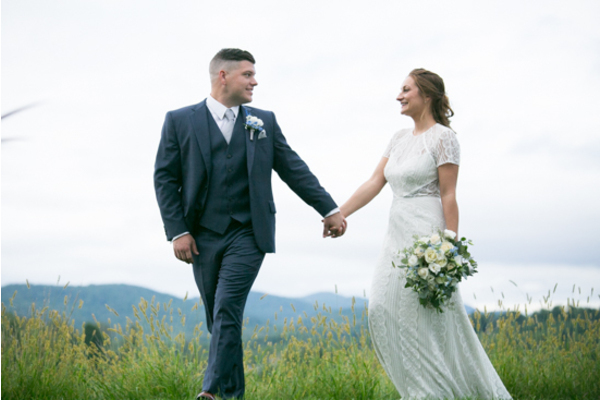 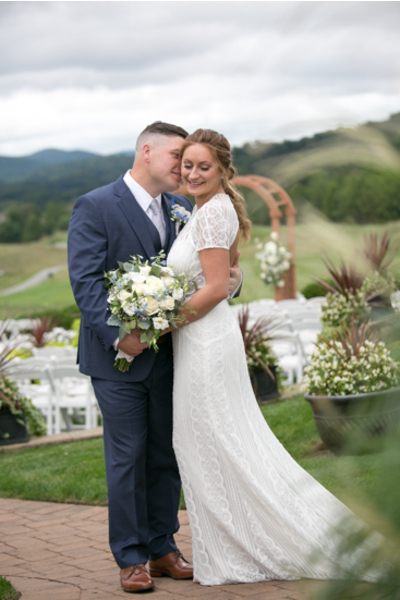 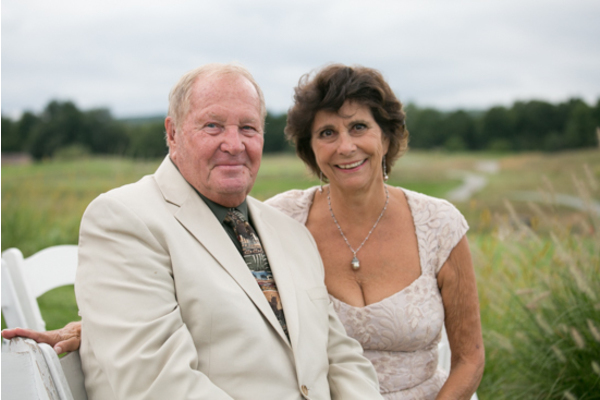 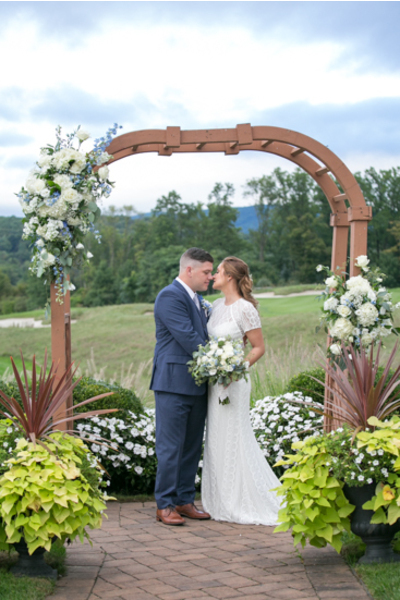 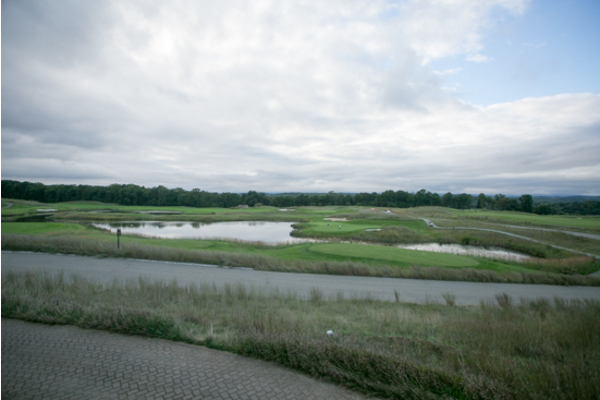 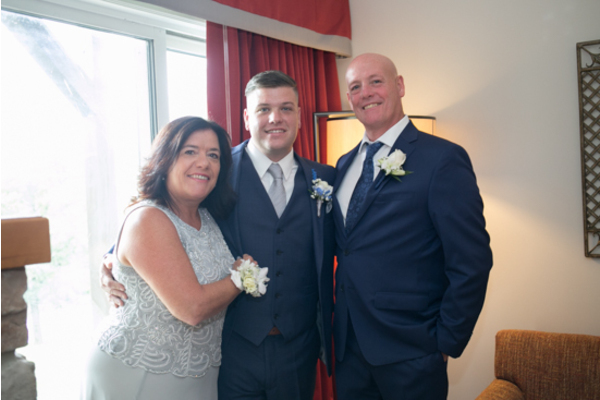 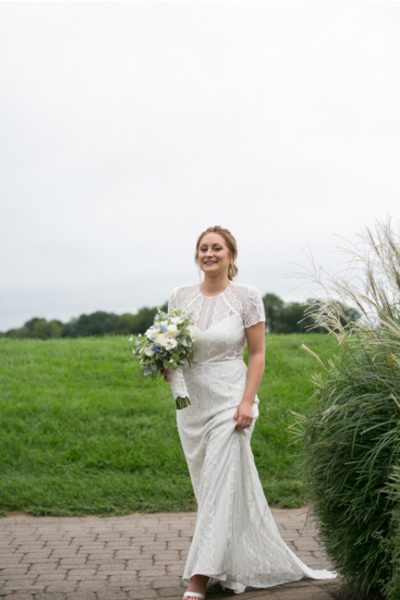 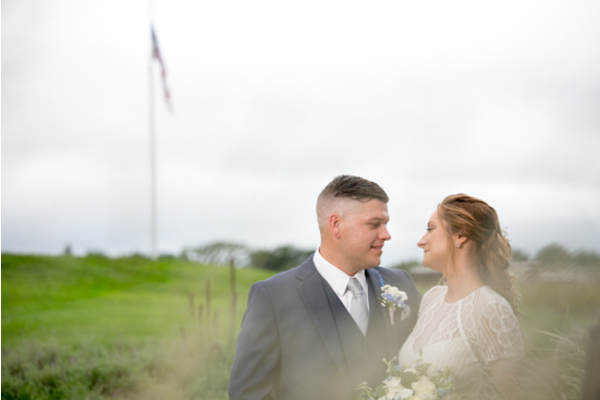 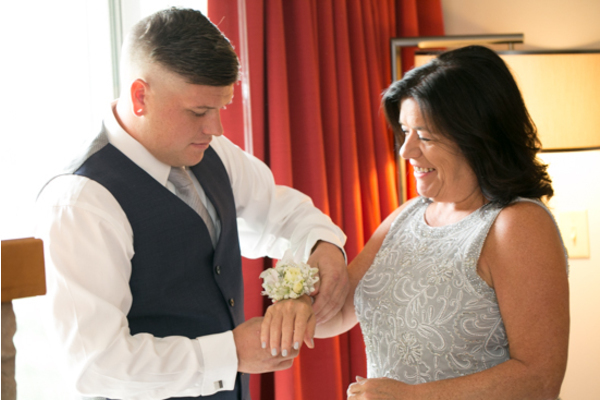 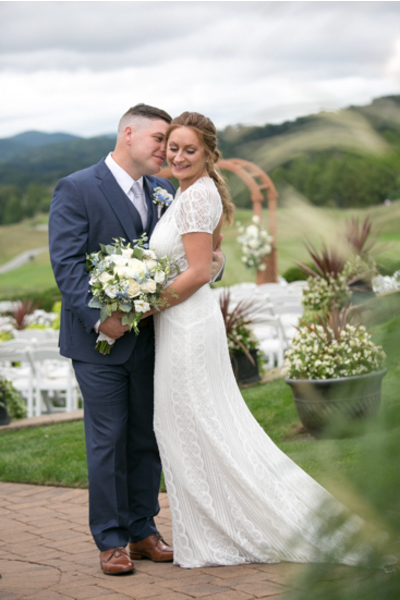 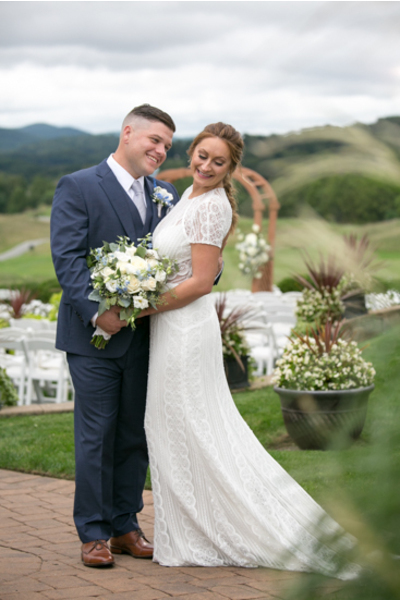 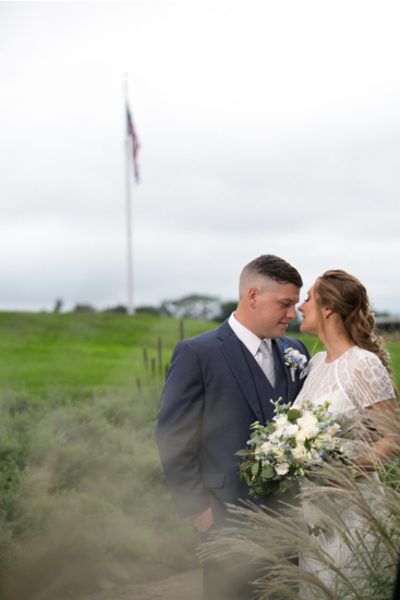 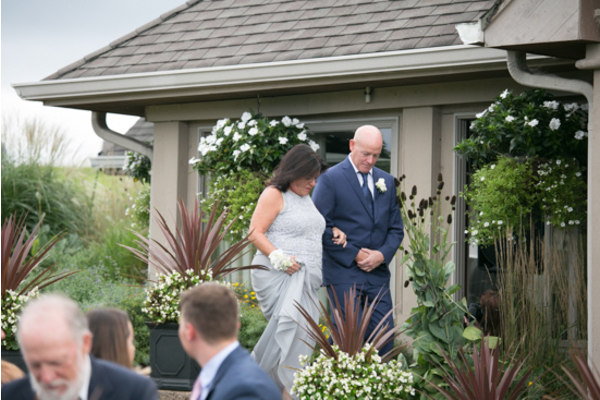 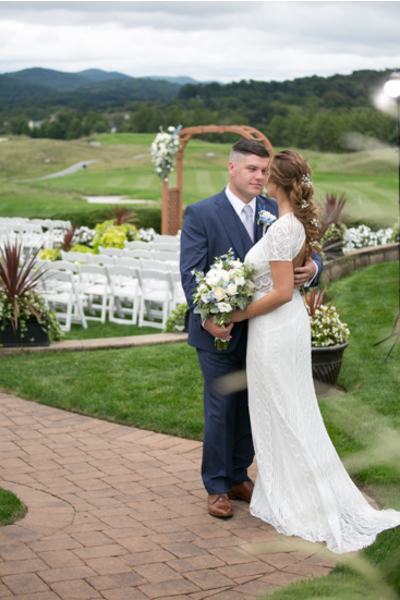 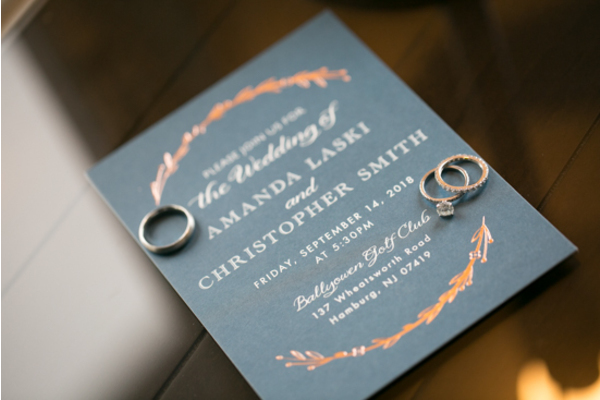 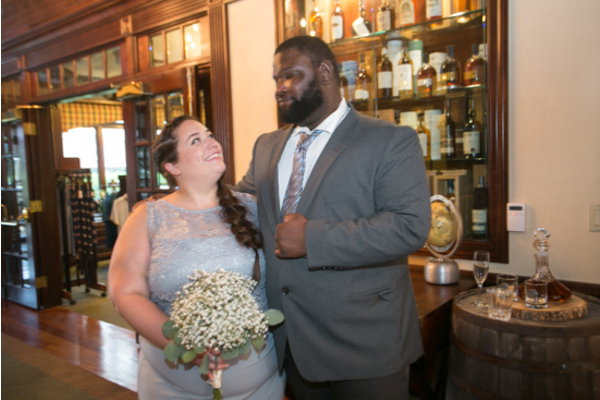 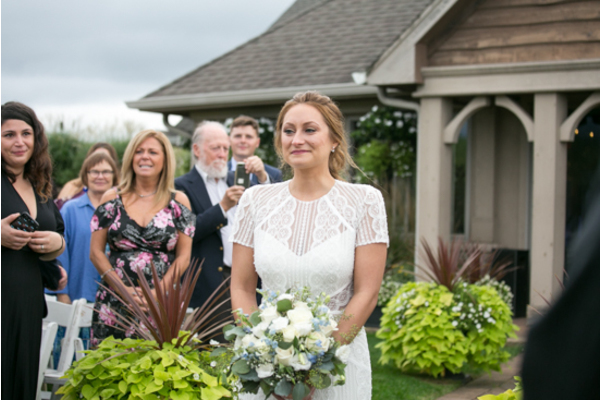 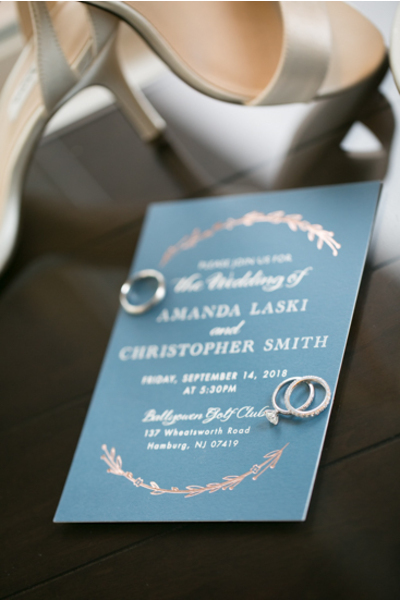 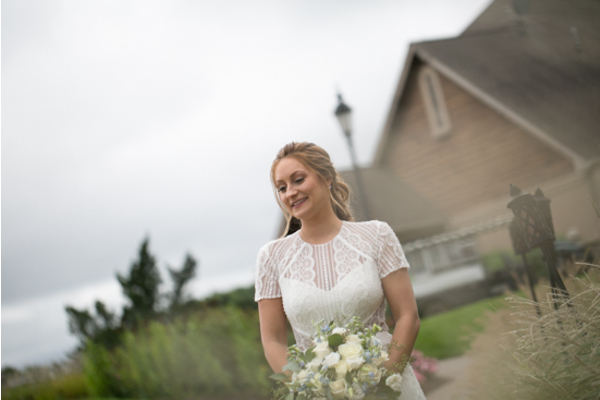 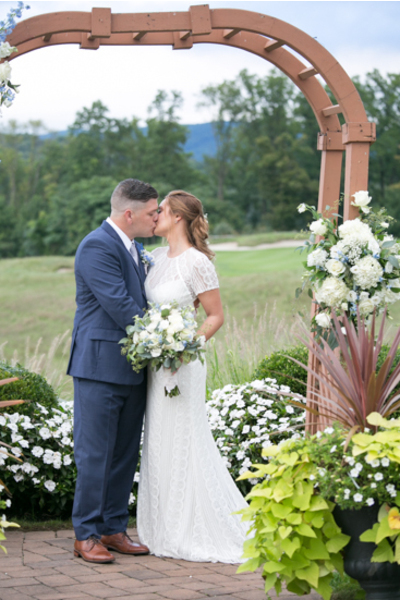 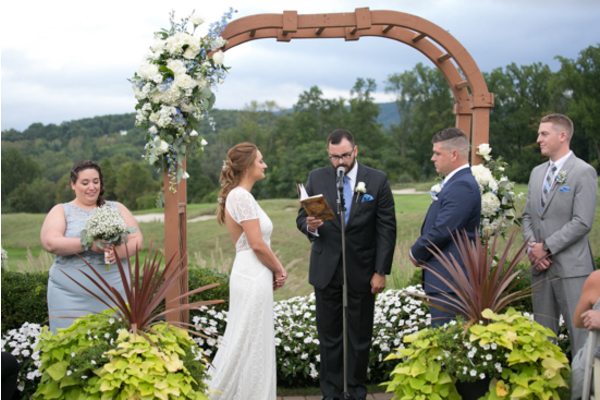 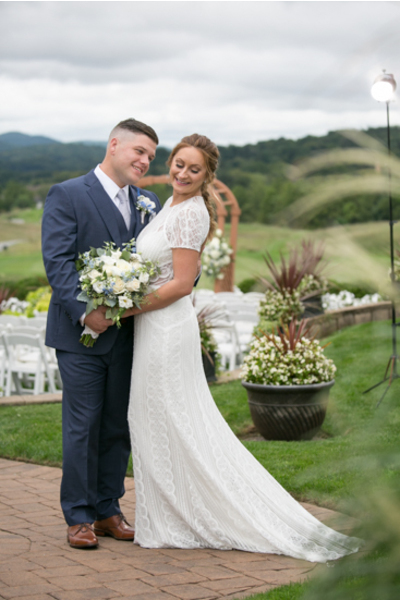 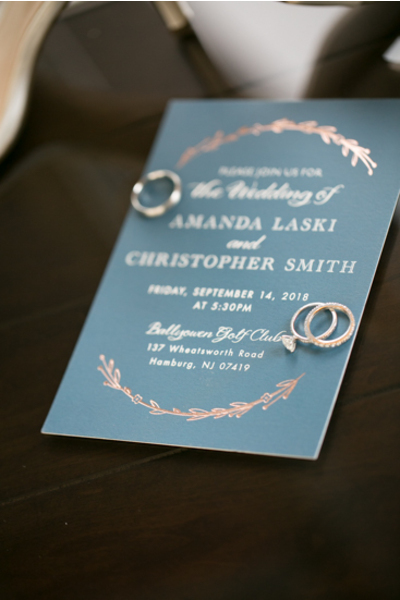 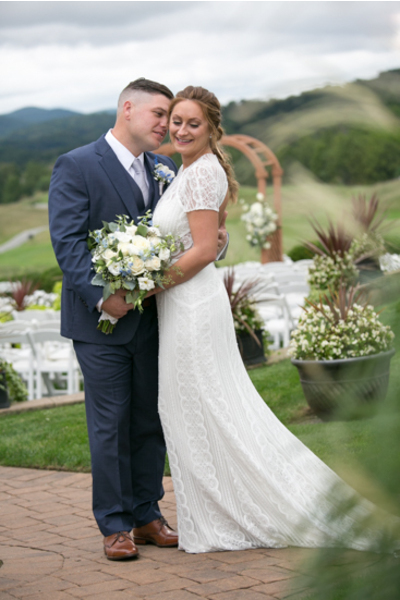 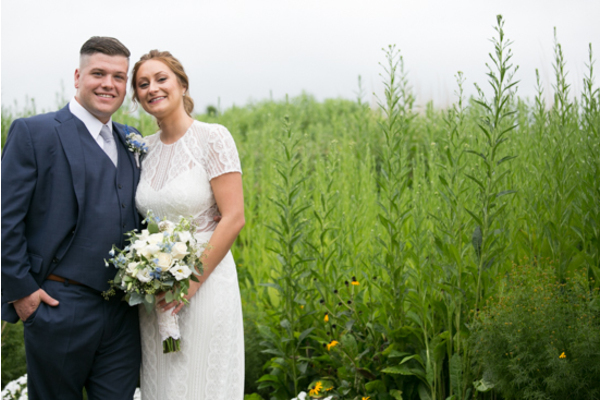 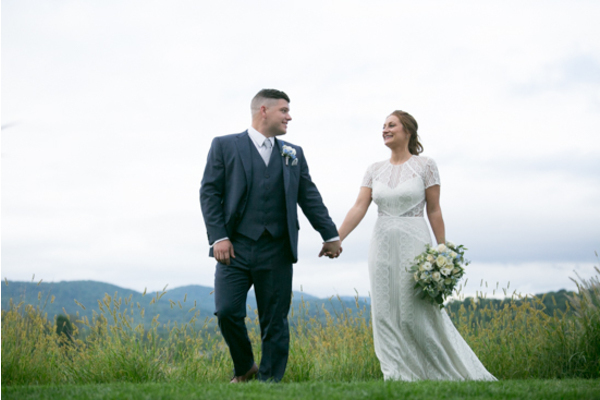 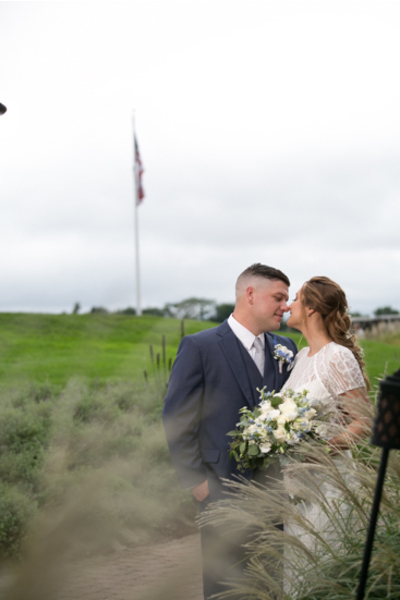 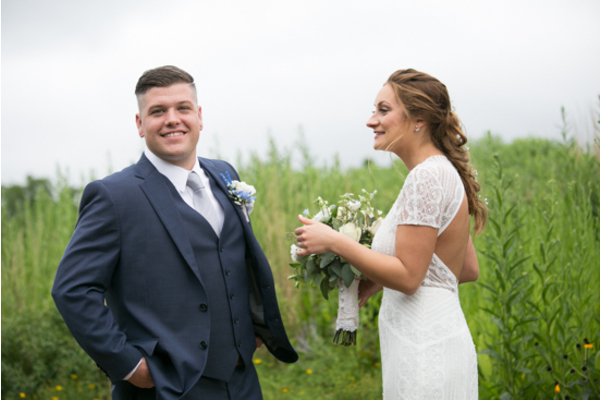 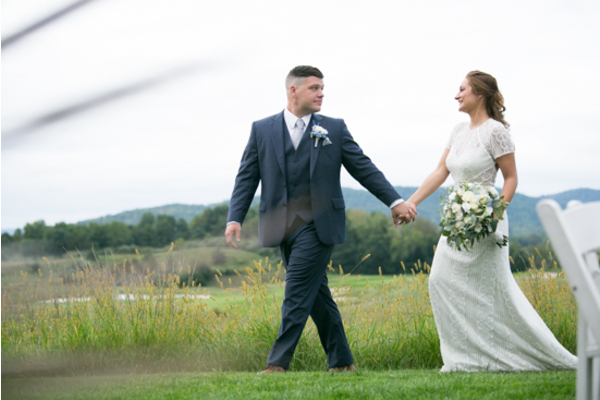 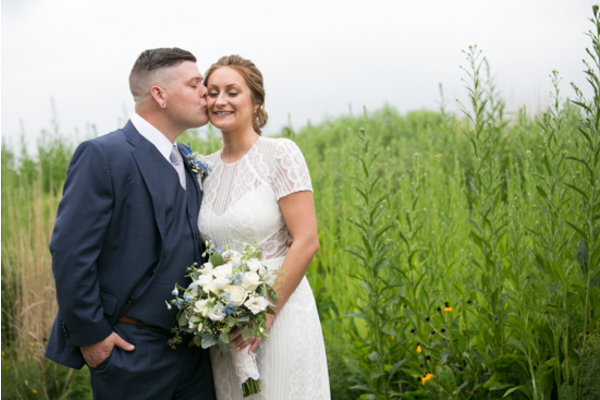 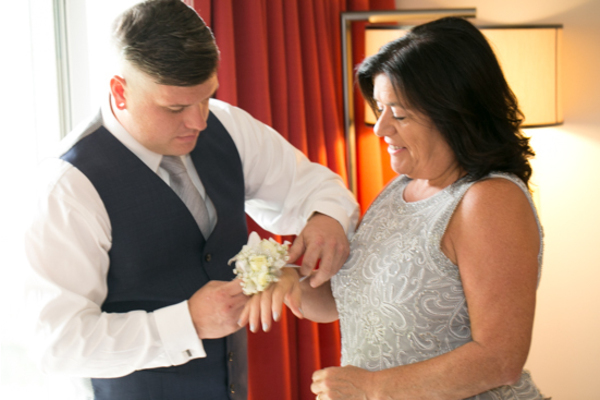 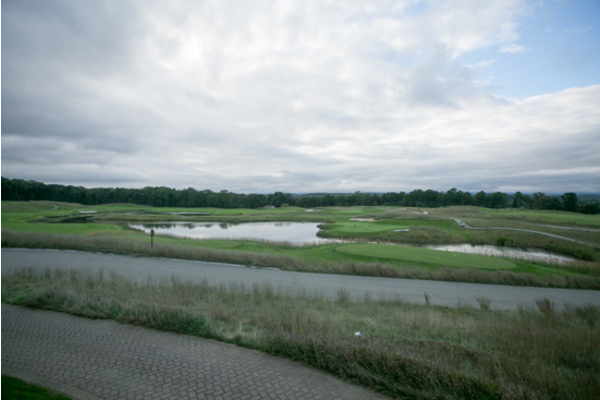 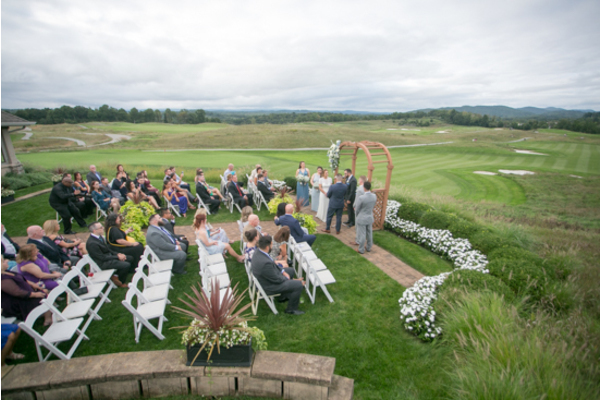 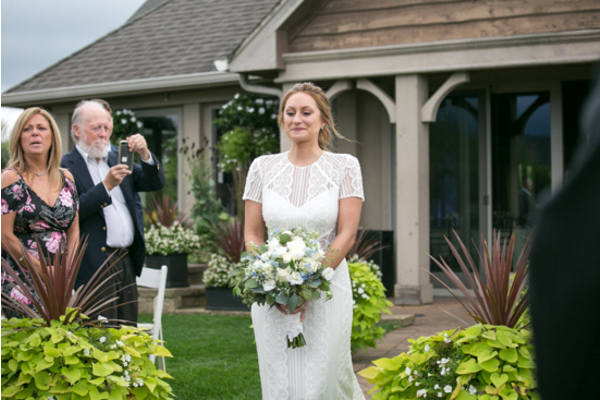 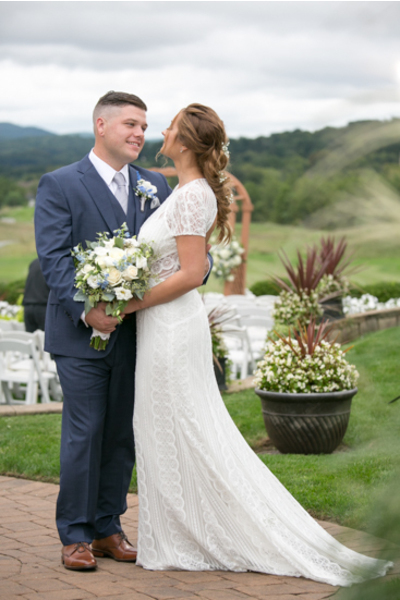 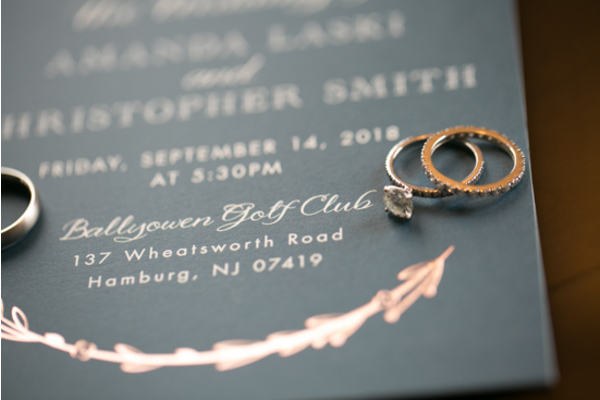 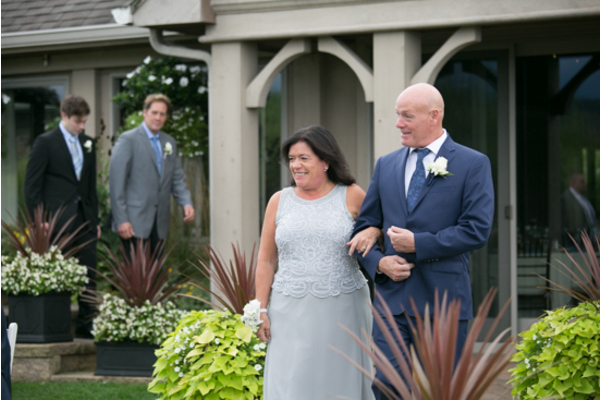 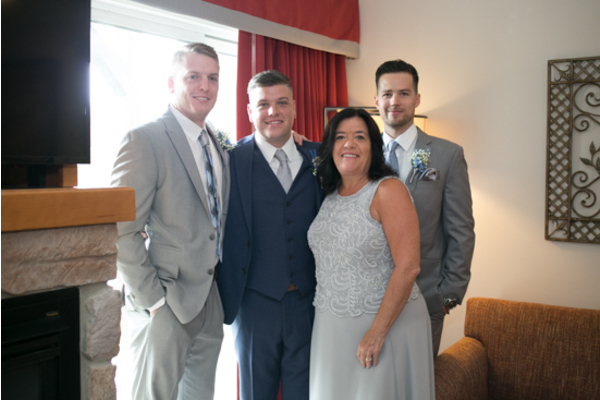 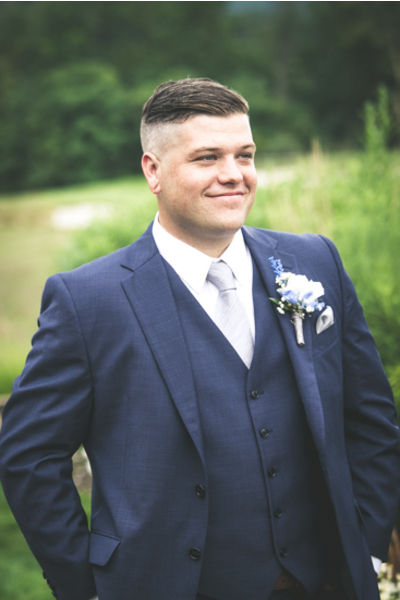 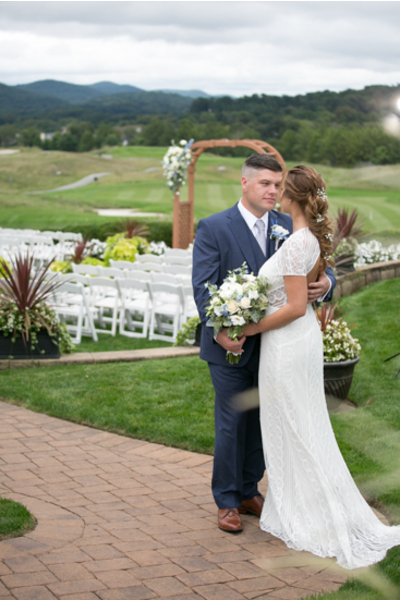 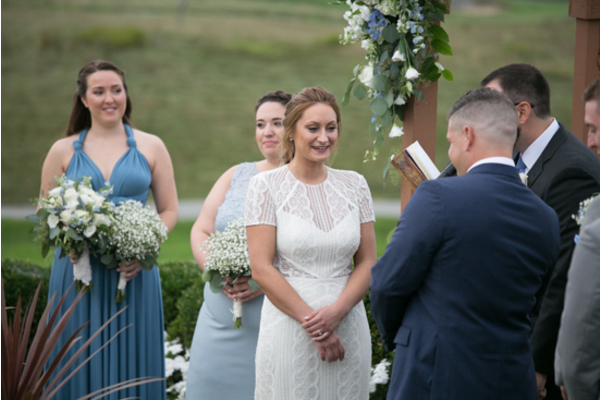 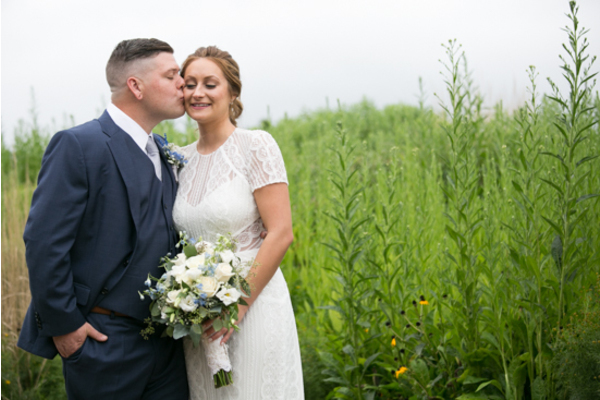 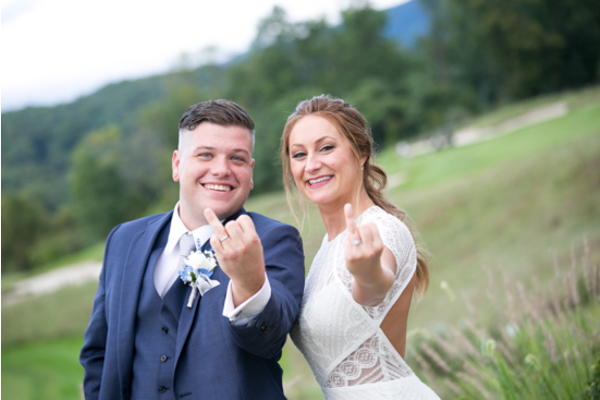 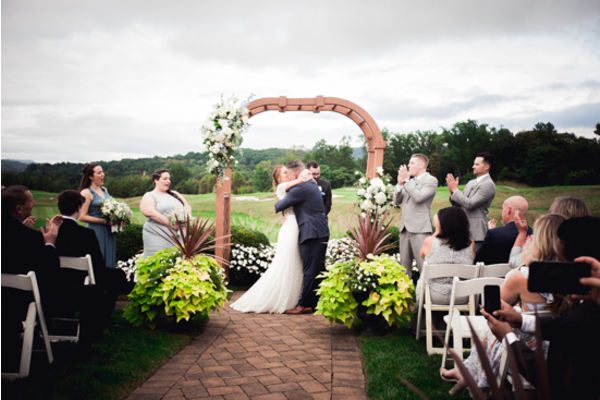 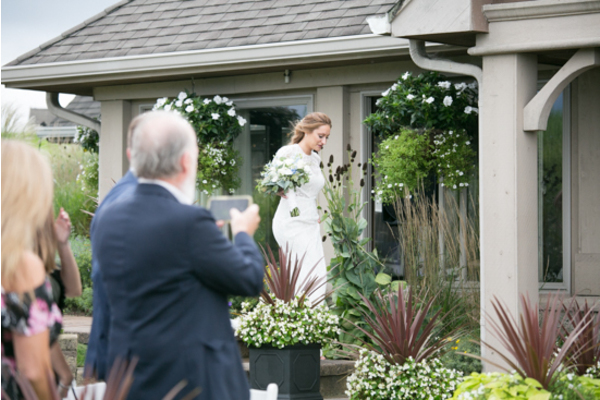 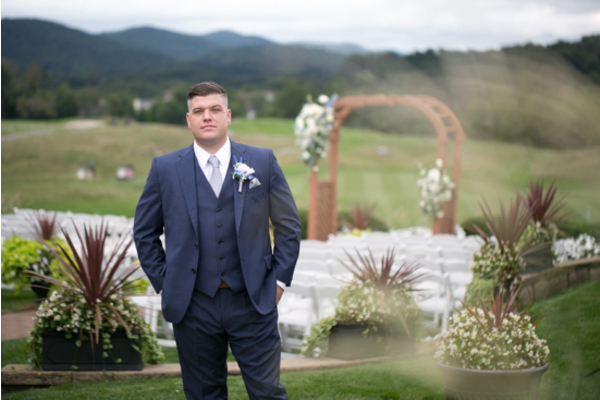 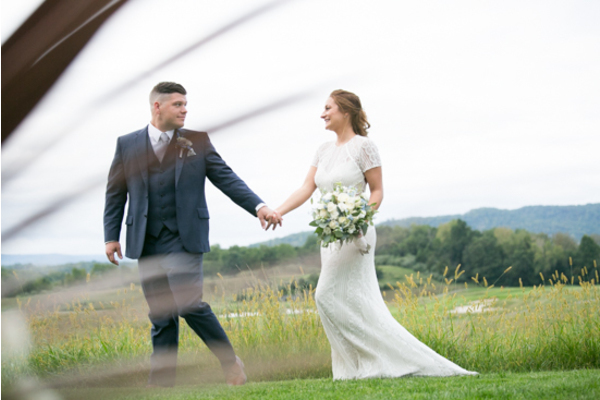 This couple’s special day was celebrated on September 14, 2018 at Ballyowen Golf Club in Hamburg, NJ. 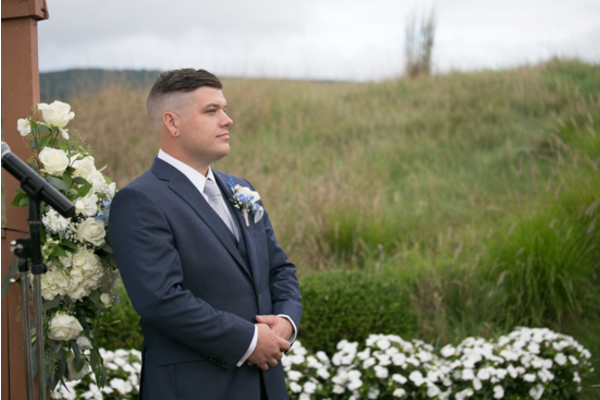 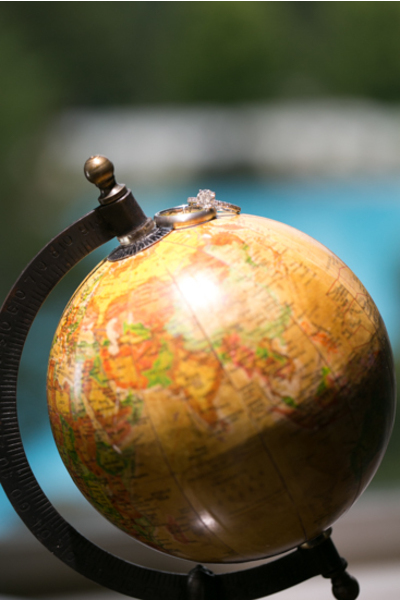 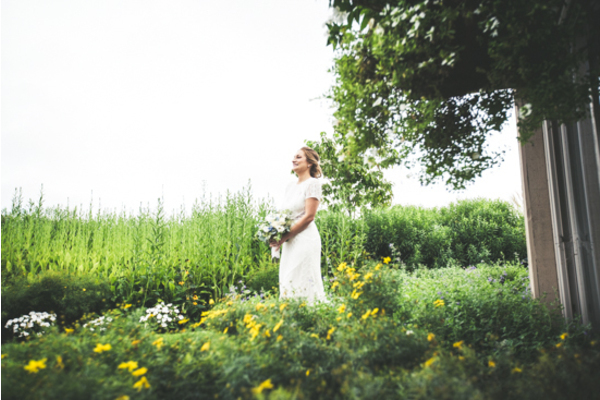 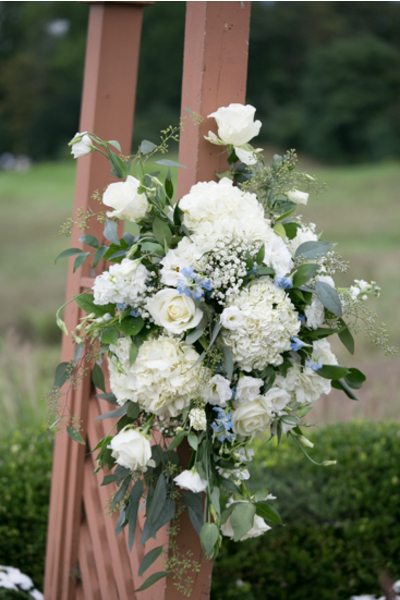 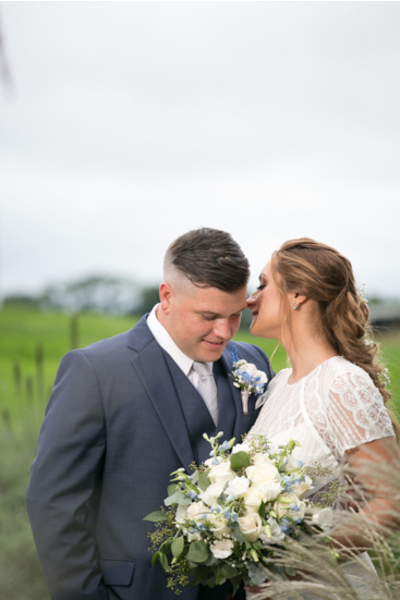 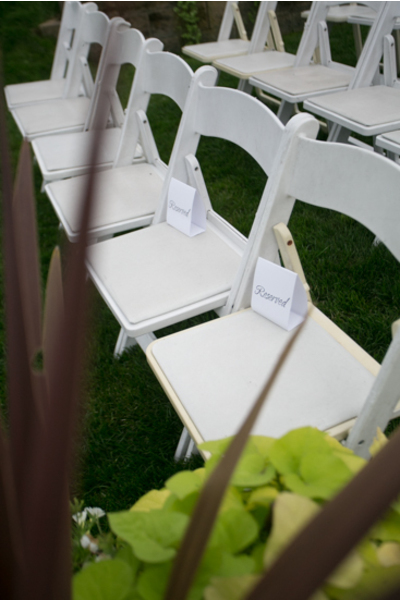 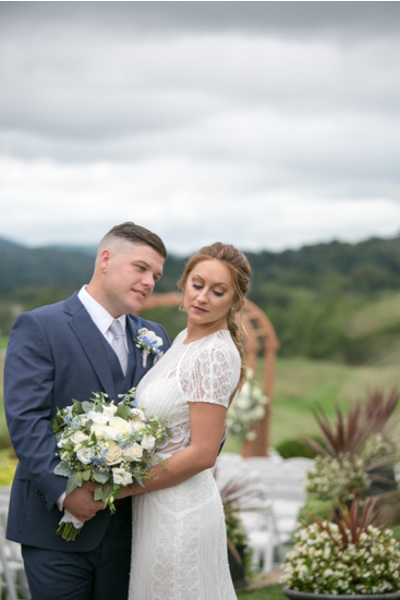 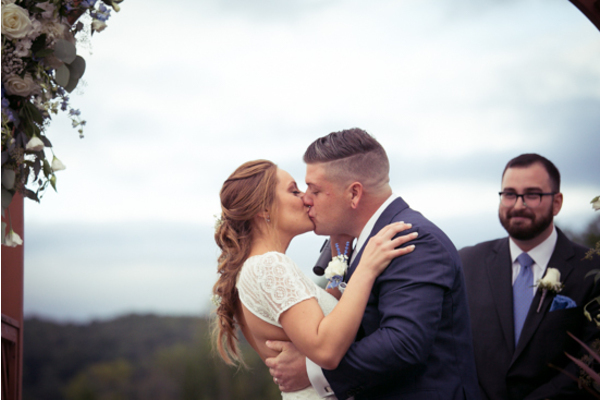 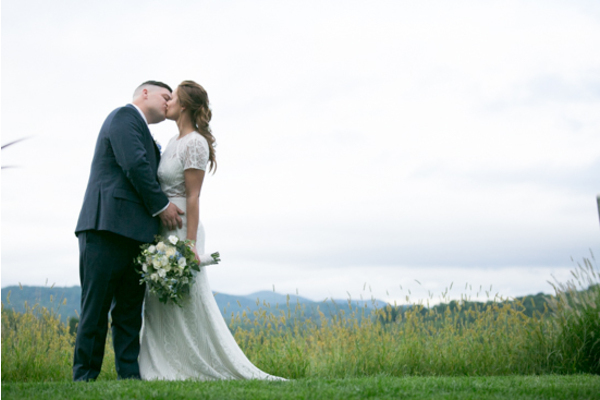 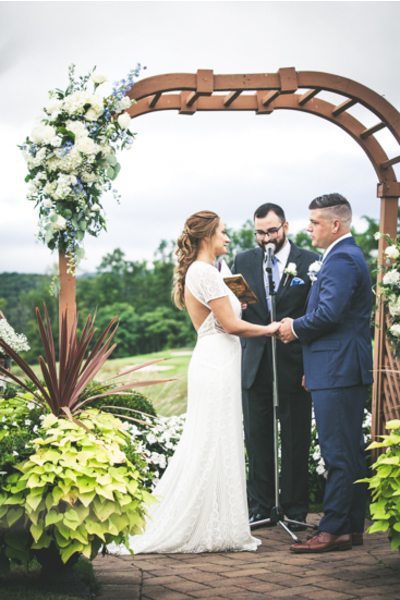 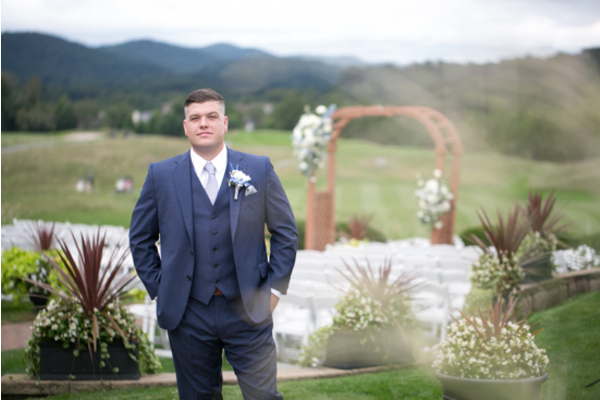 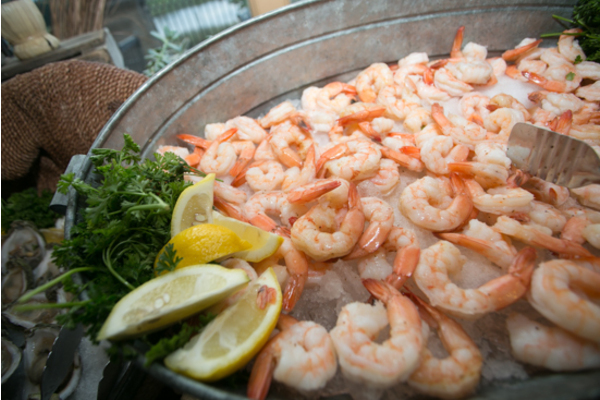 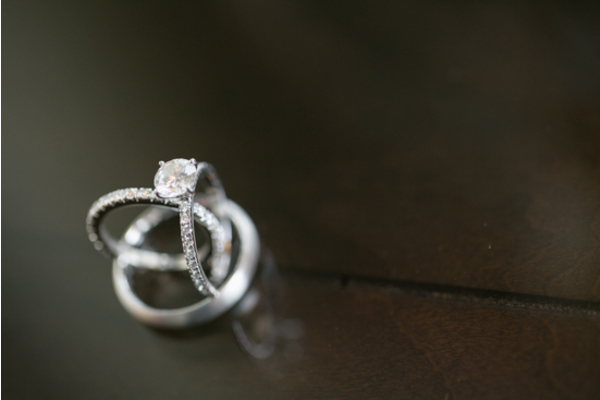 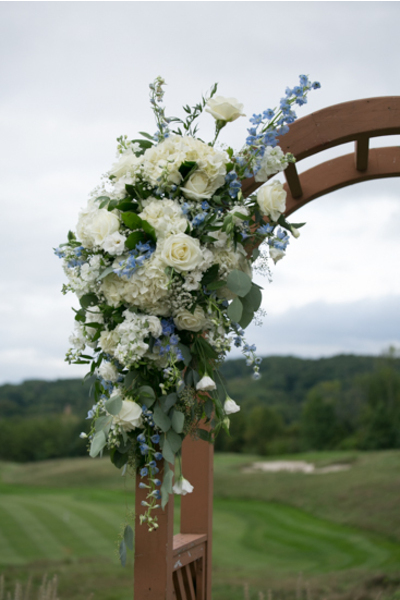 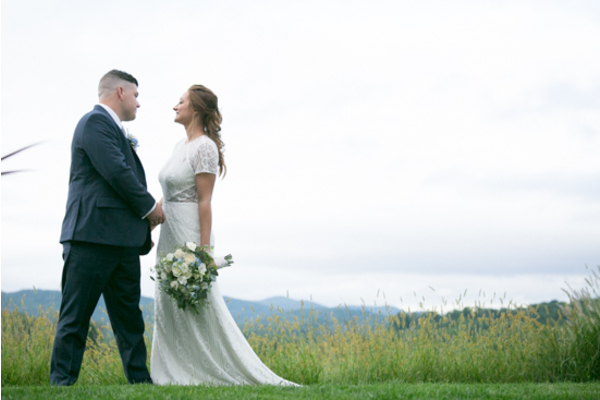 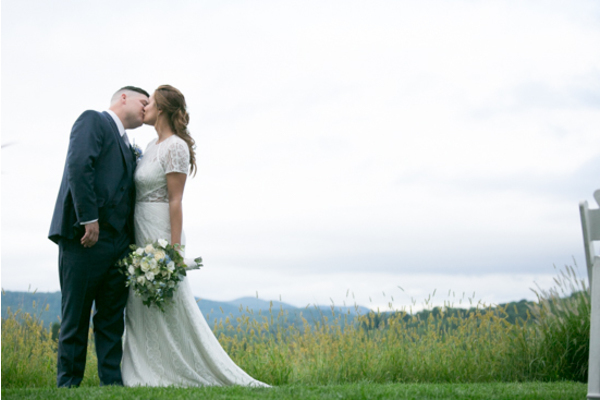 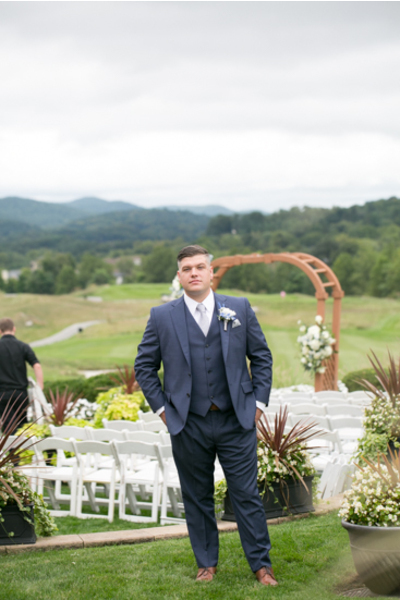 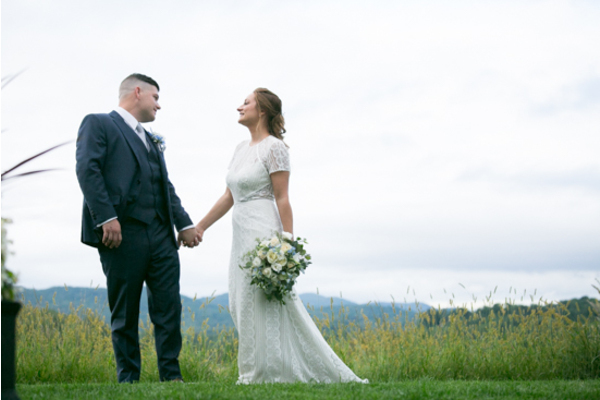 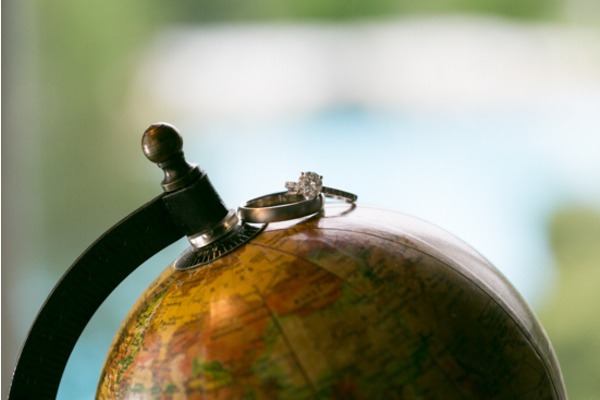 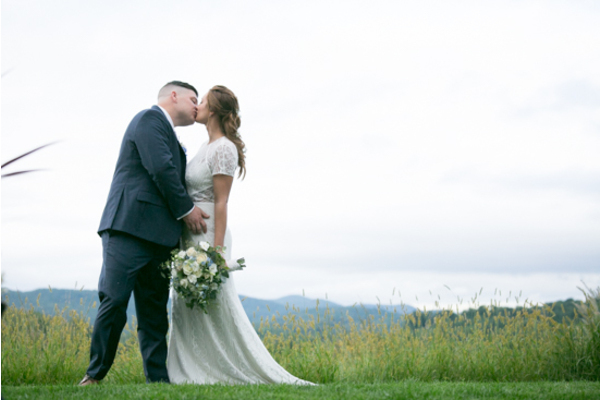 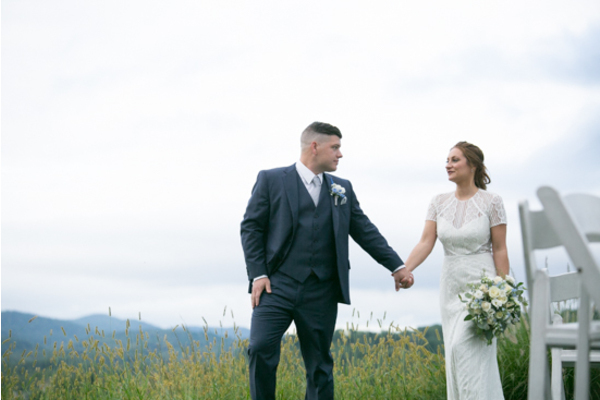 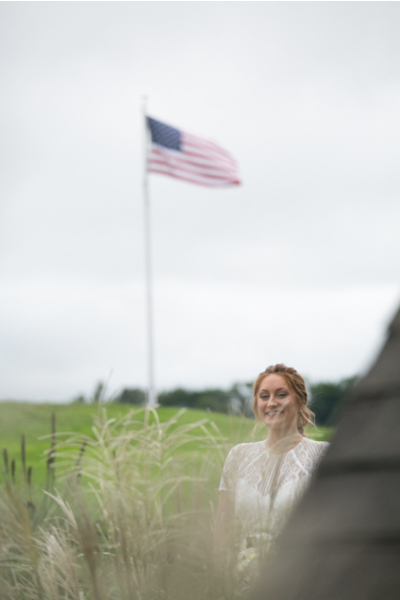 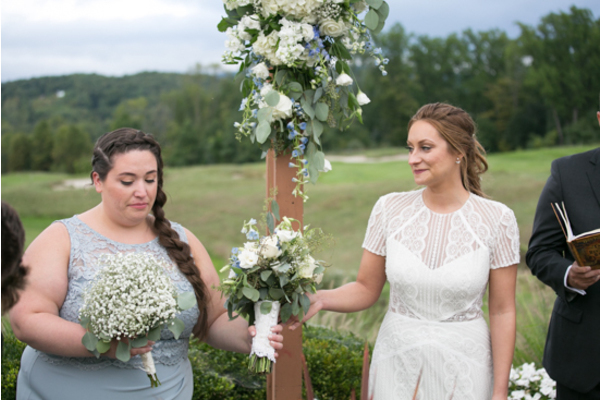 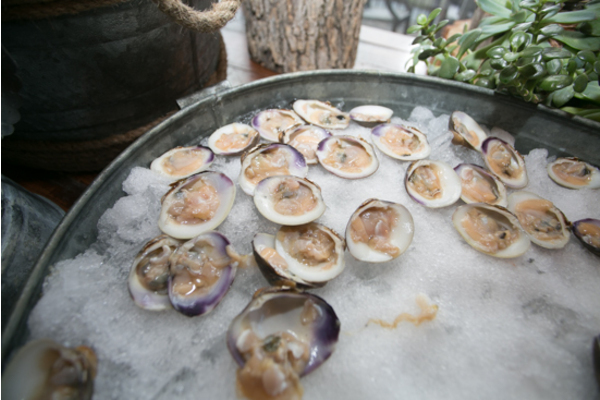 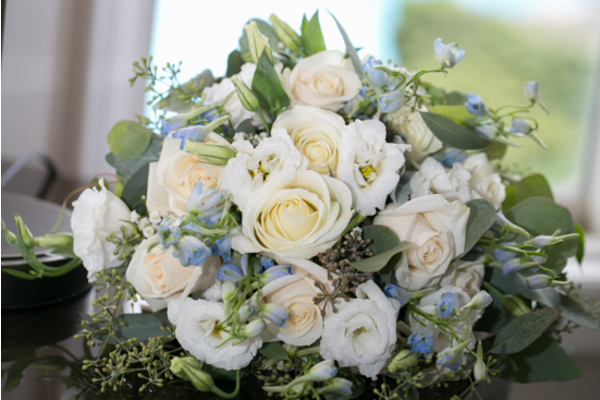 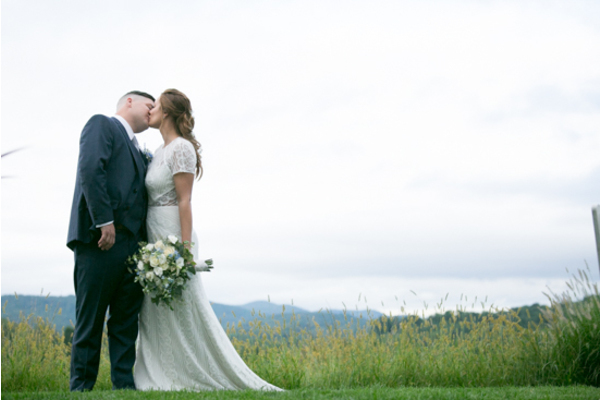 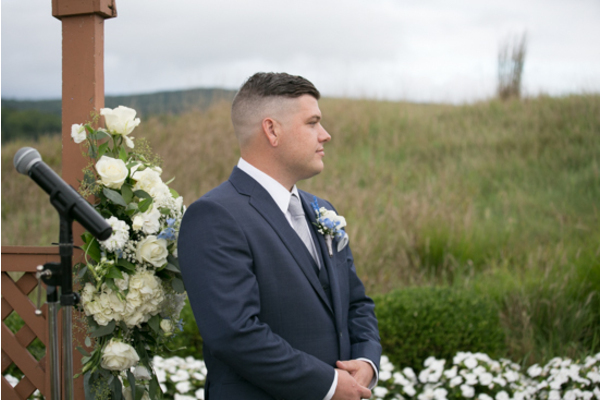 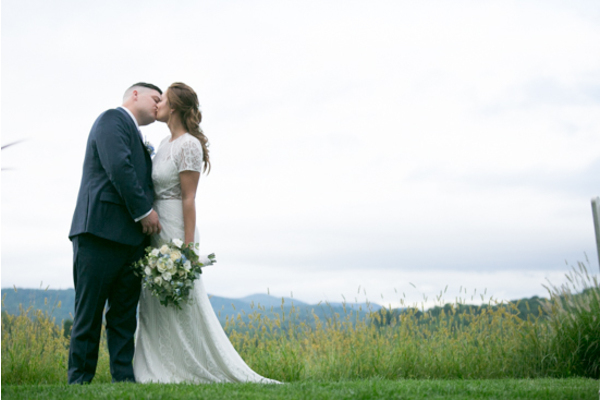 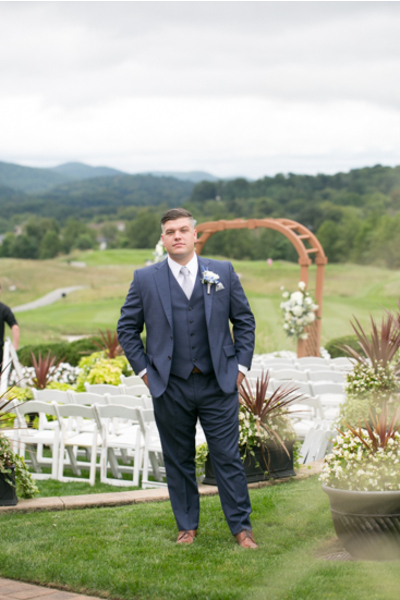 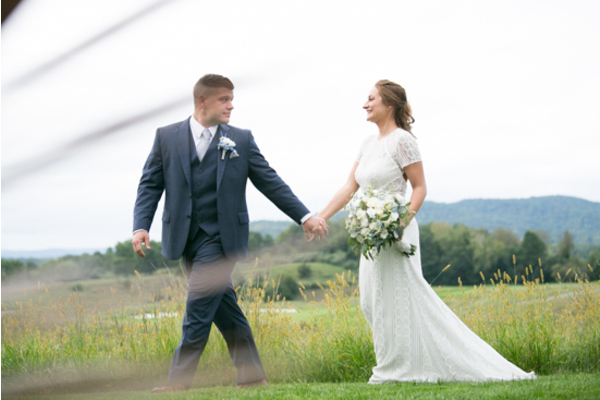 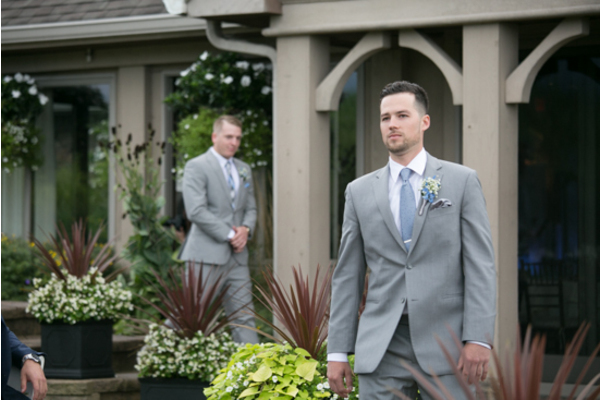 Every detail of this beautiful outdoor wedding was spectacular. 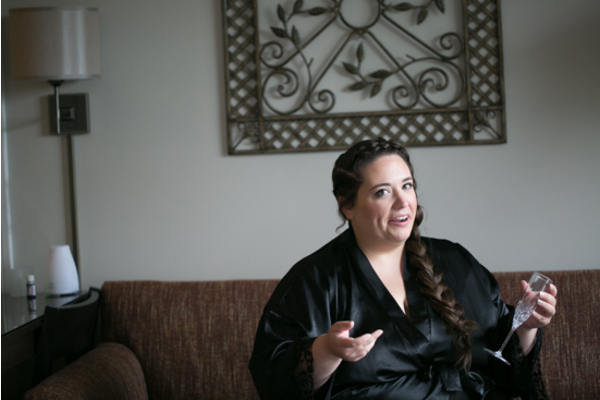 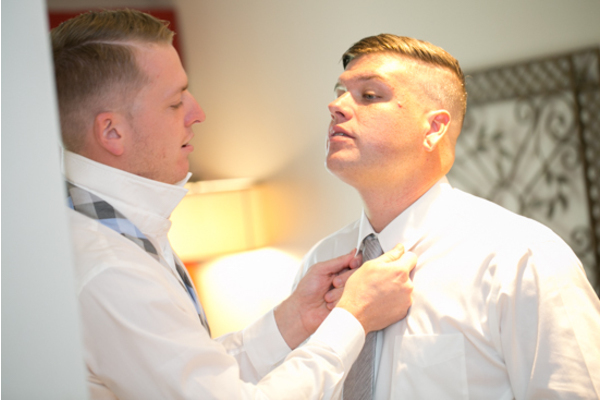 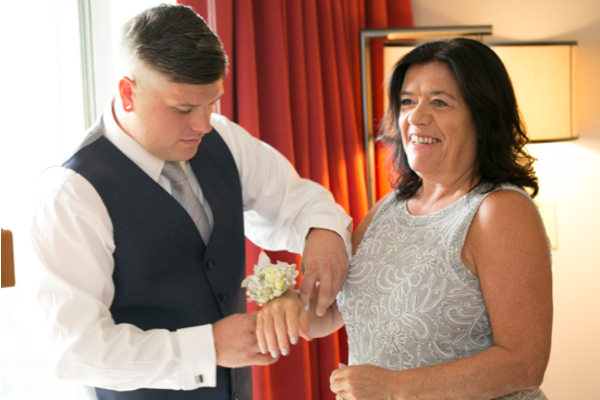 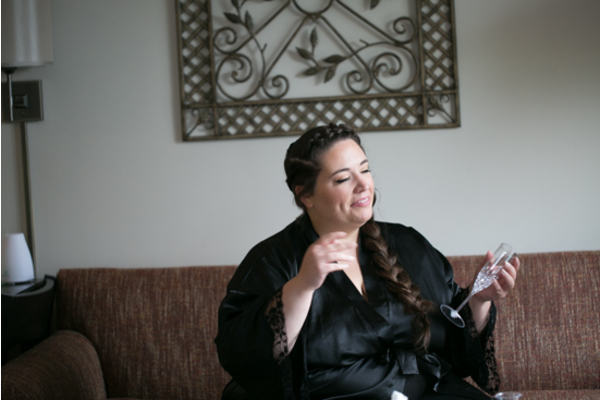 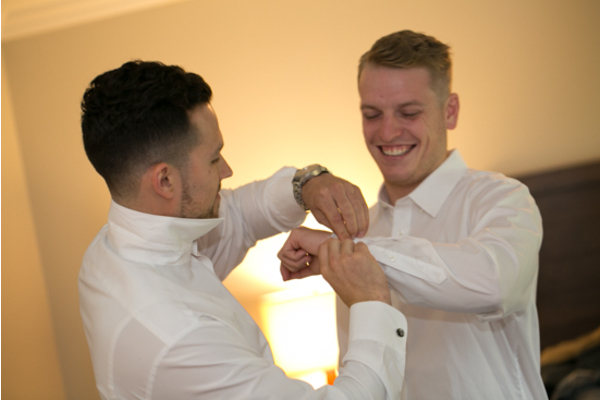 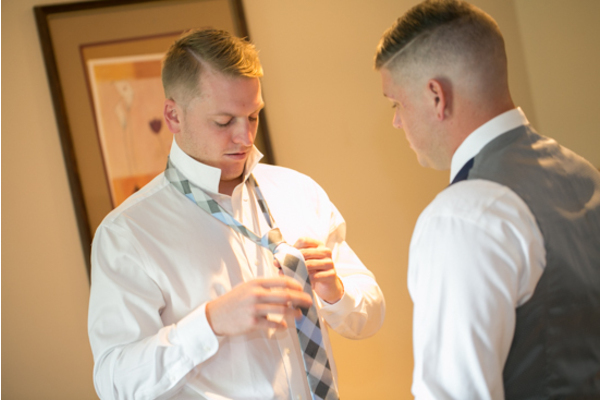 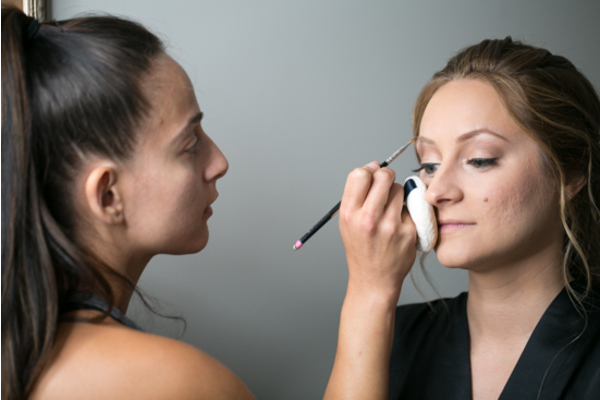 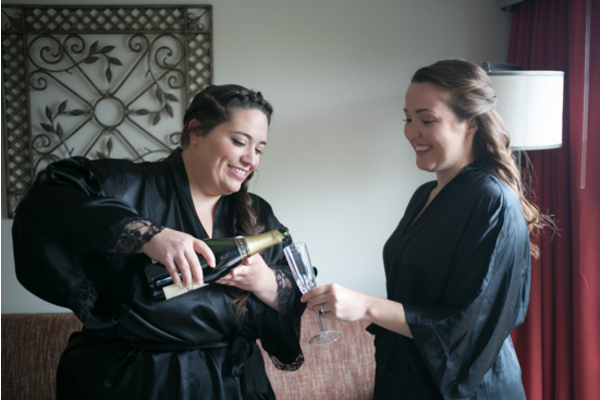 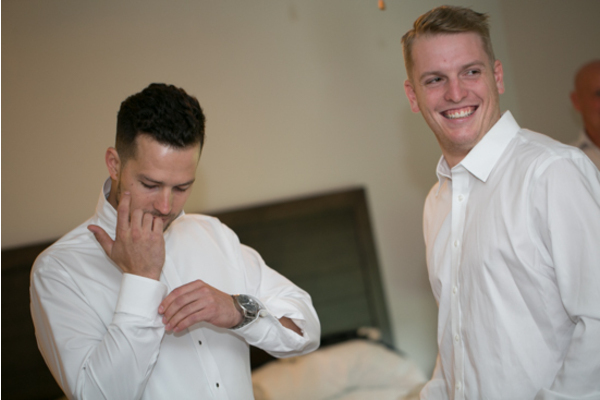 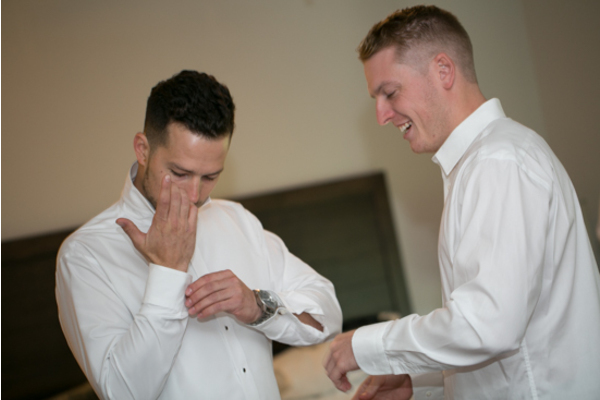 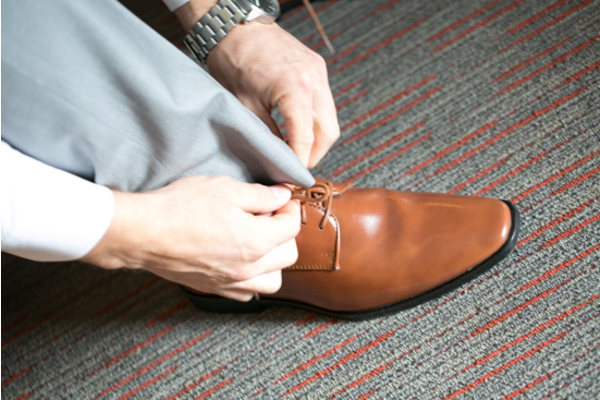 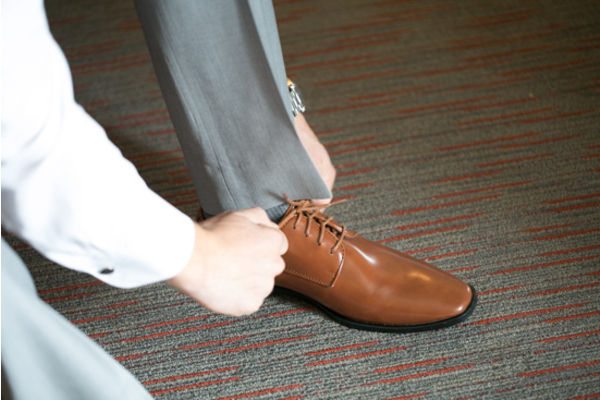 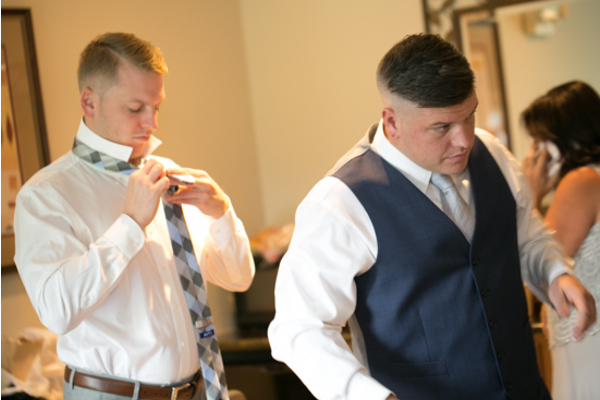 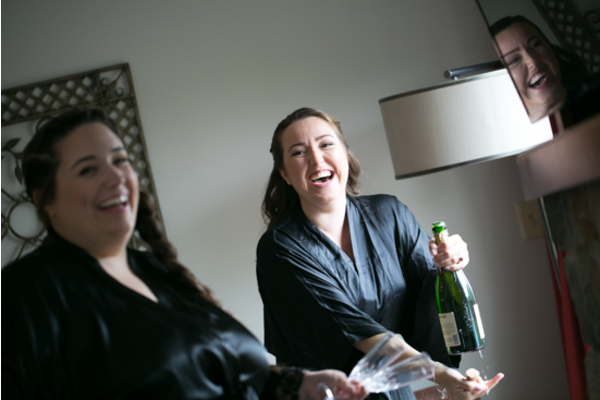 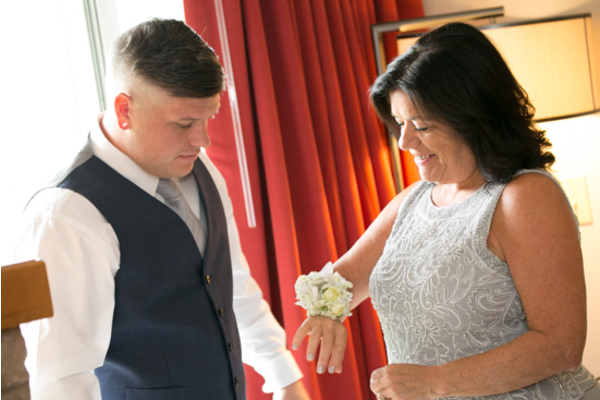 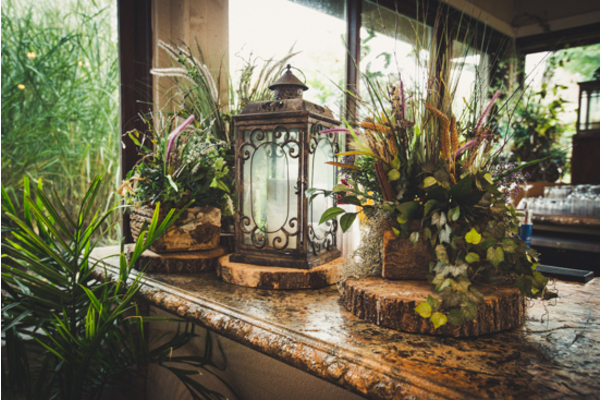 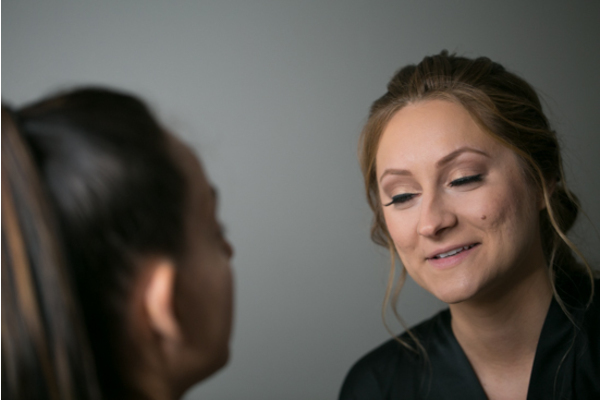 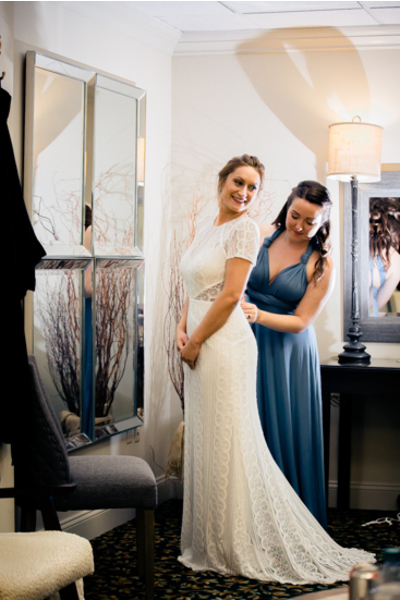 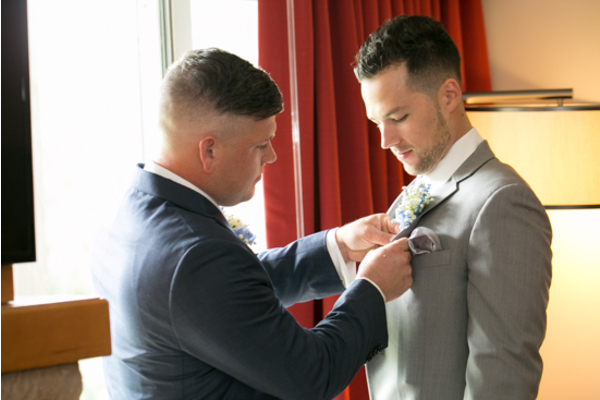 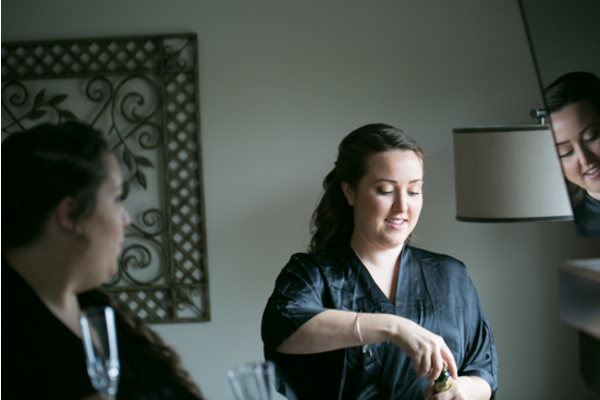 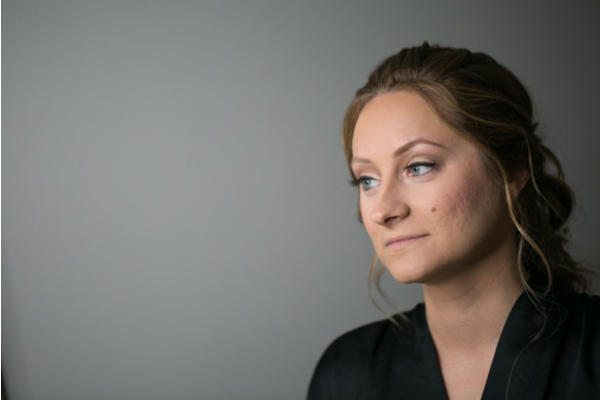 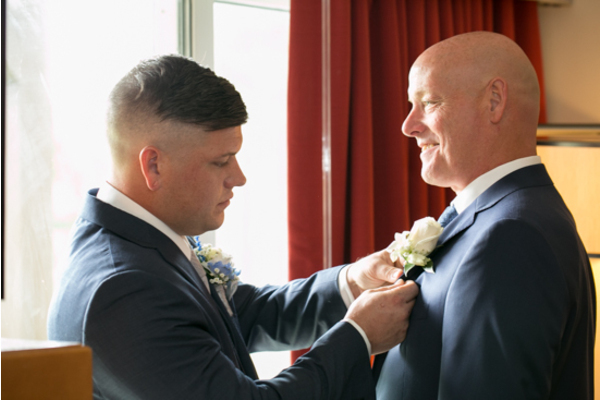 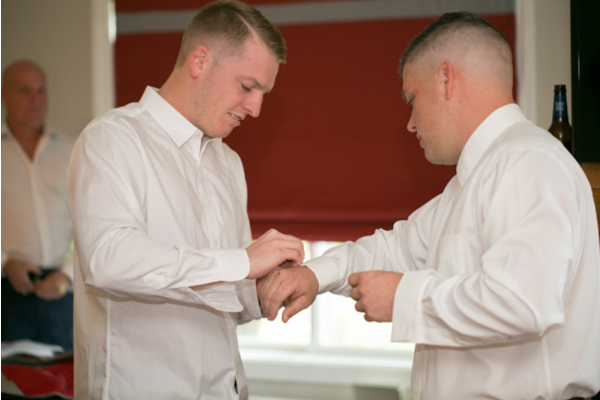 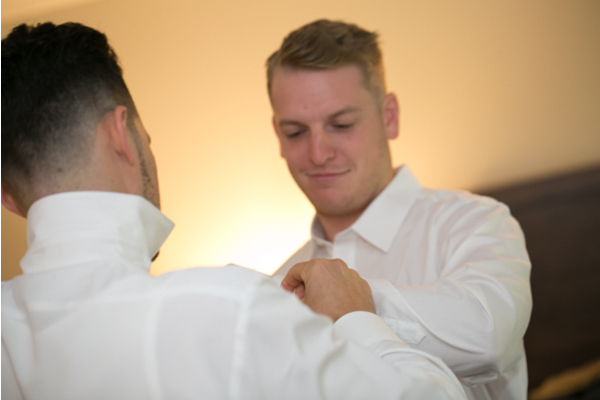 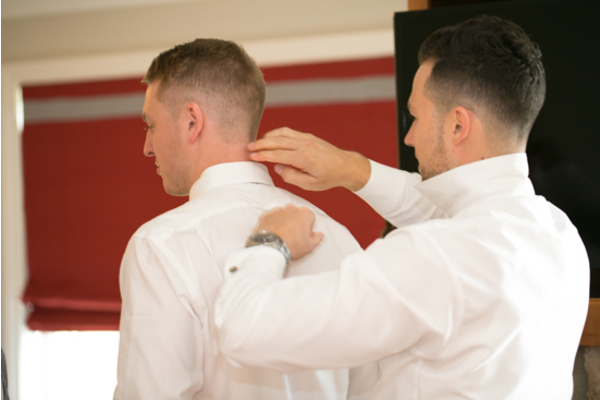 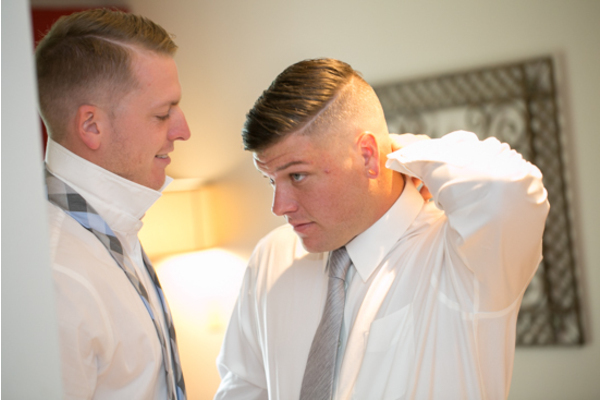 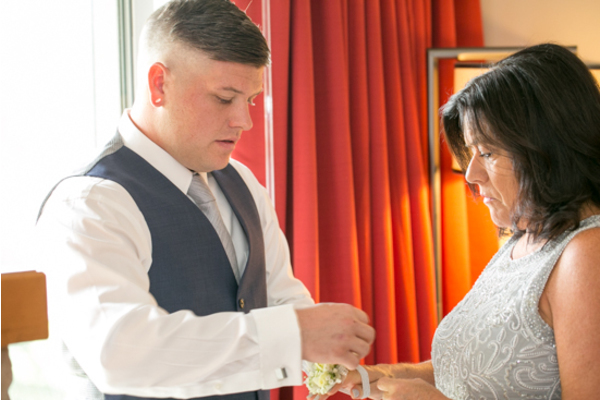 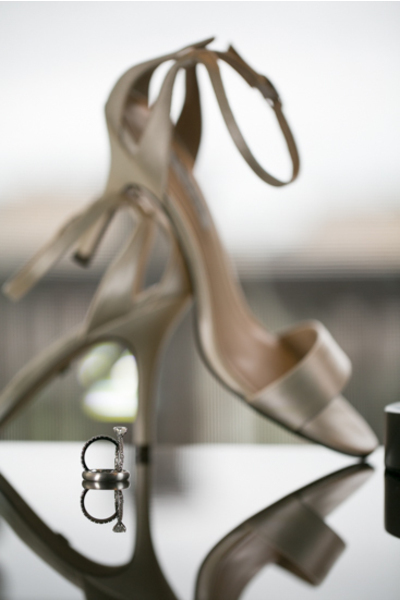 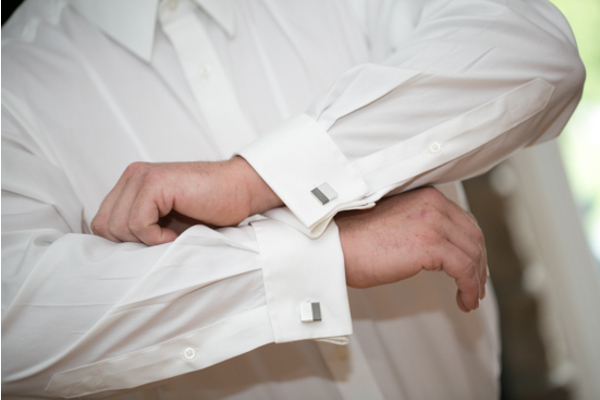 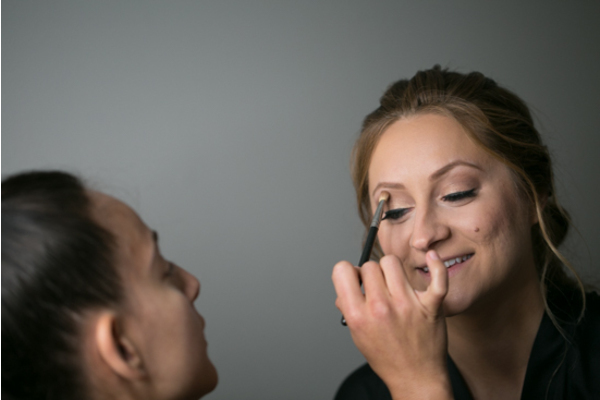 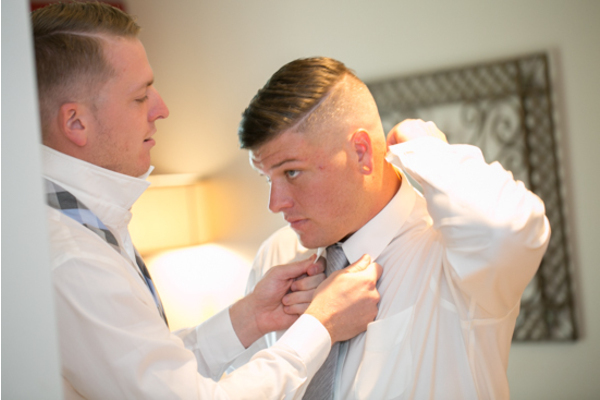 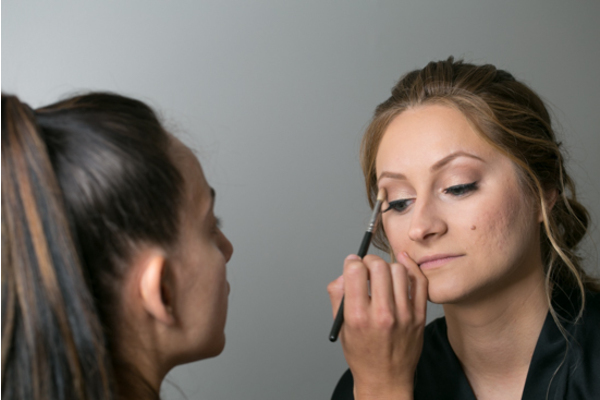 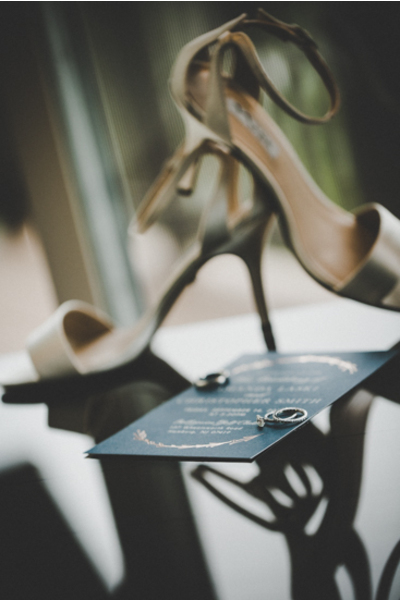 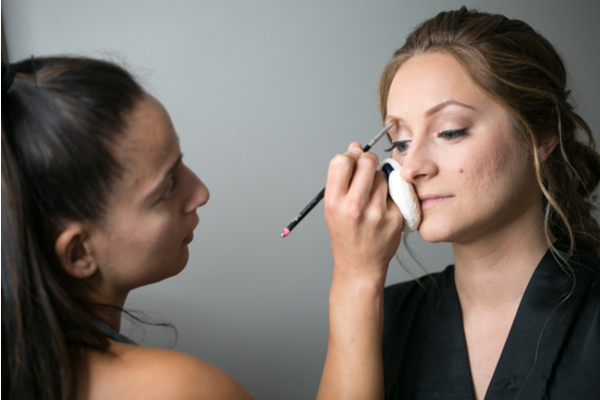 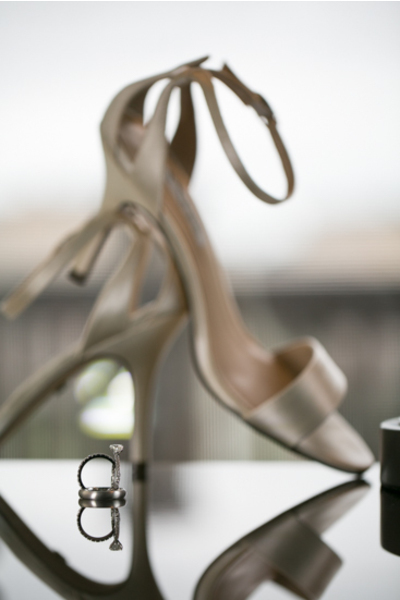 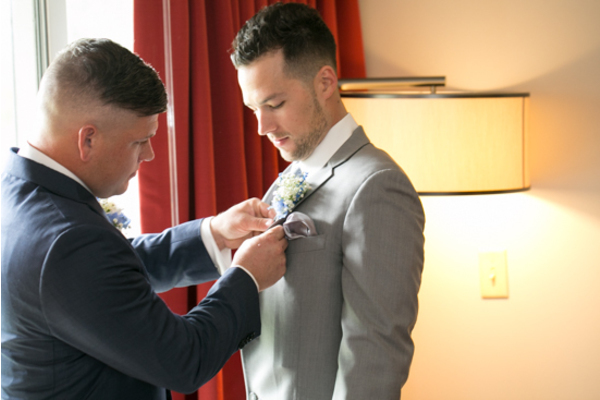 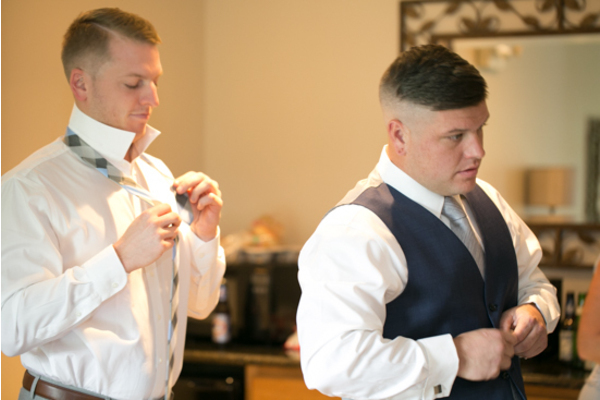 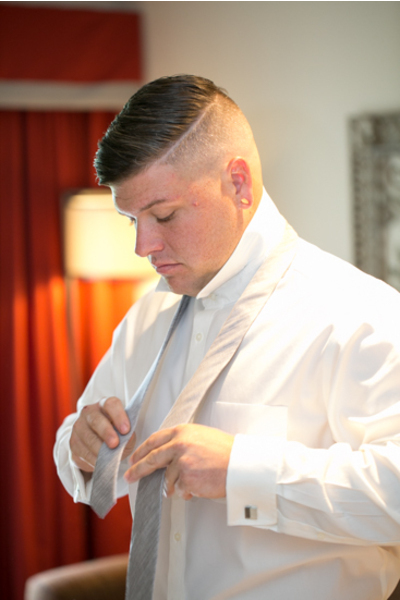 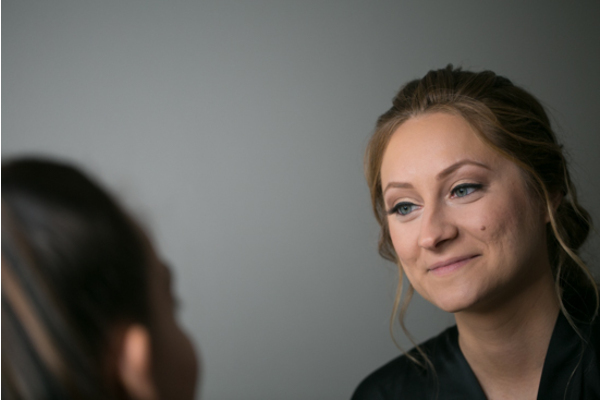 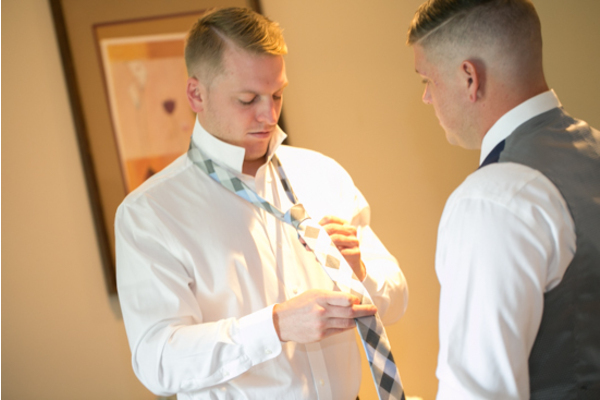 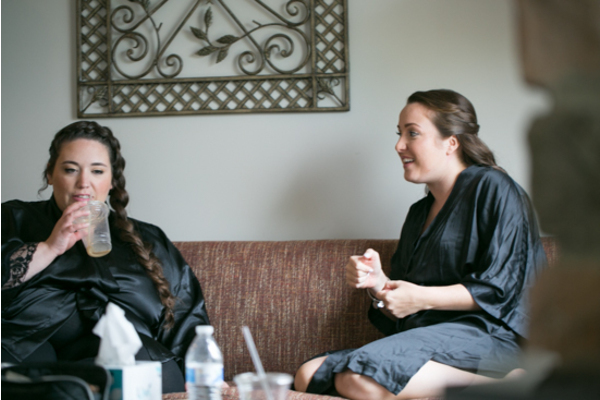 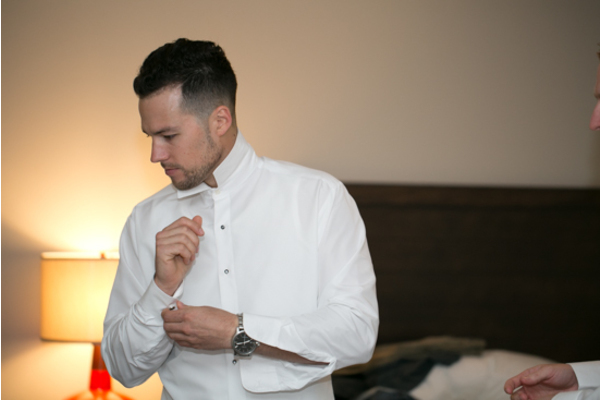 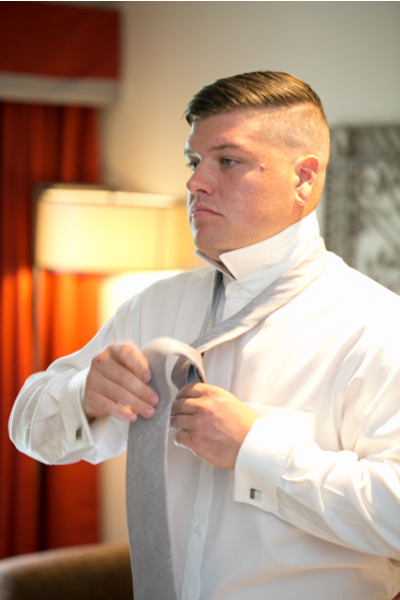 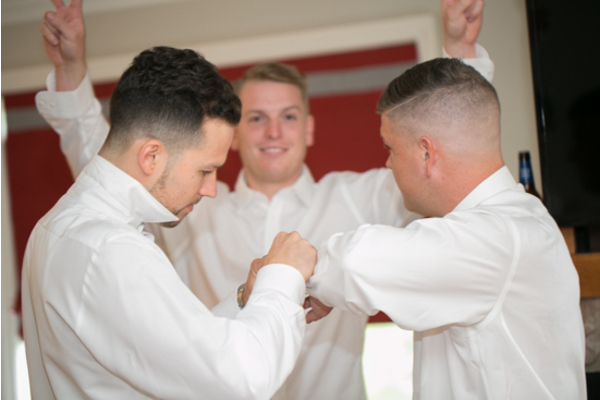 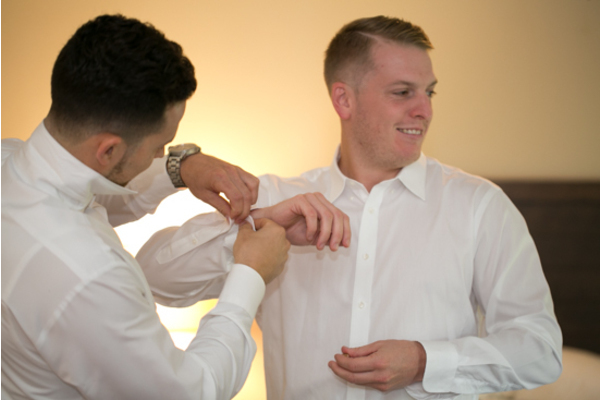 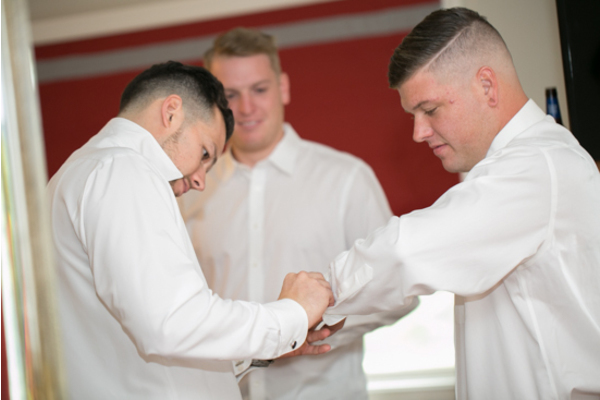 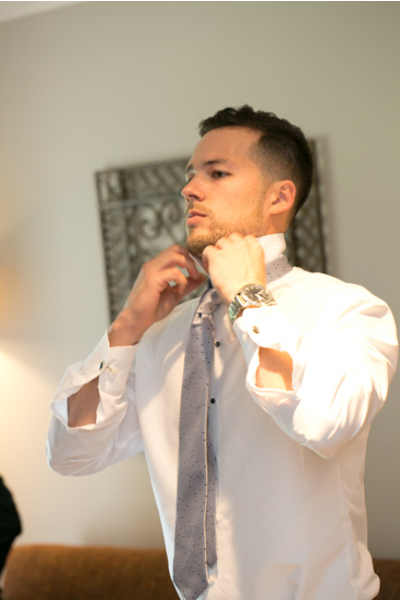 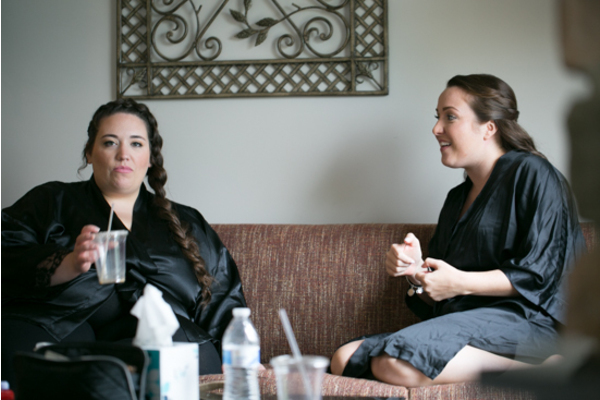 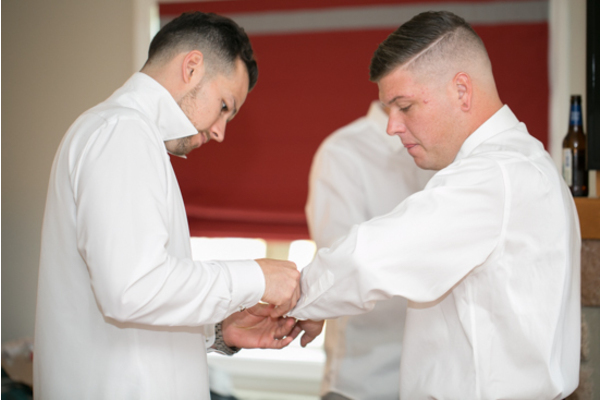 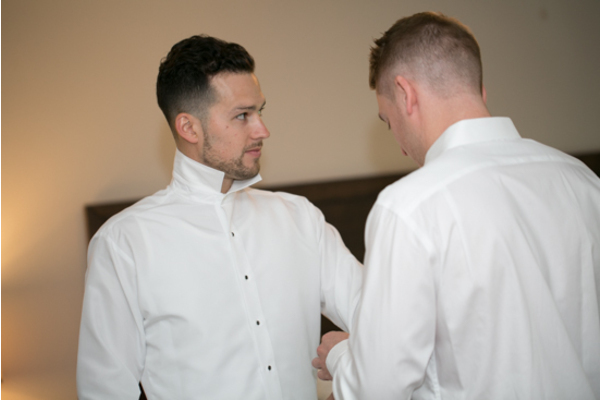 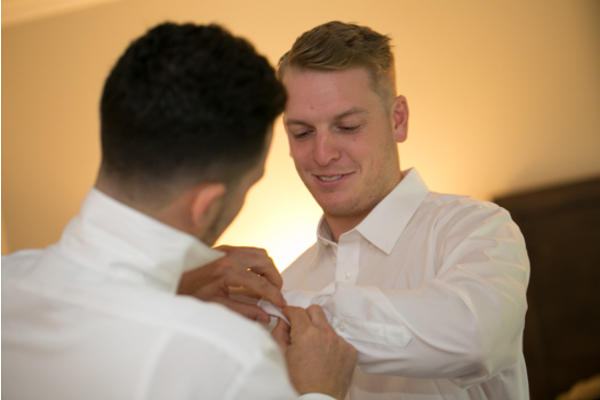 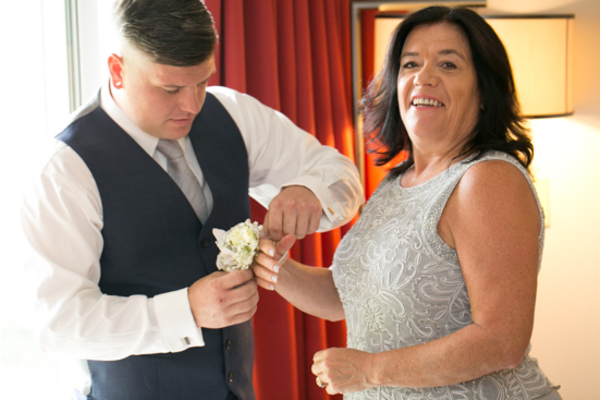 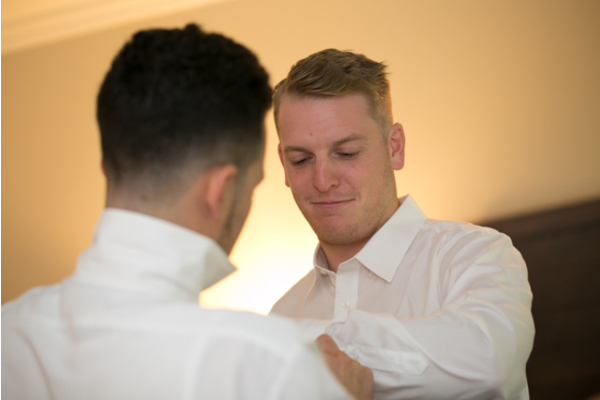 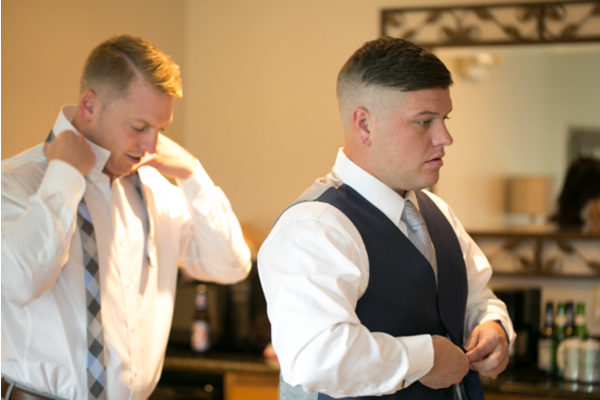 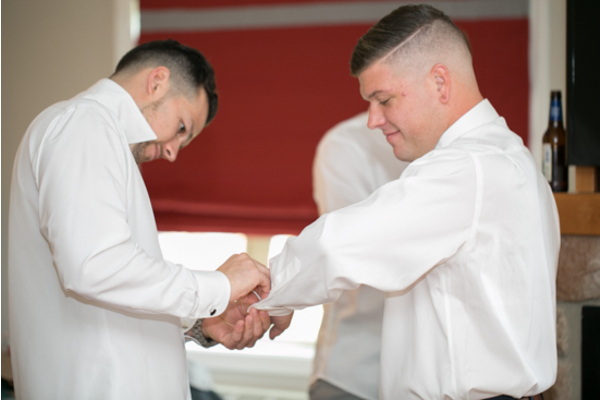 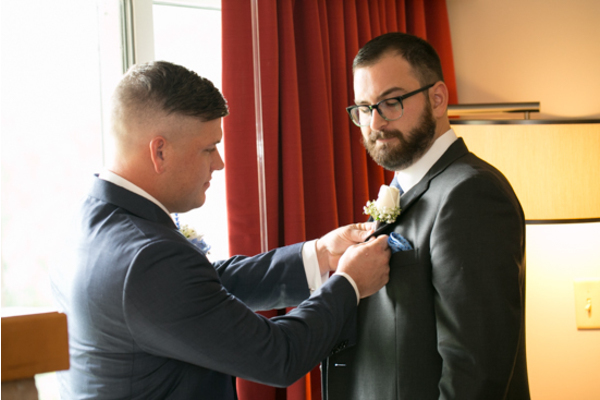 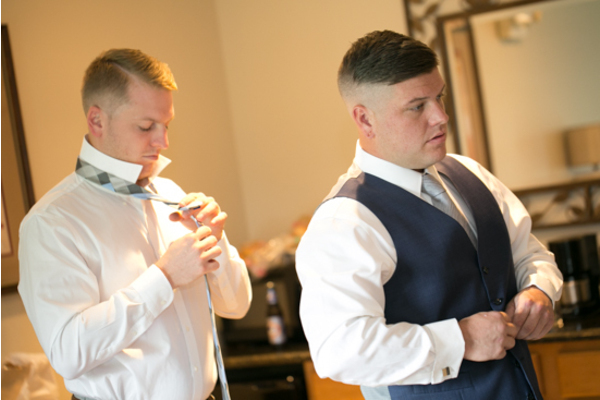 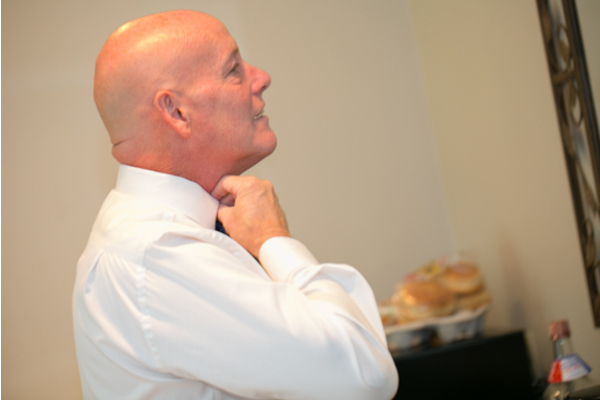 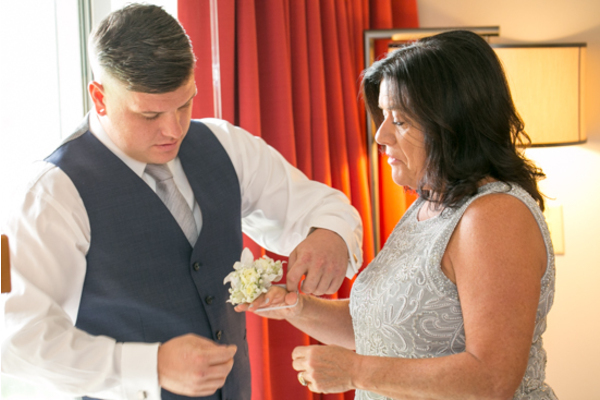 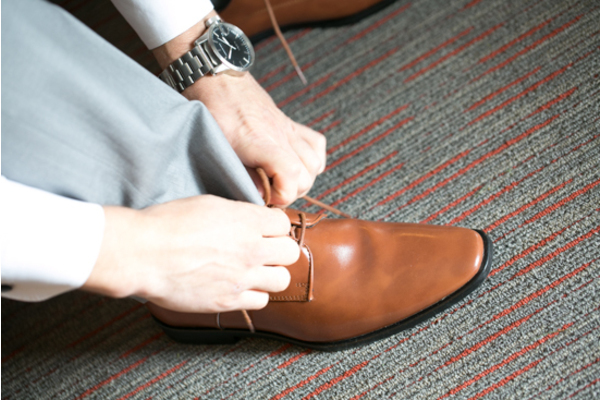 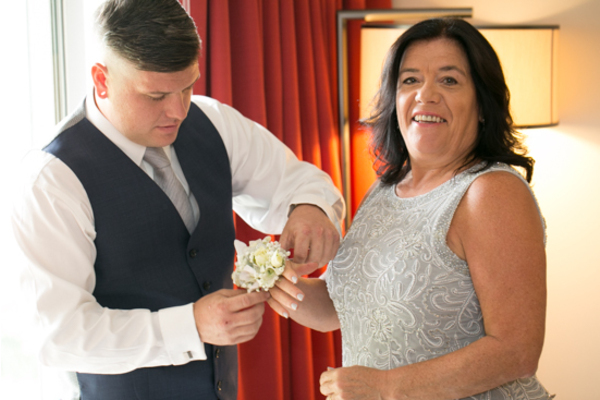 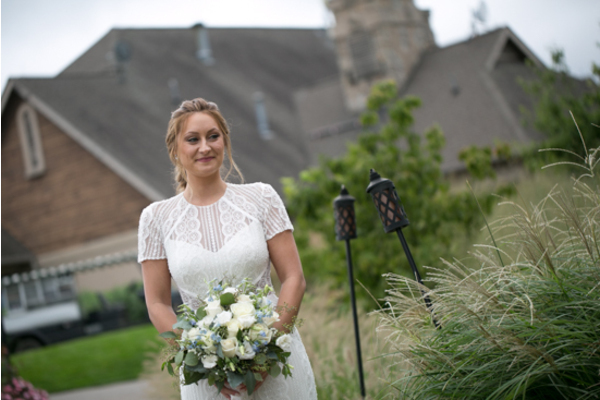 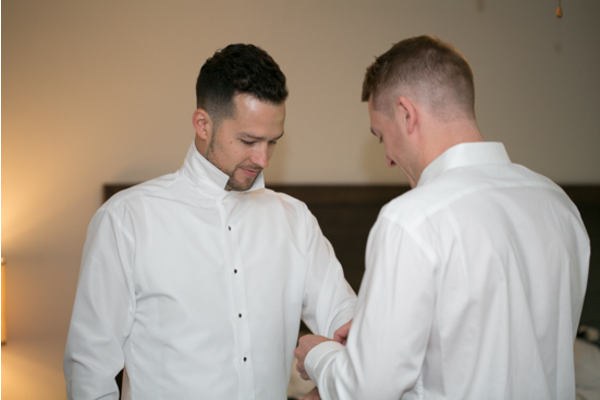 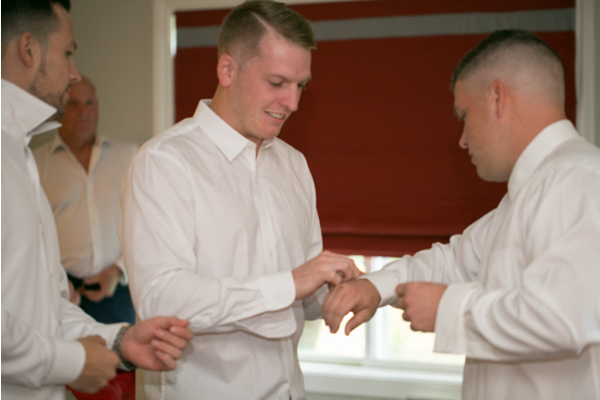 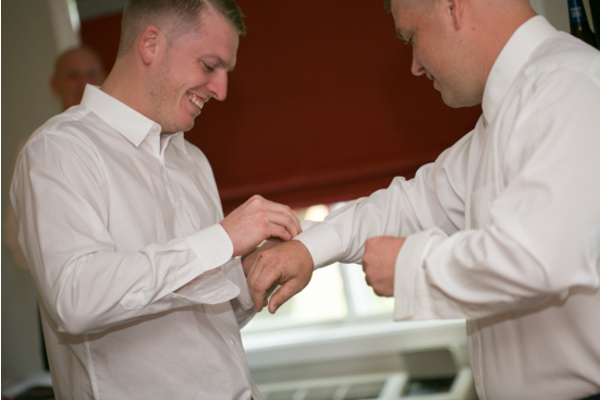 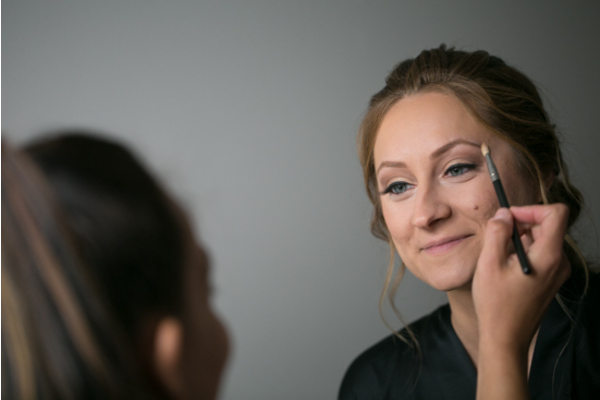 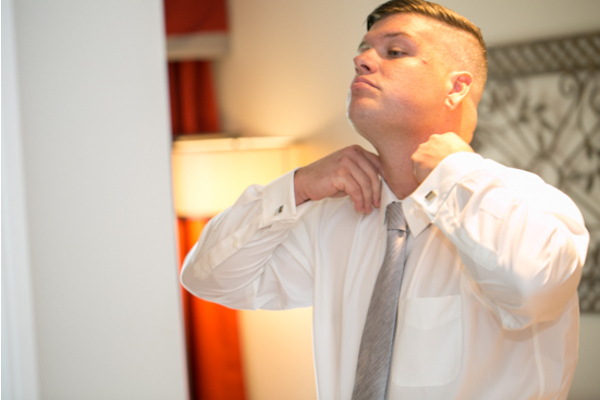 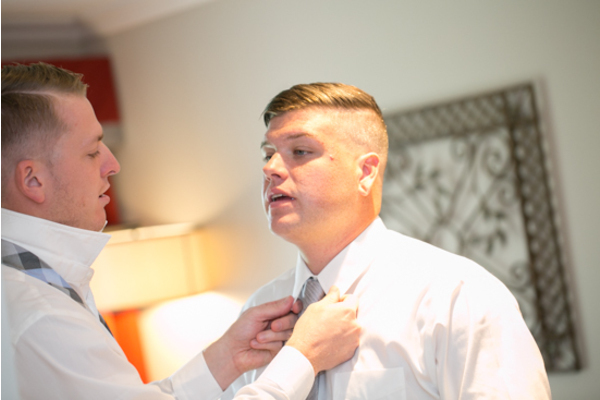 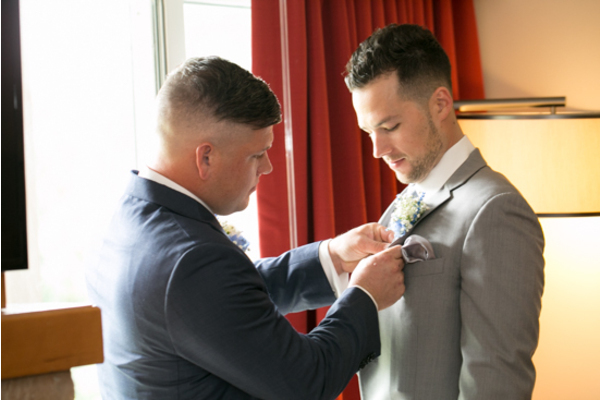 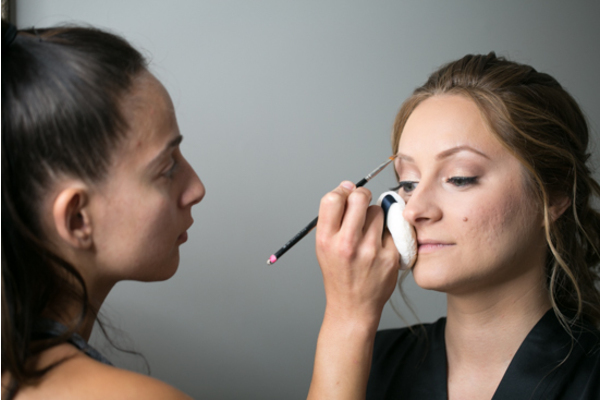 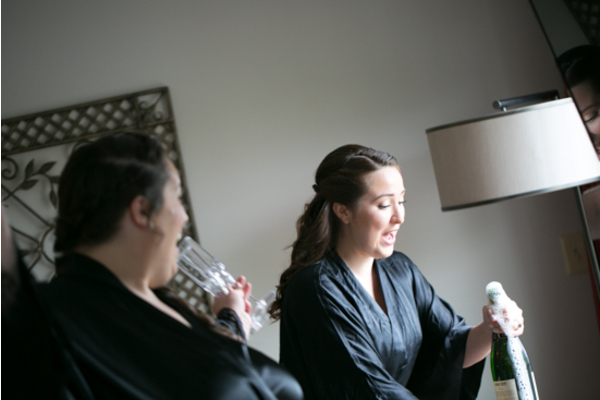 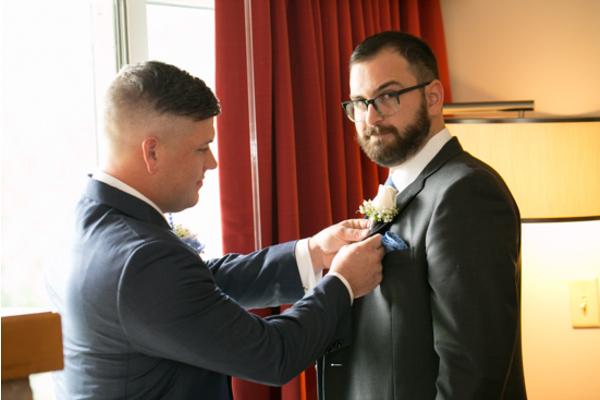 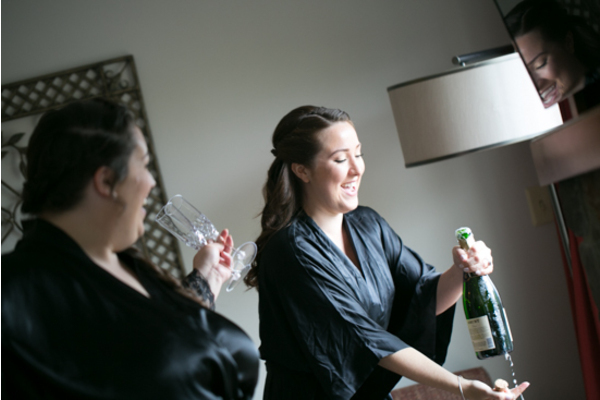 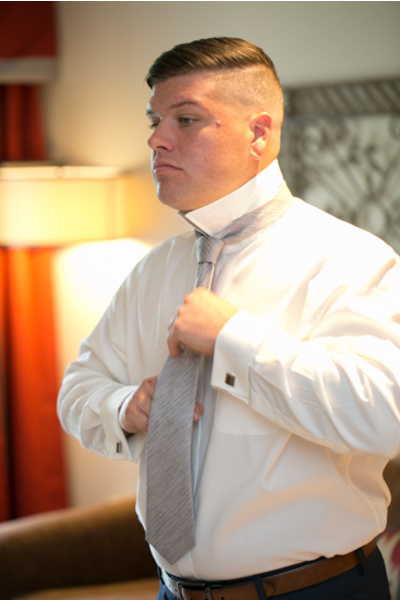 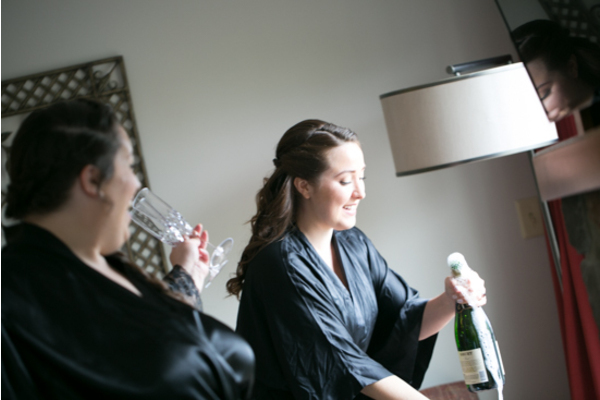 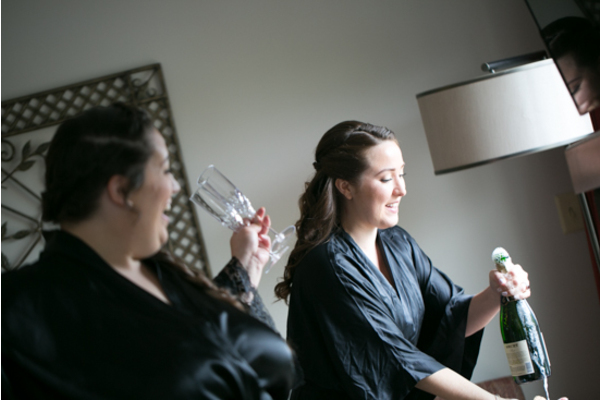 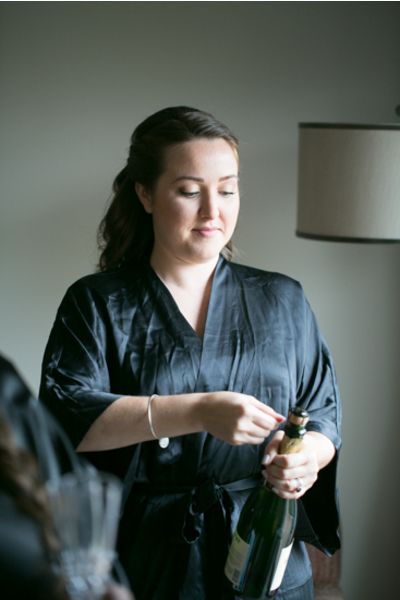 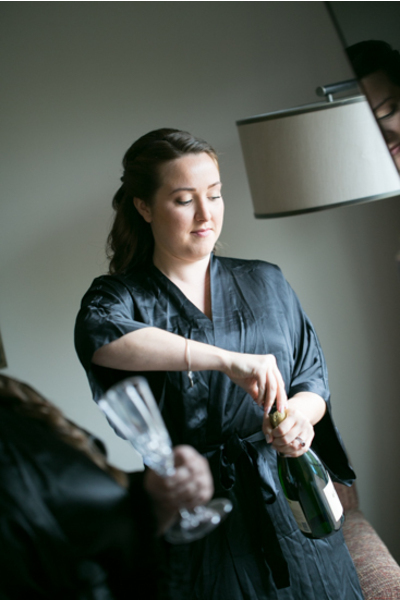 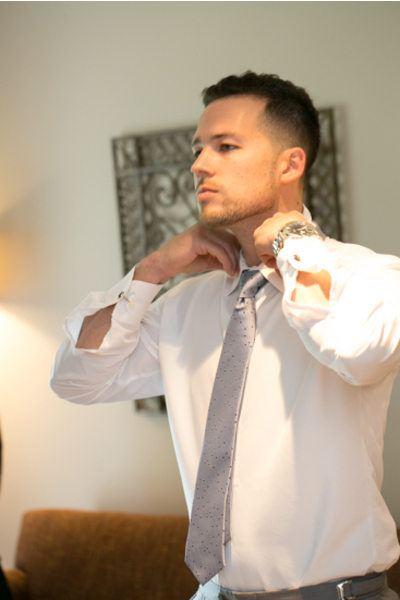 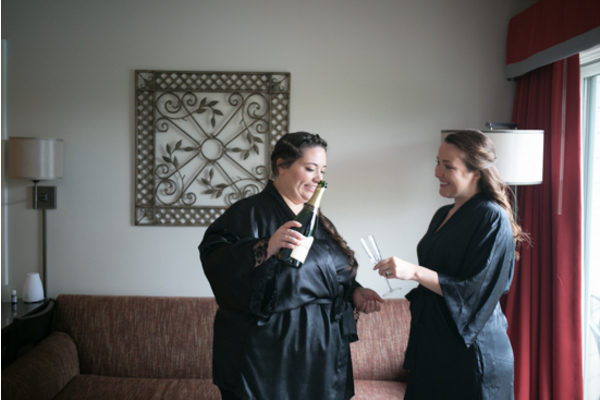 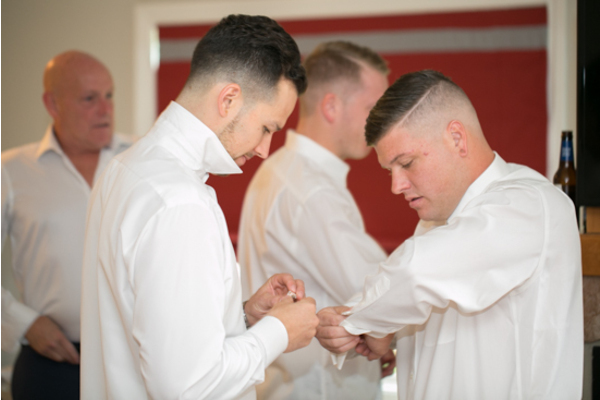 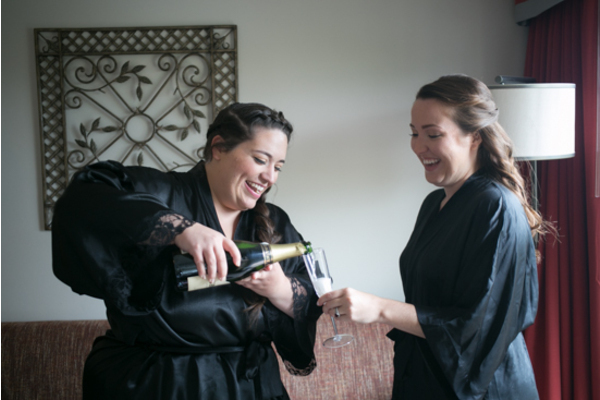 To begin the day, the bride and groom got ready with the help of their friends and family. 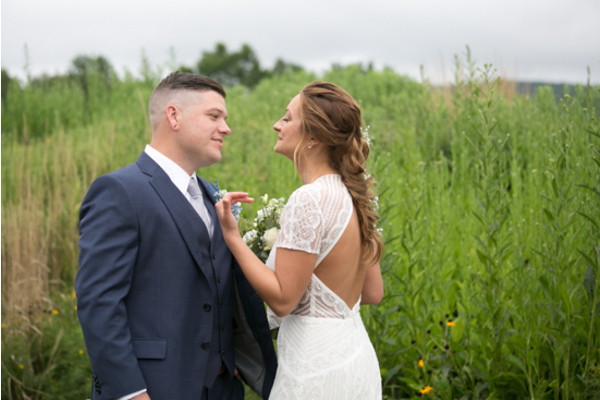 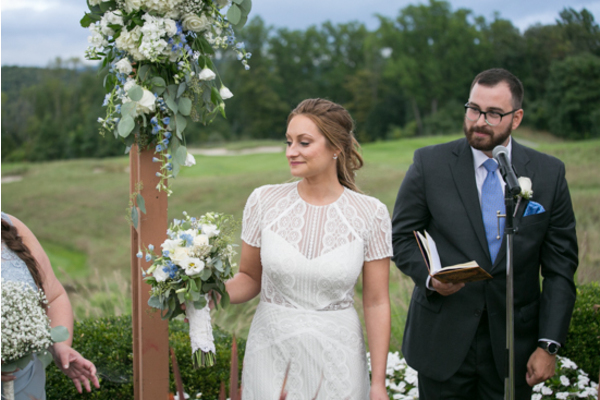 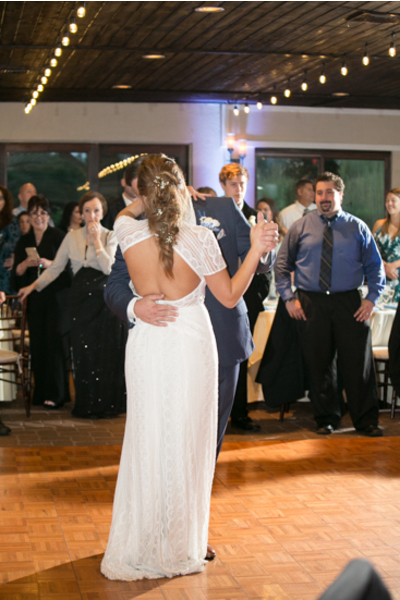 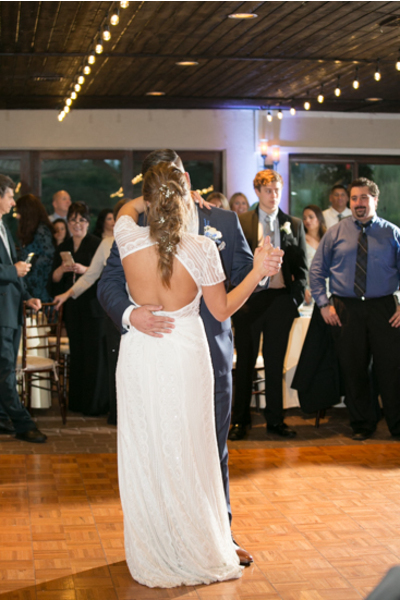 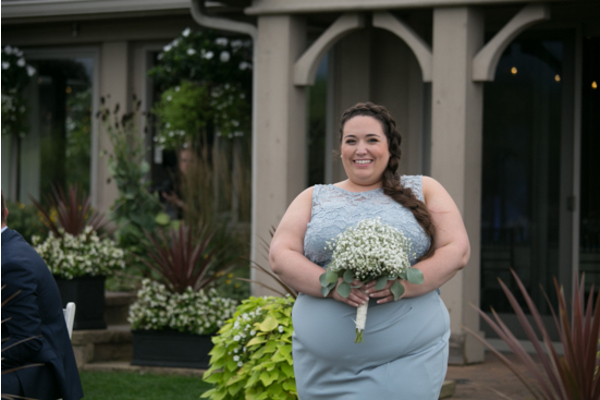 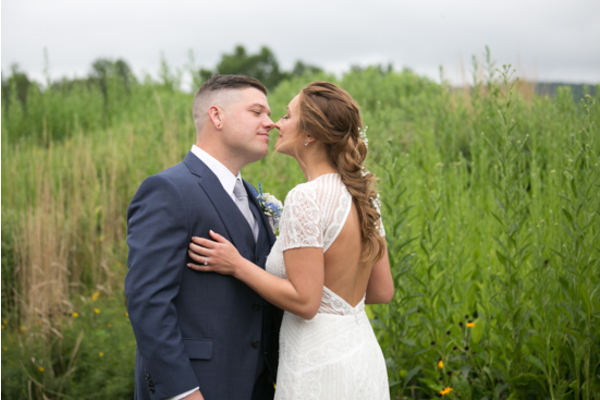 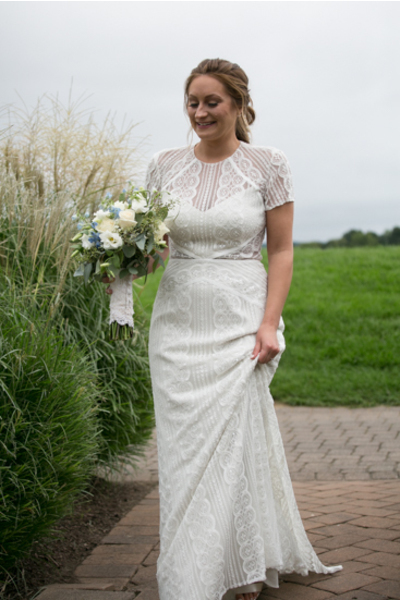 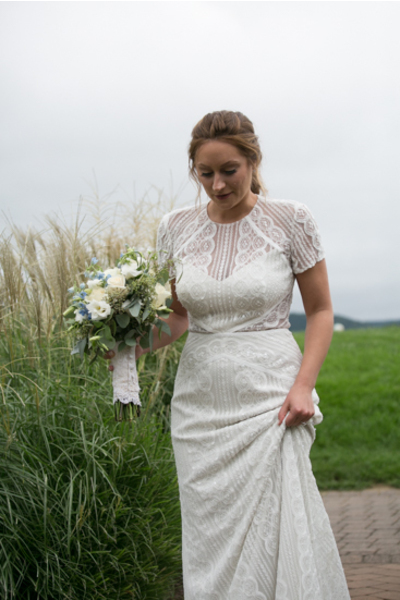 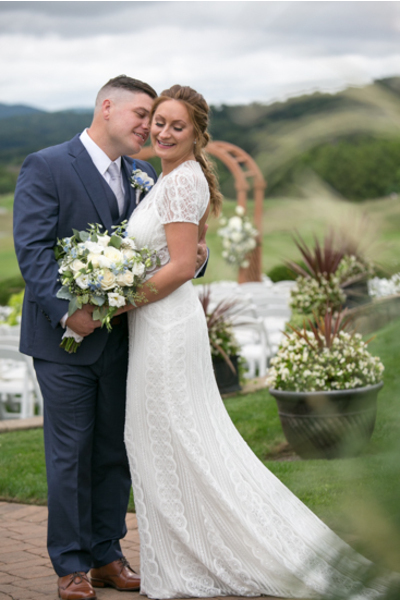 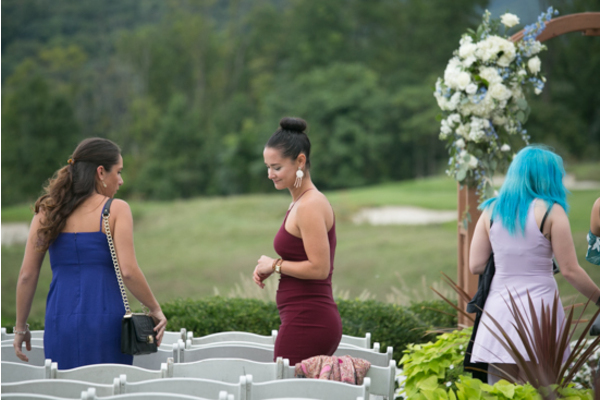 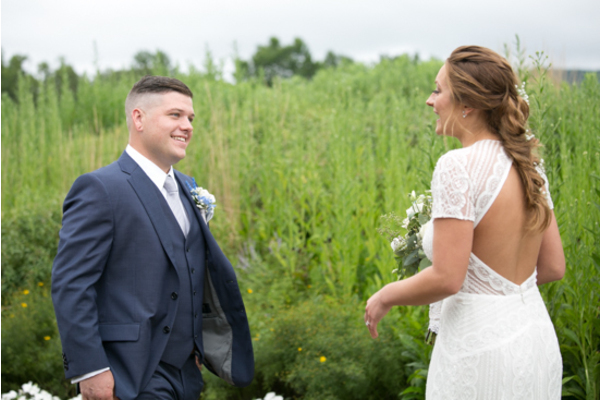 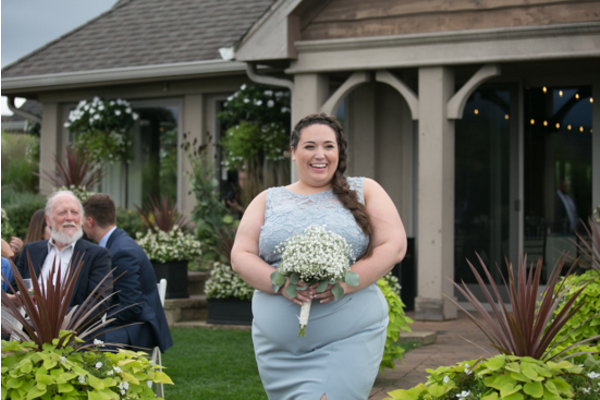 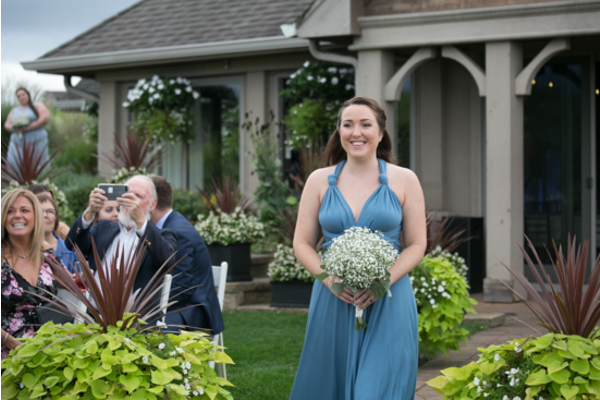 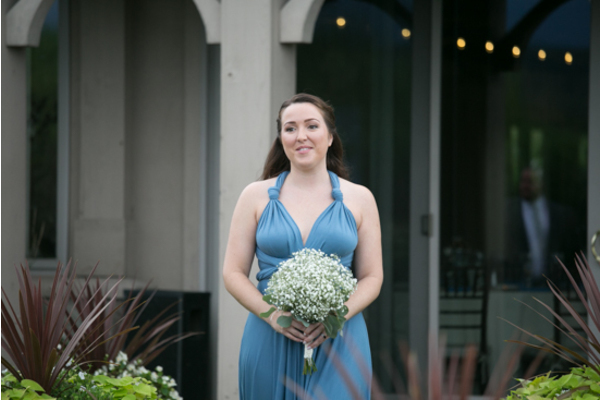 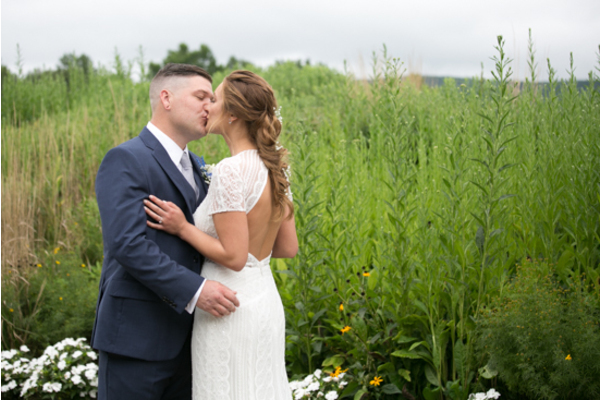 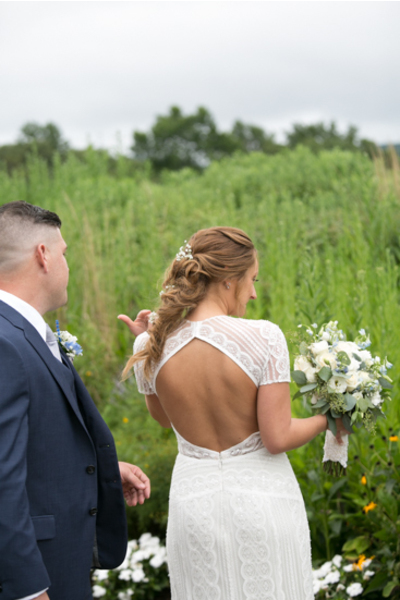 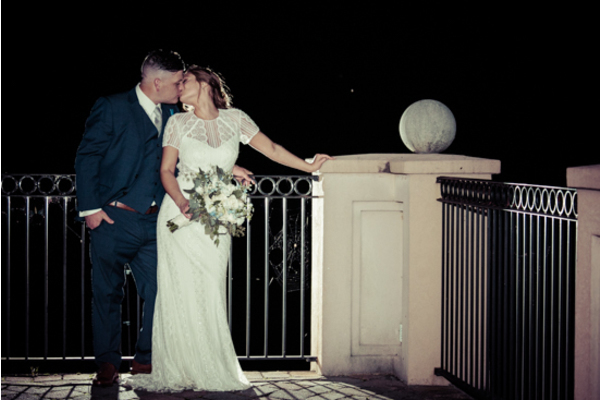 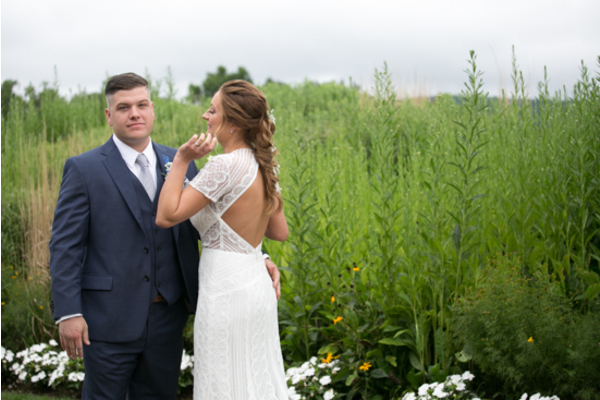 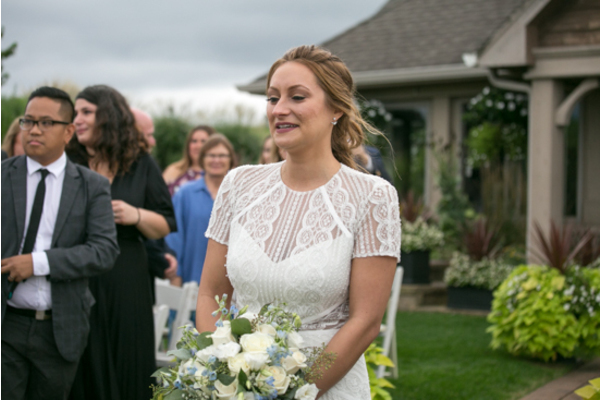 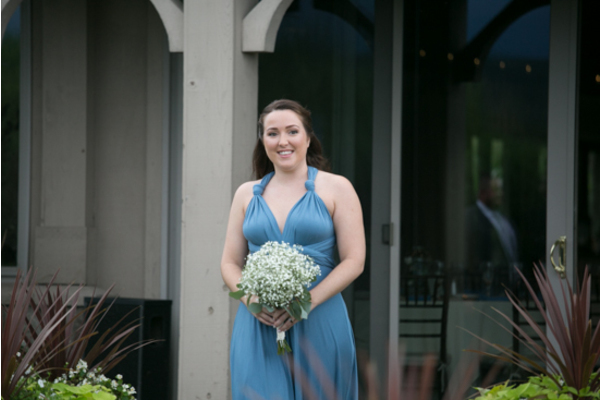 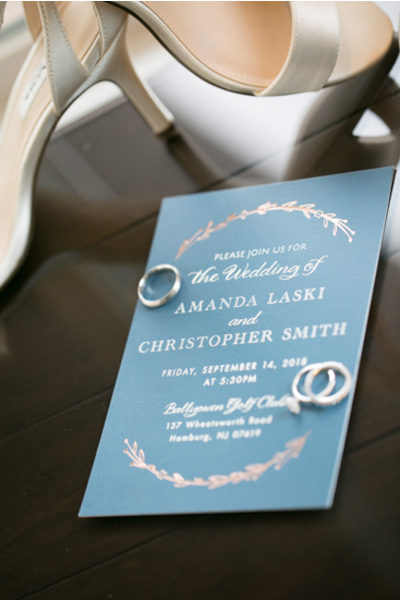 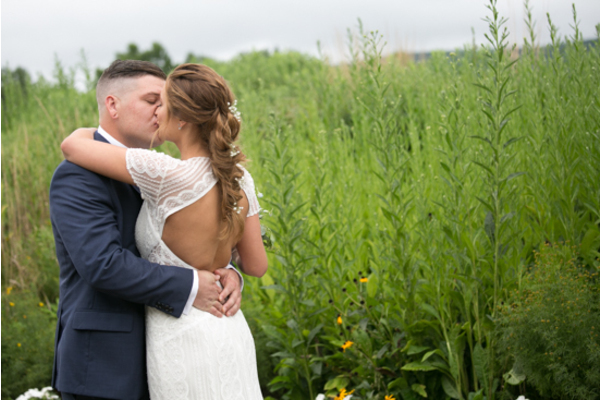 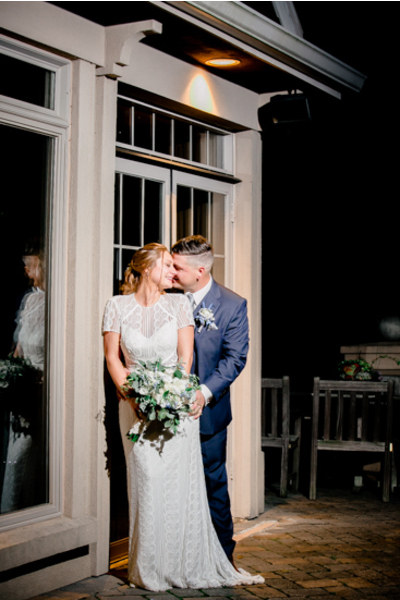 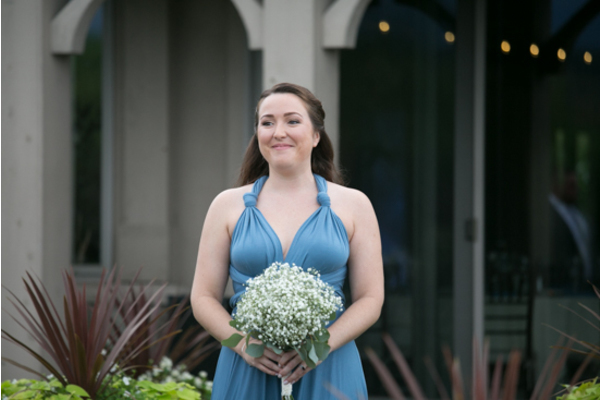 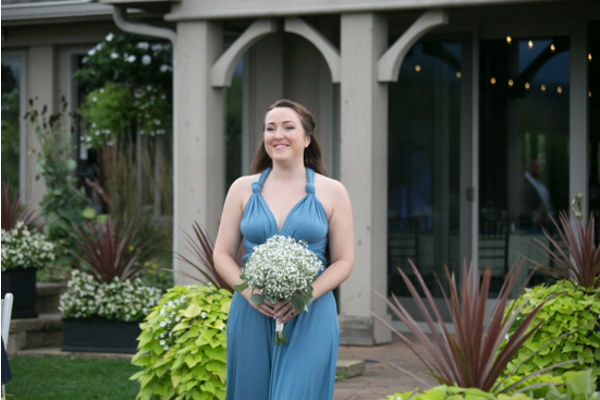 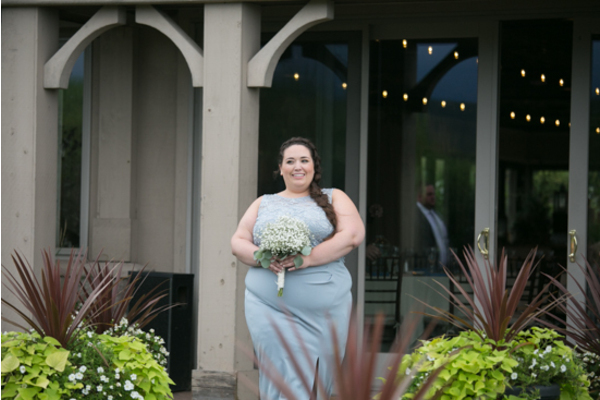 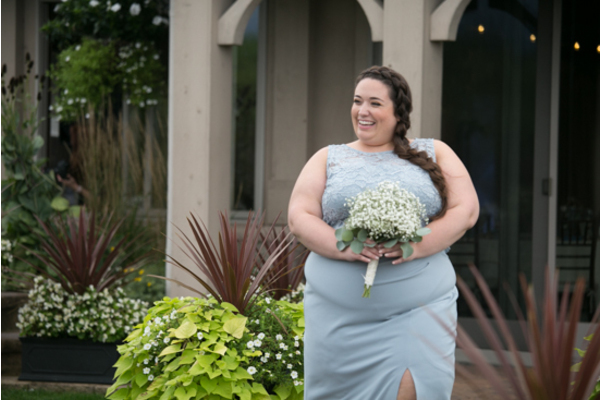 Amanda’s gown featured a beautiful open-back design that was sure to make Chris melt! 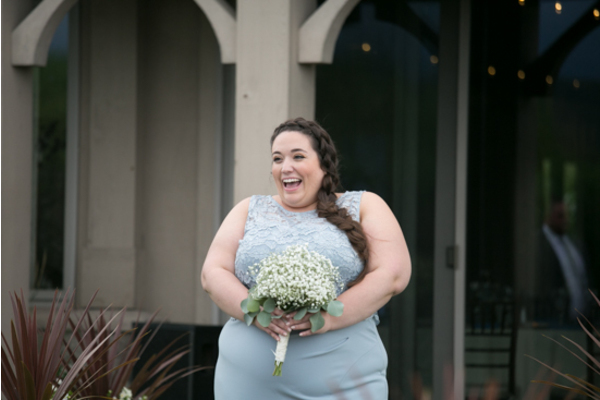 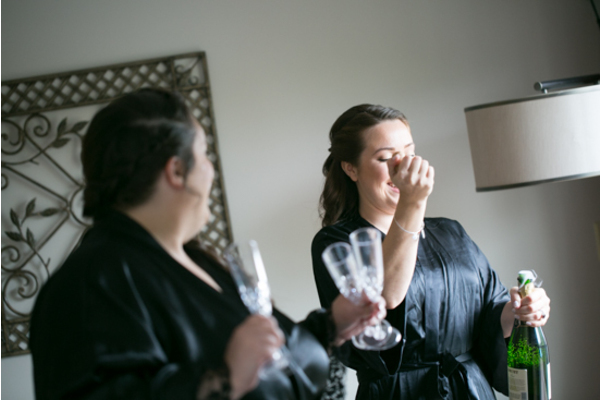 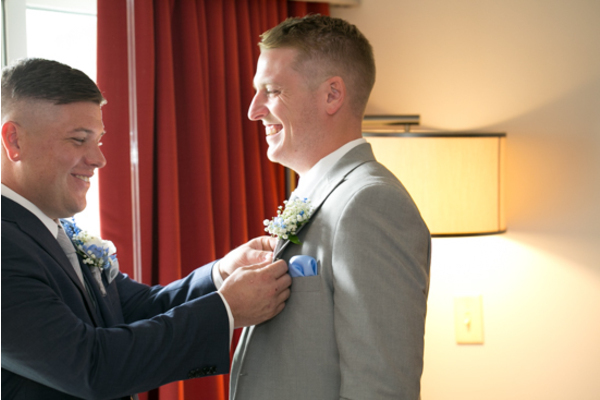 Before the ceremony began, our NJ Wedding Photographer photographed smiles and laughter shared between everyone. 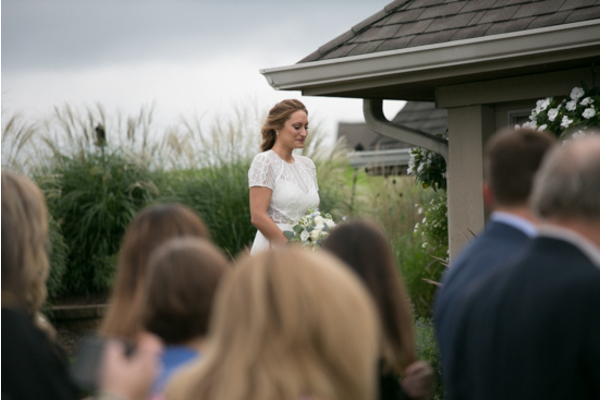 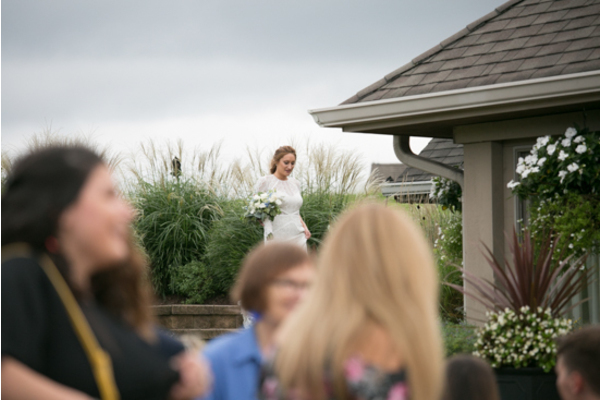 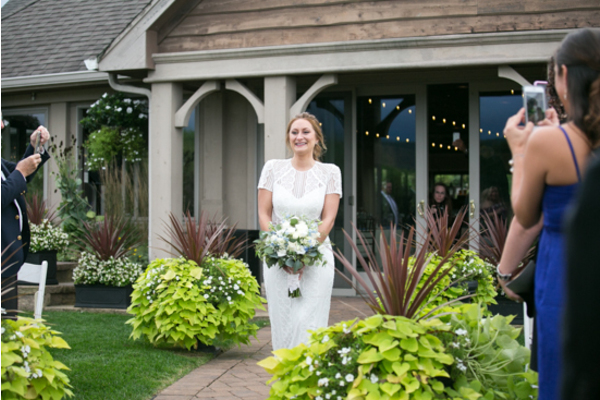 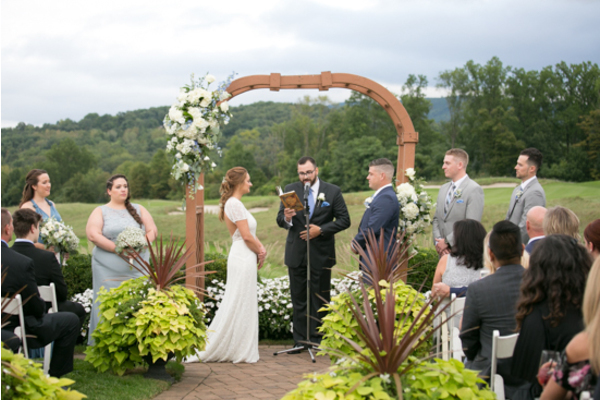 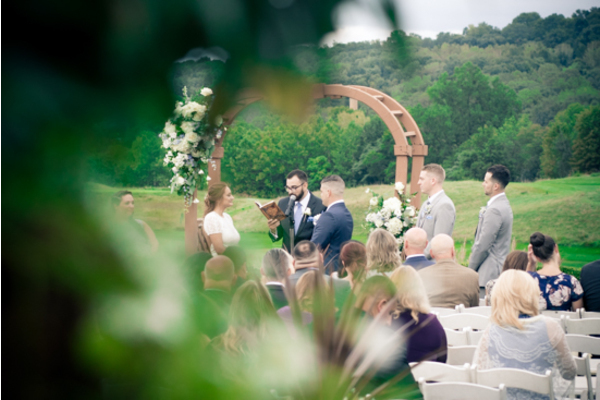 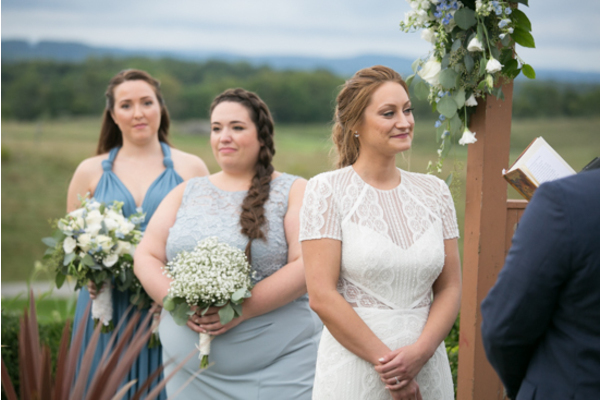 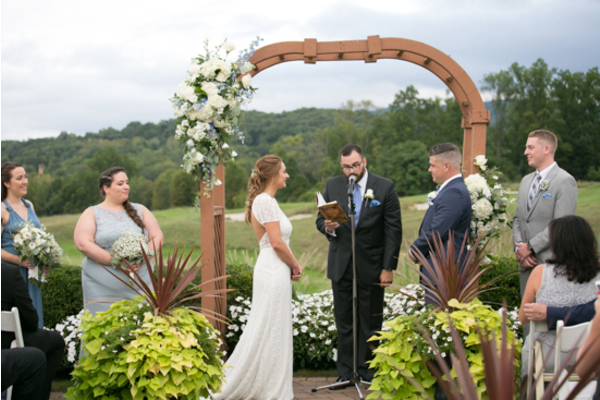 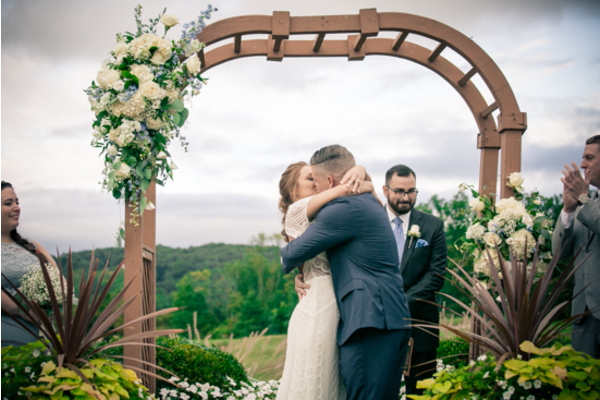 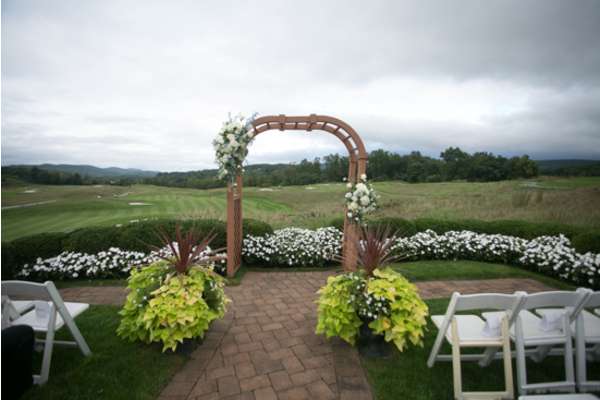 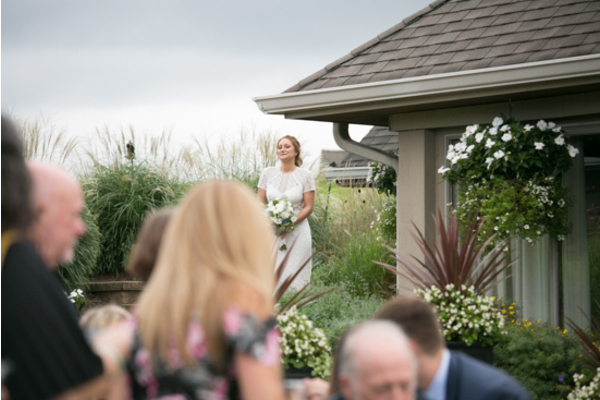 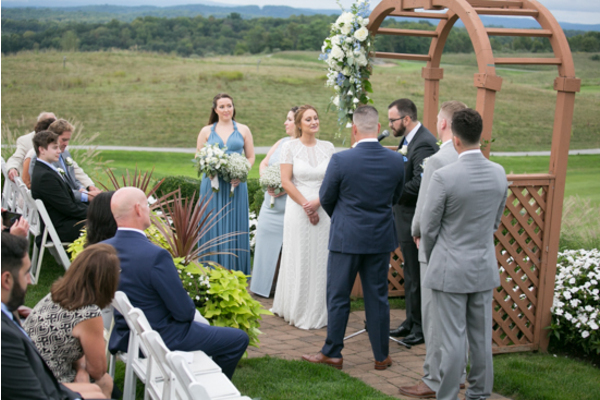 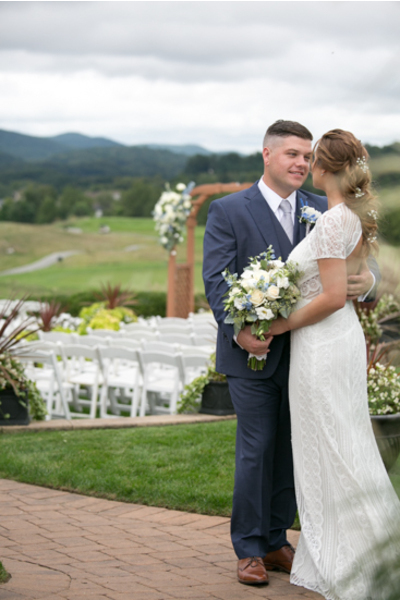 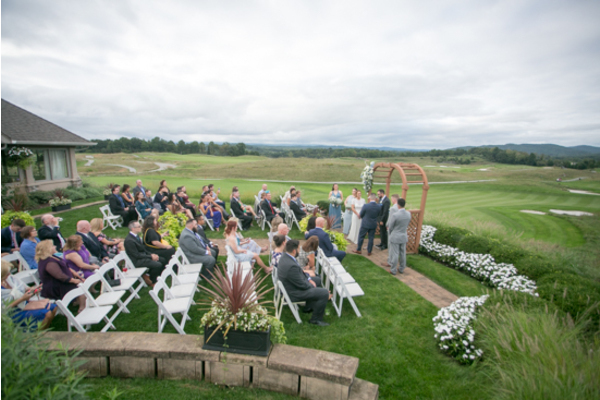 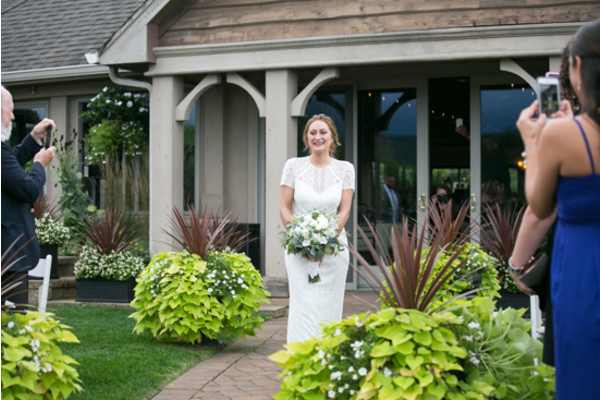 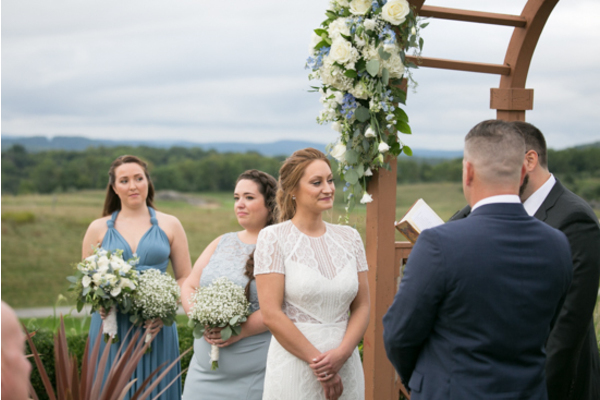 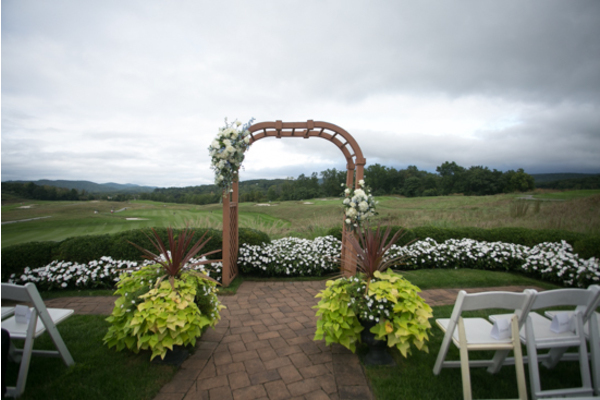 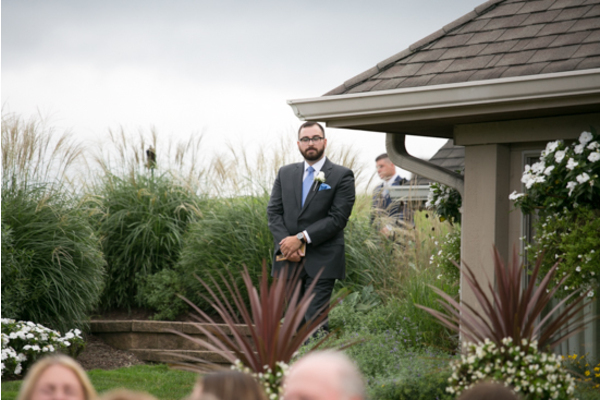 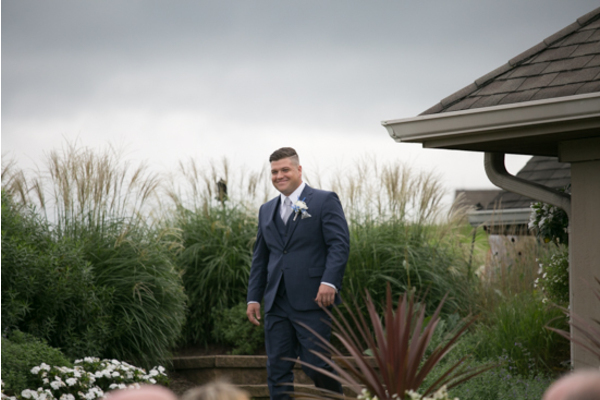 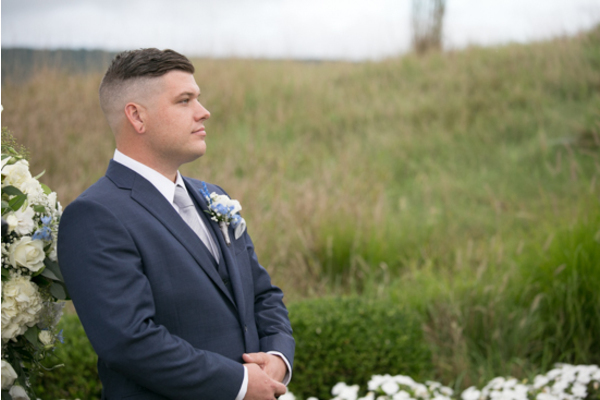 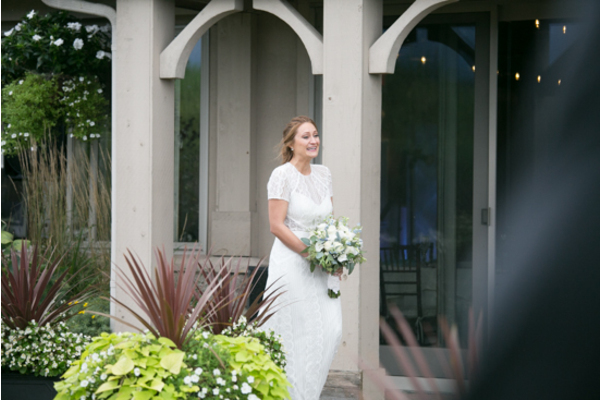 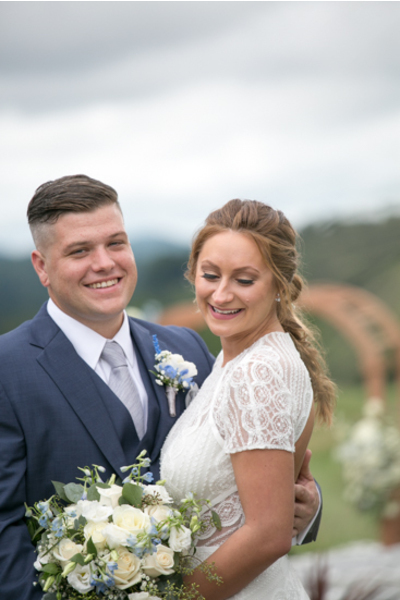 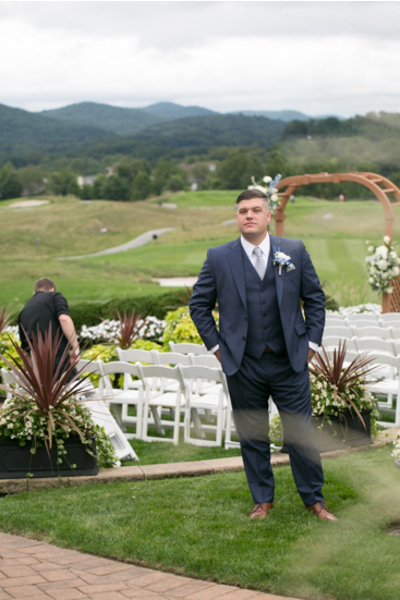 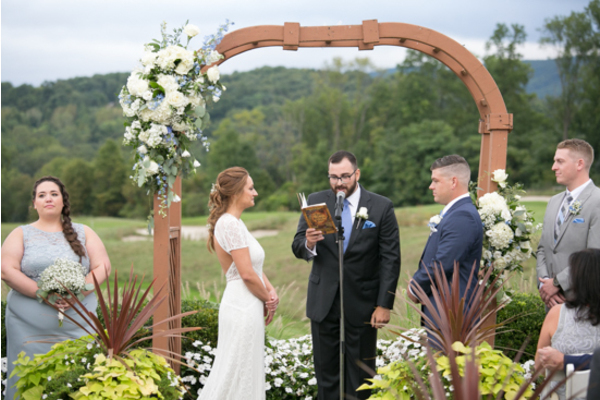 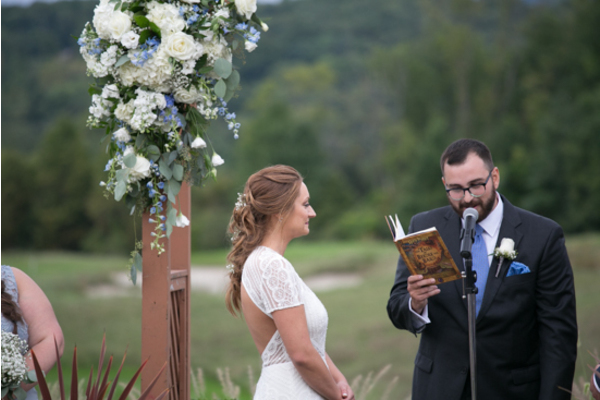 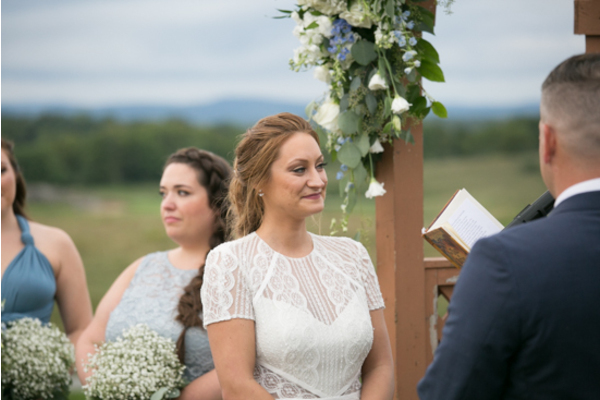 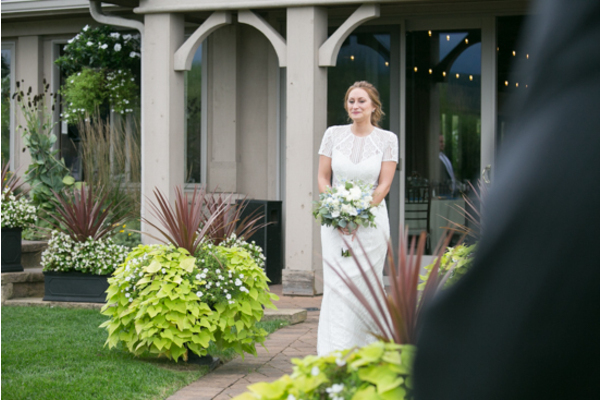 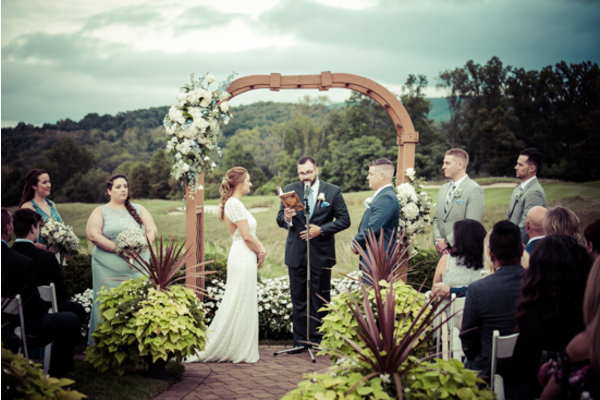 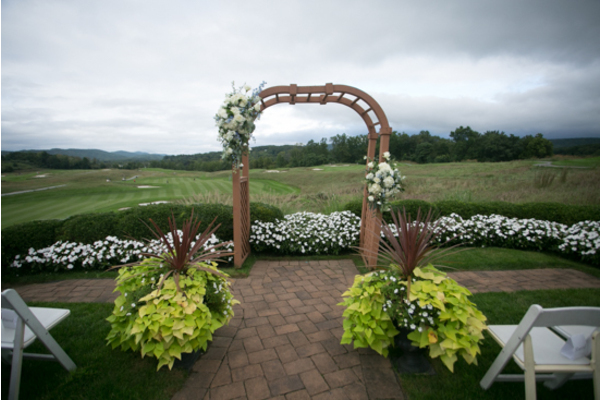 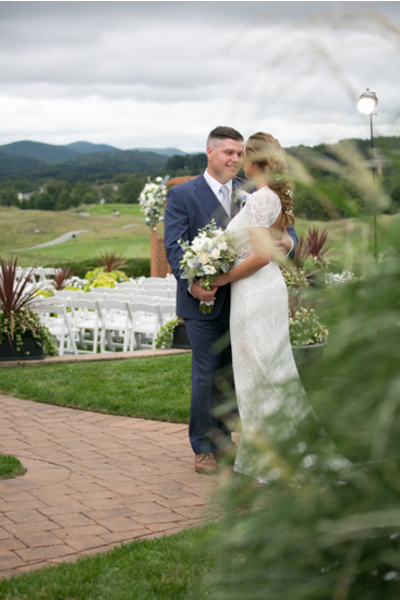 The outdoor ceremony had a wide open scenery straight out of a fairytale! 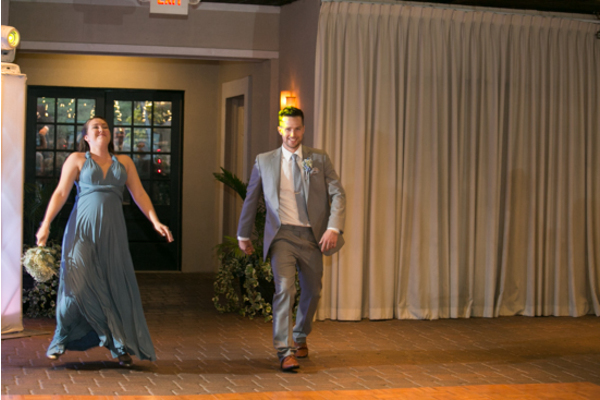 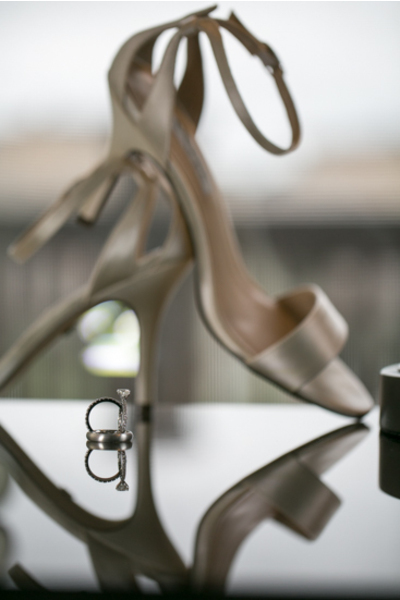 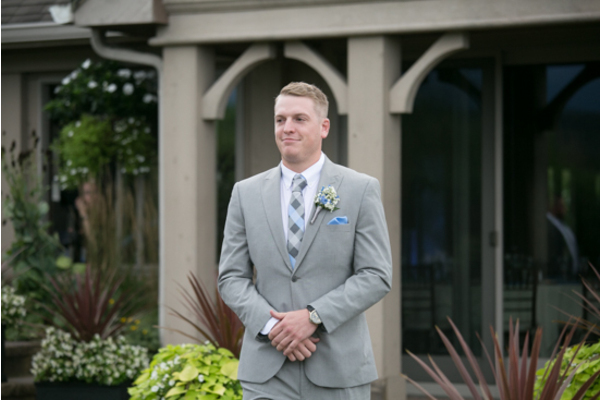 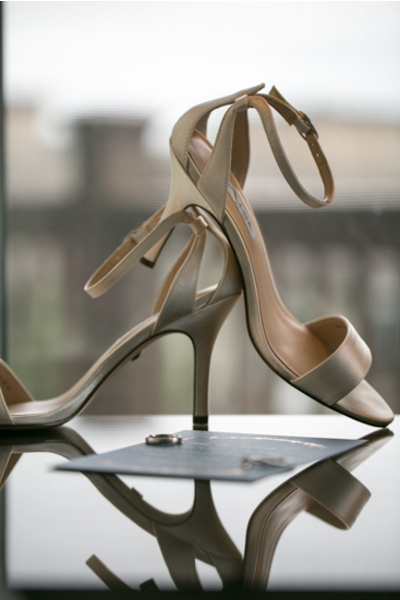 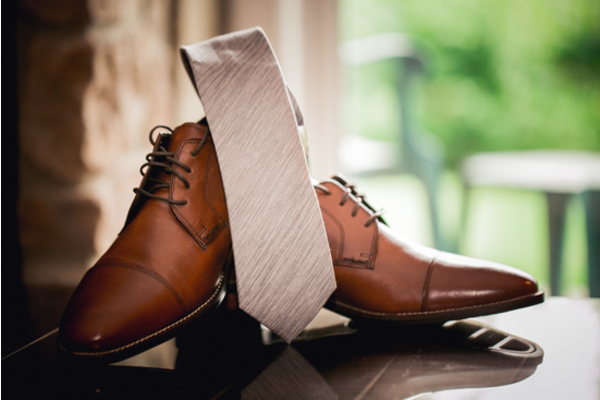 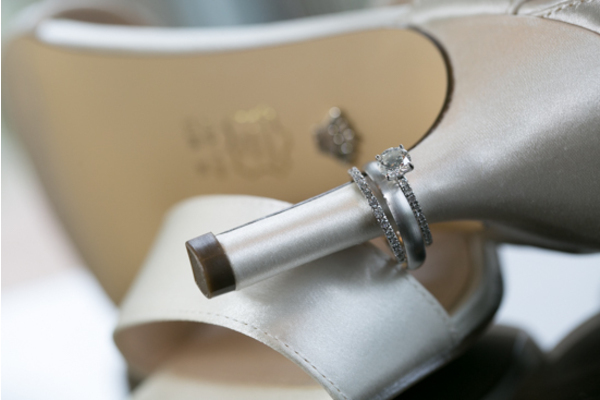 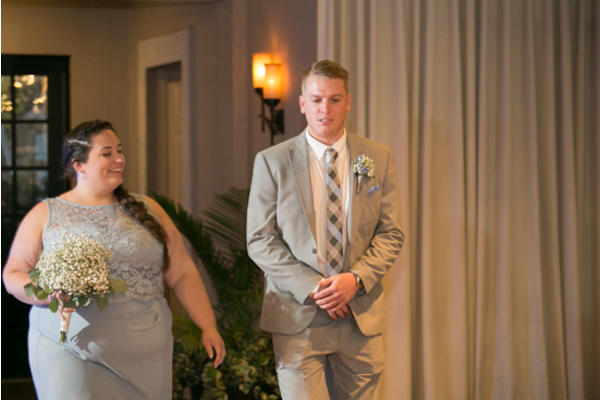 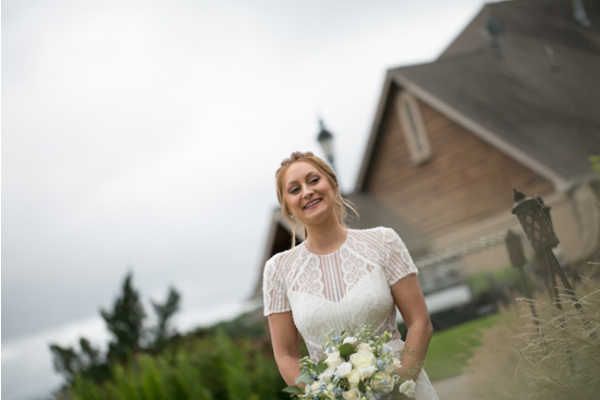 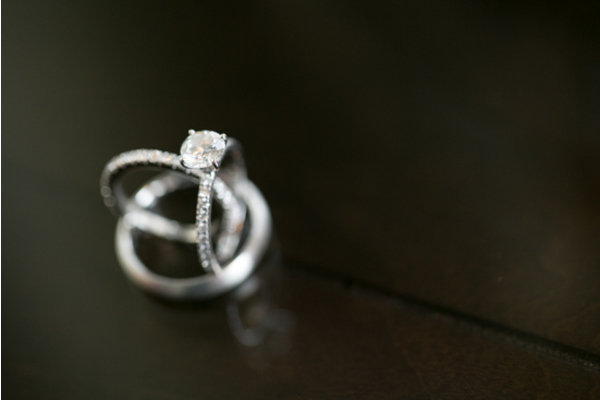 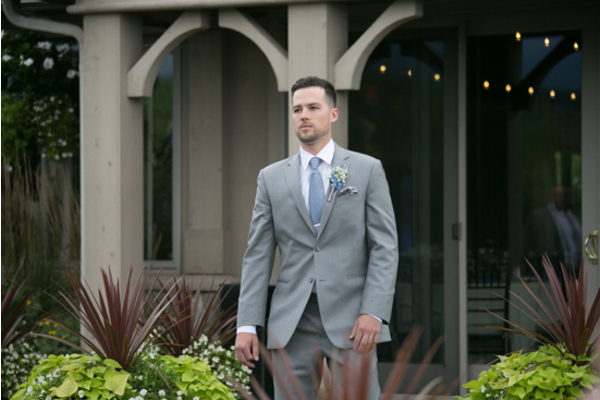 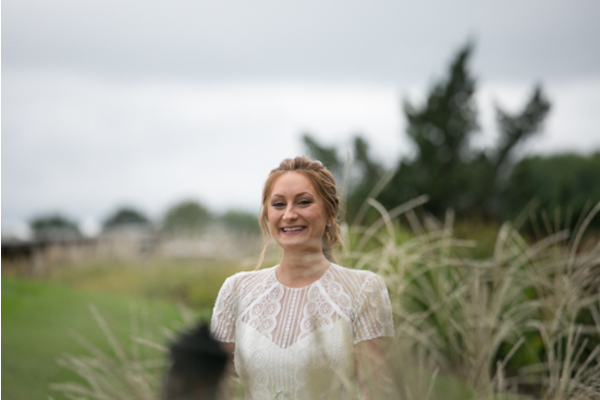 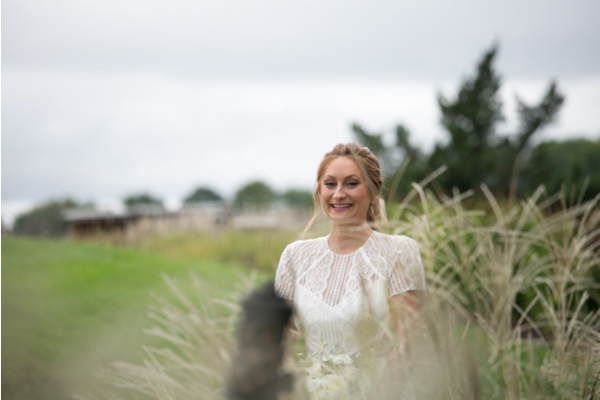 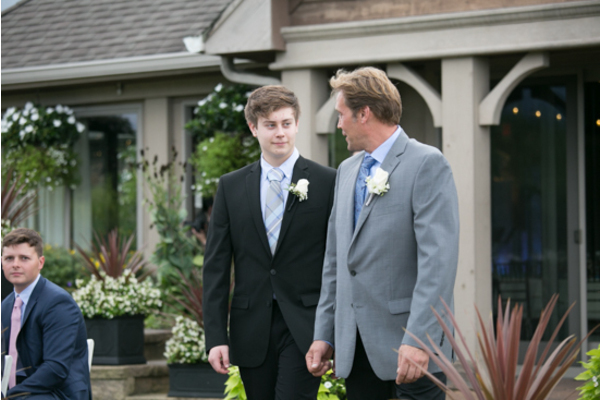 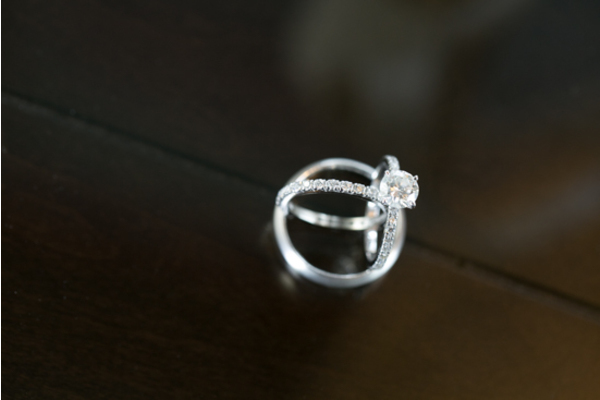 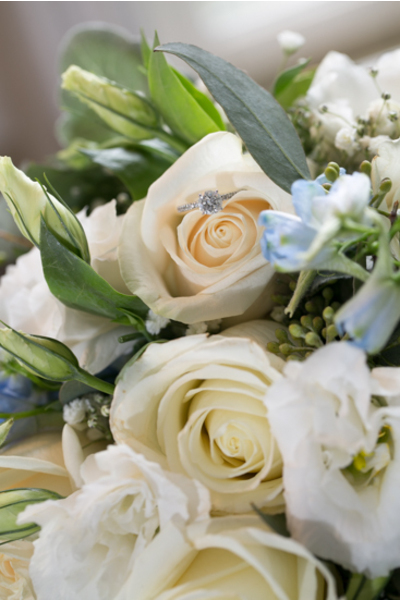 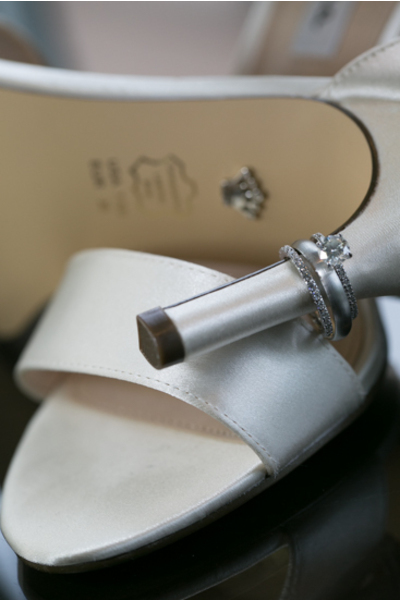 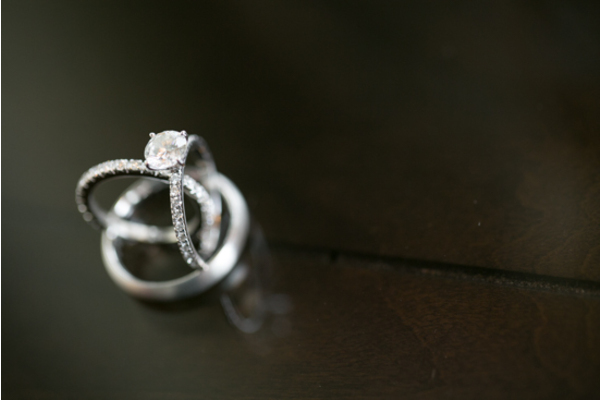 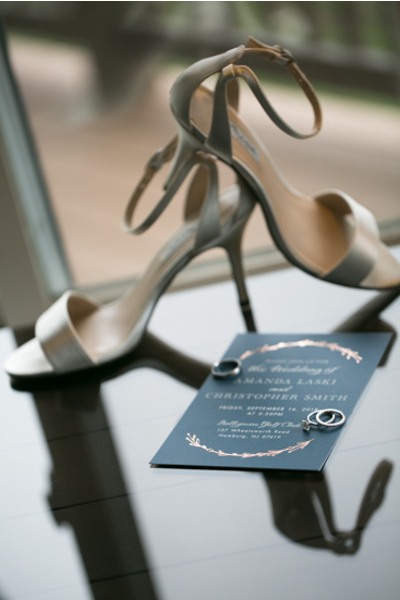 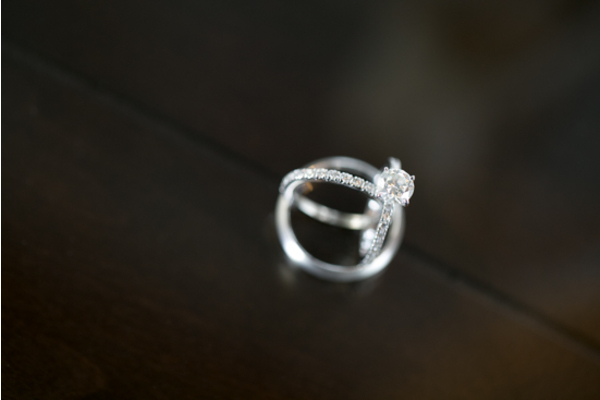 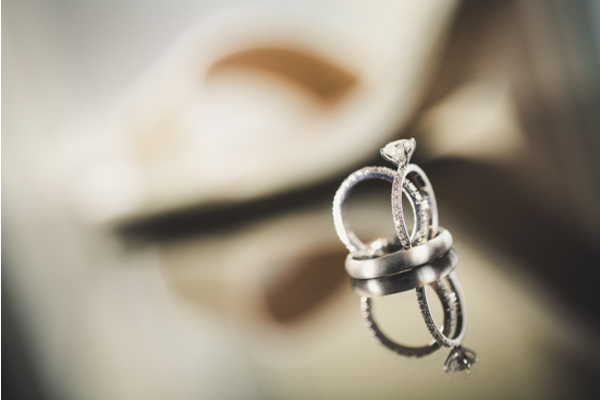 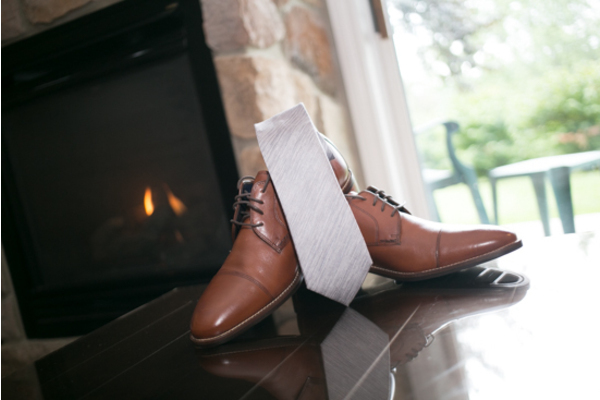 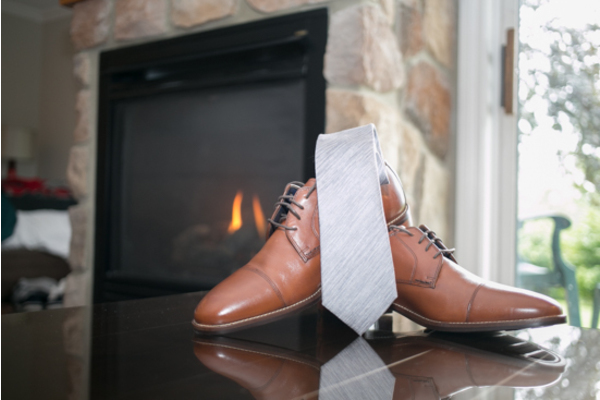 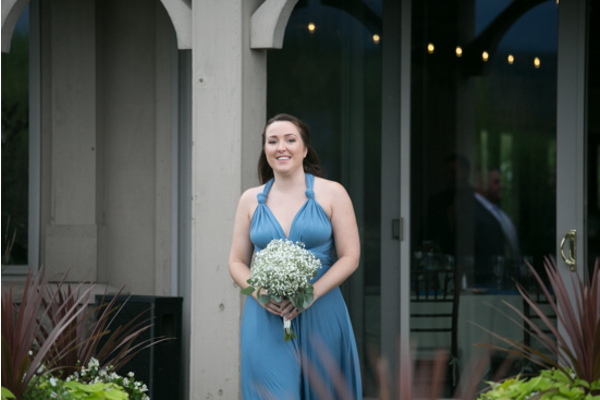 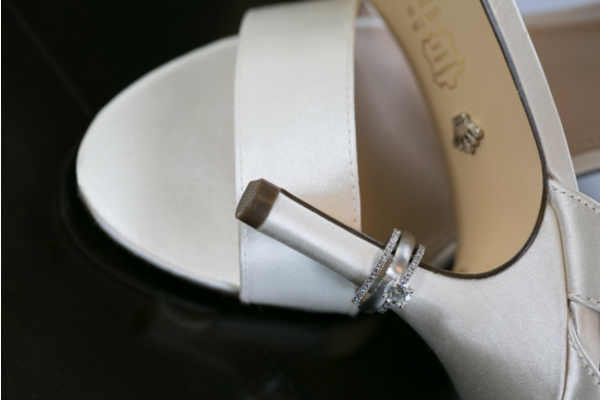 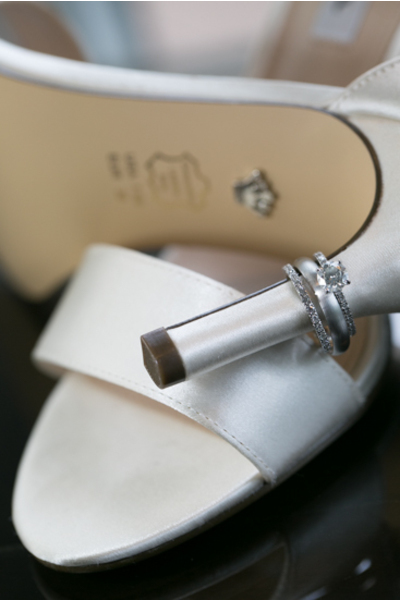 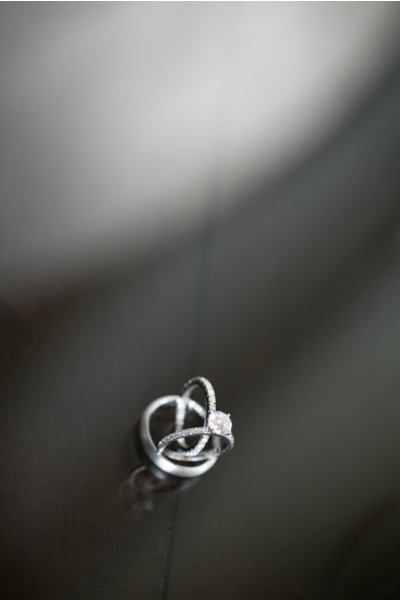 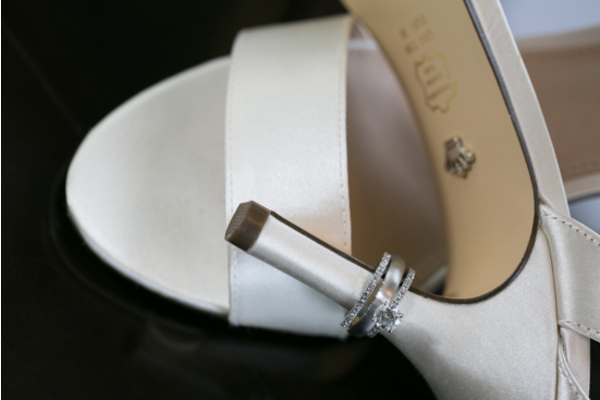 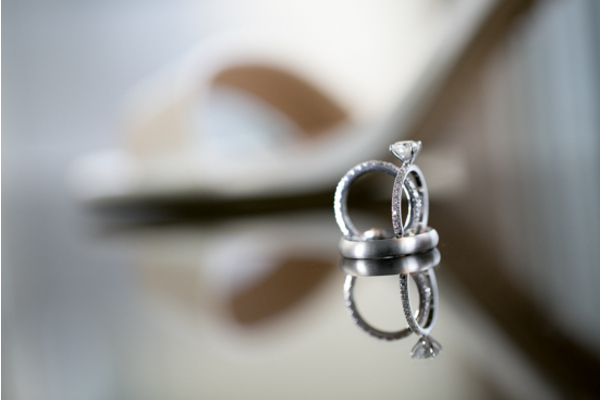 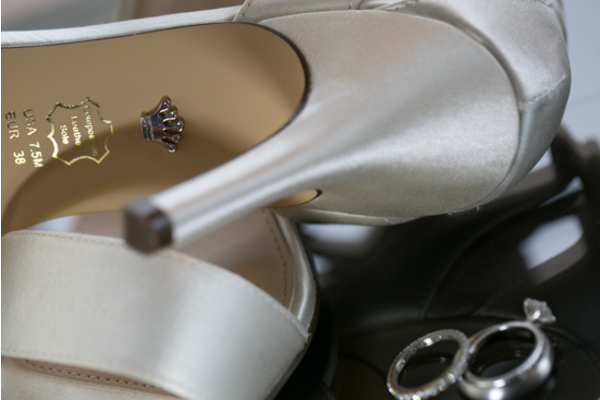 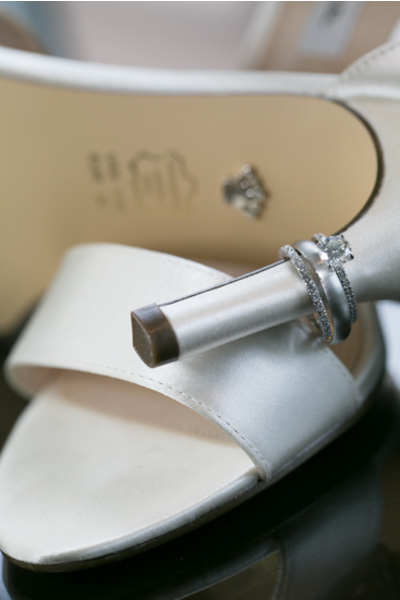 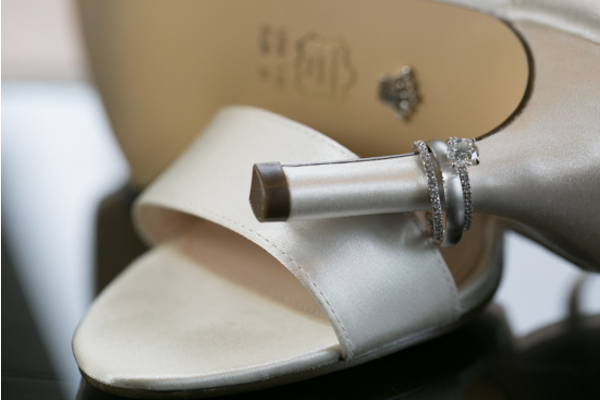 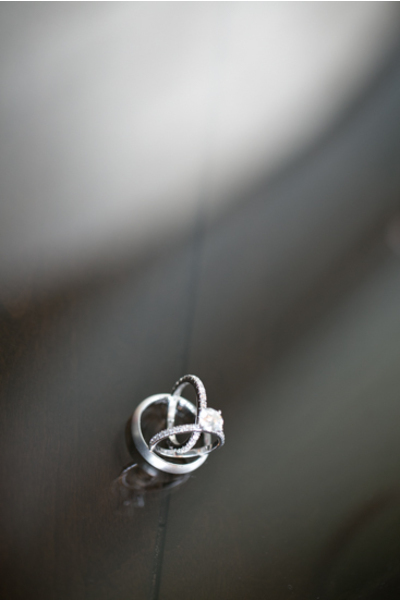 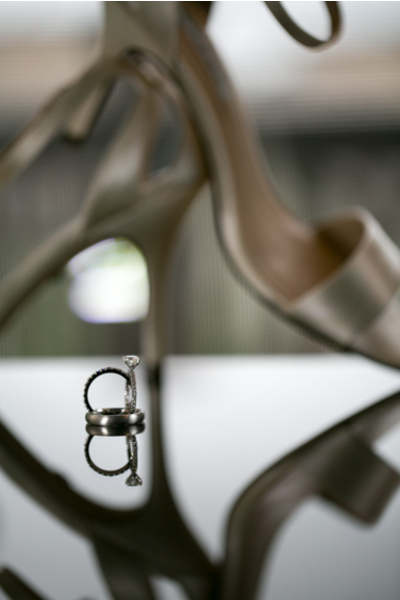 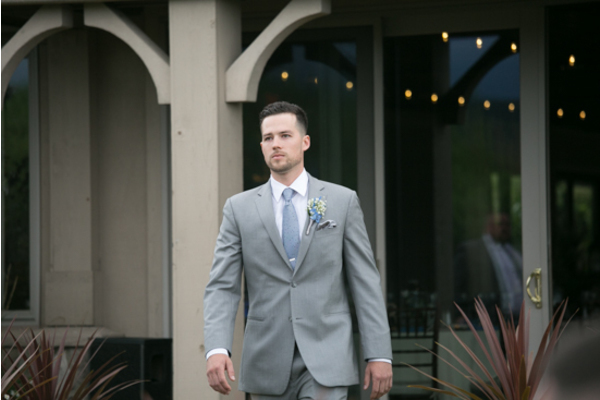 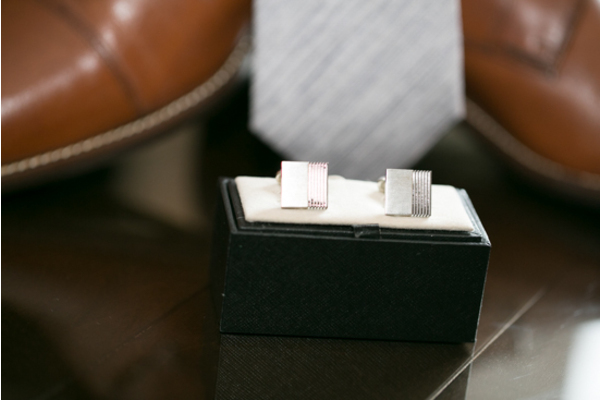 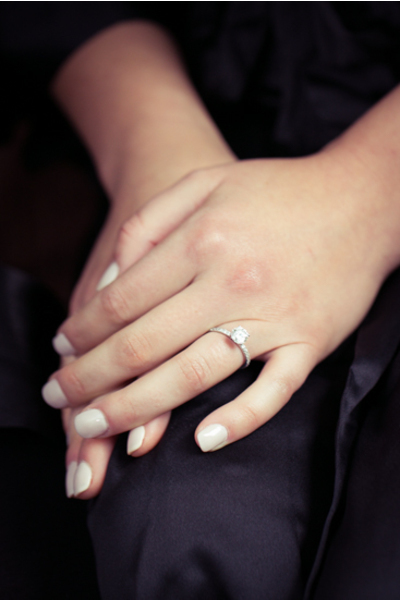 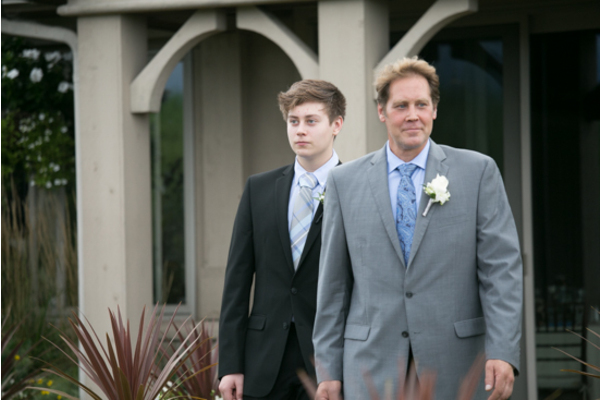 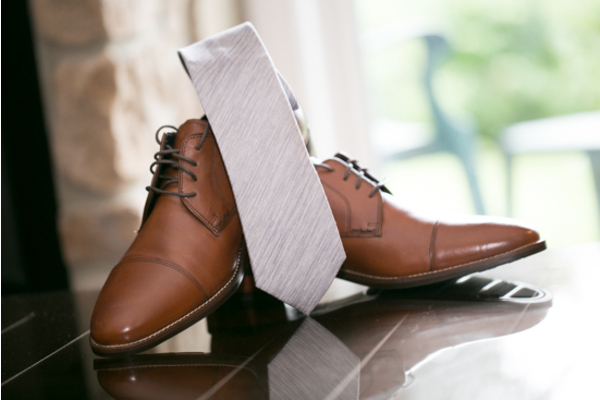 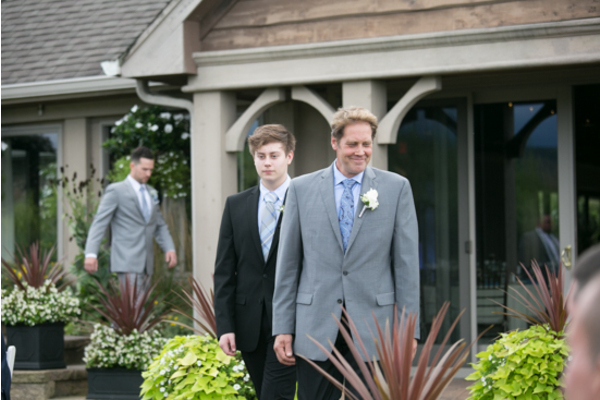 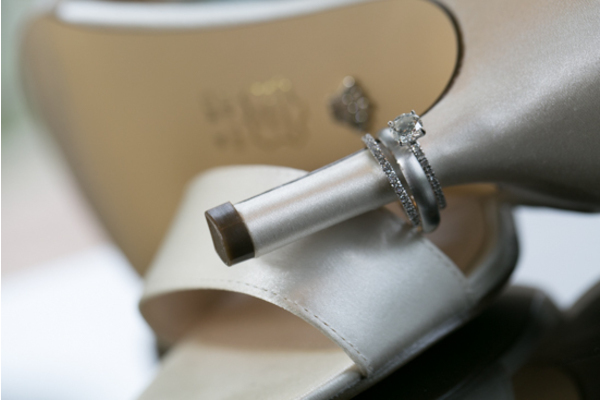 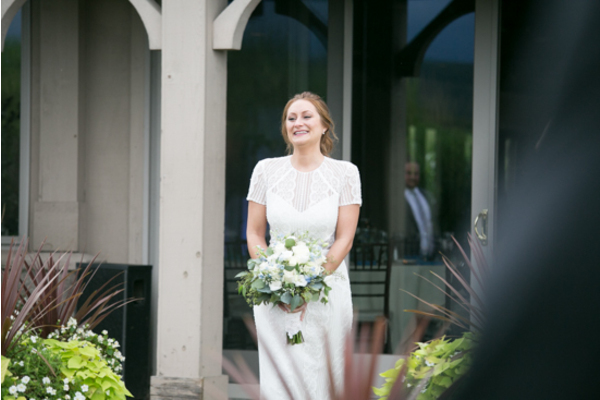 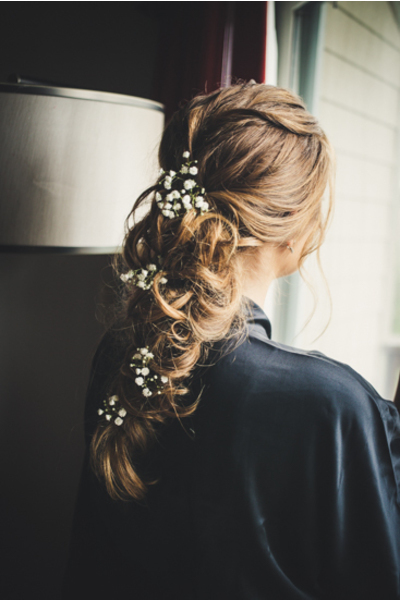 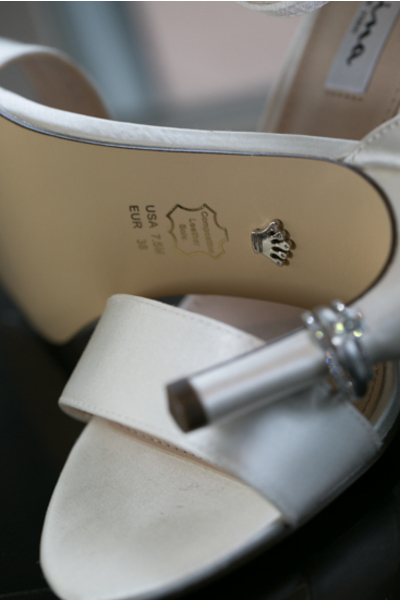 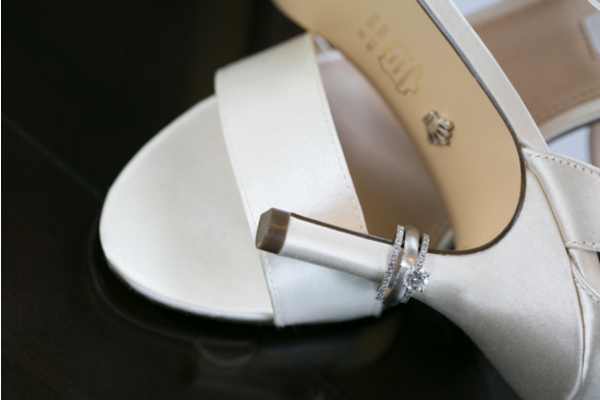 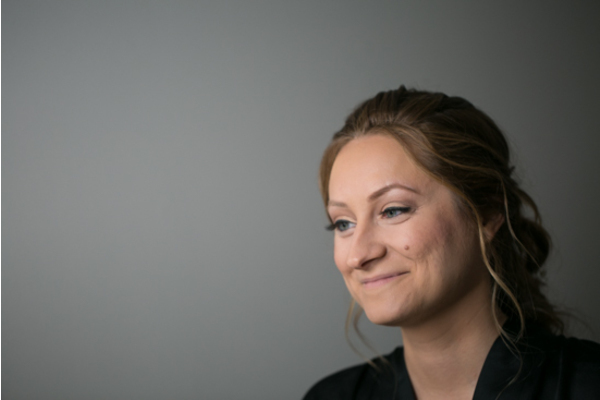 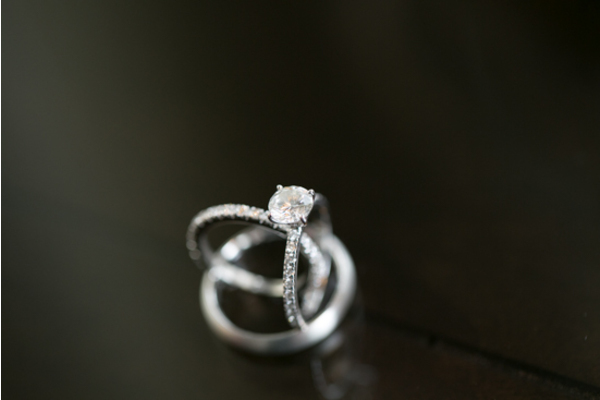 Chris smiled from ear to ear as Amanda made her walk down the aisle glowing from head to toe. 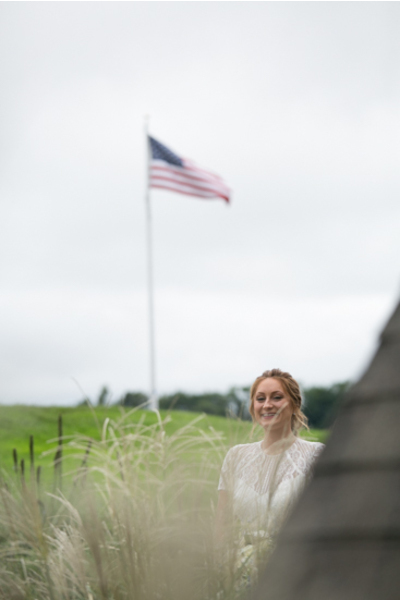 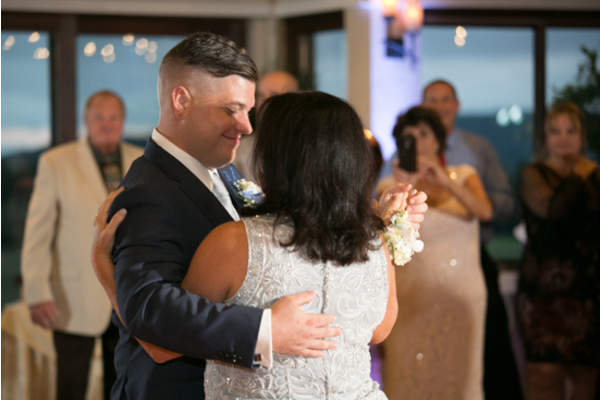 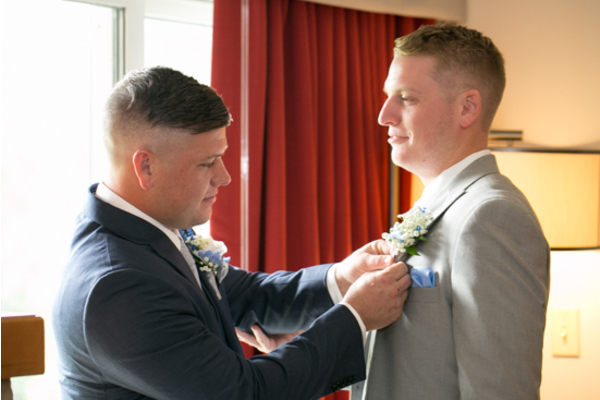 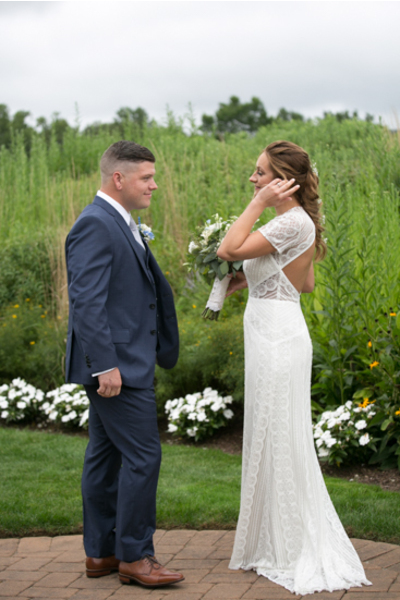 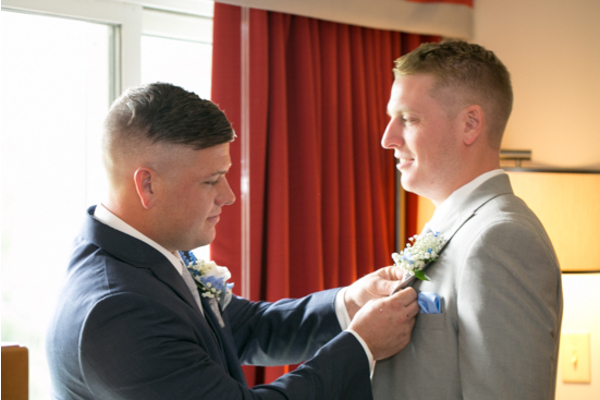 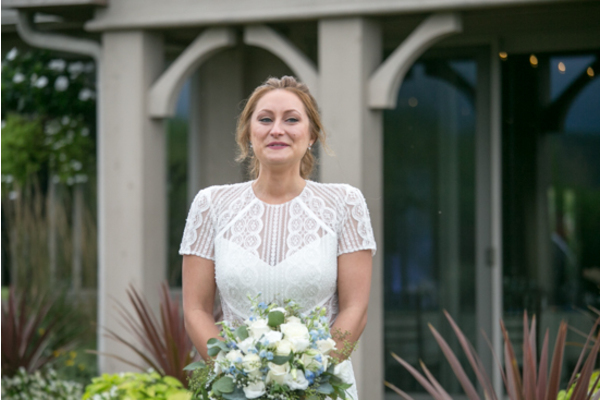 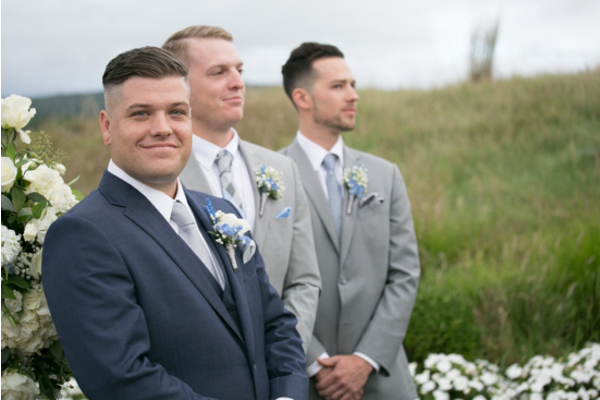 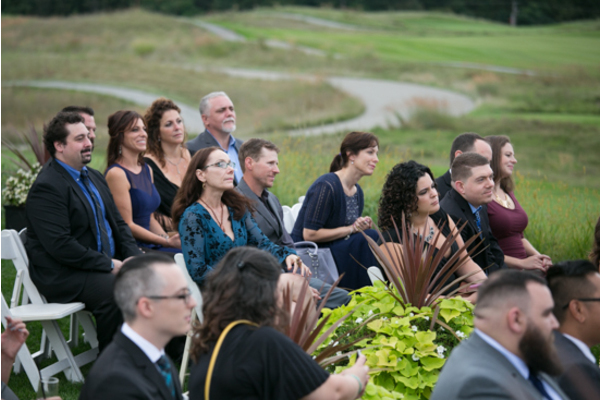 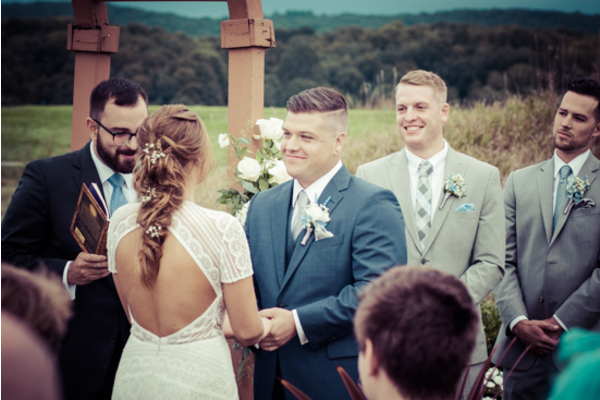 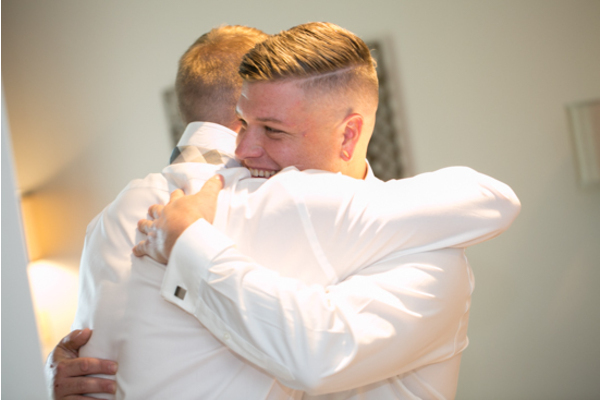 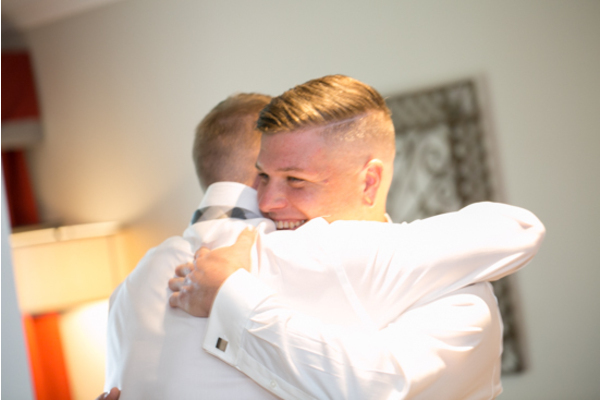 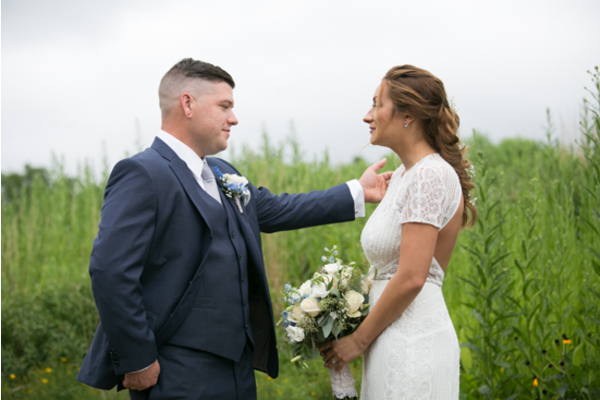 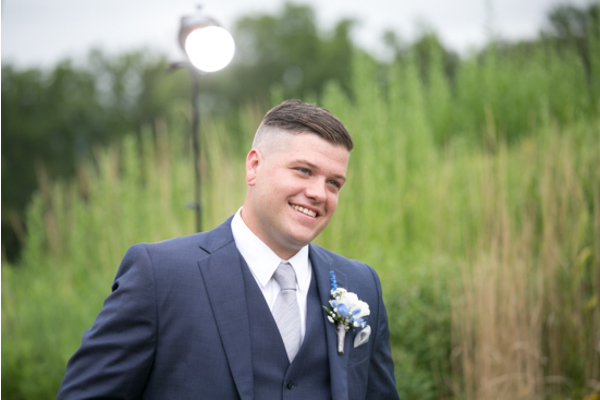 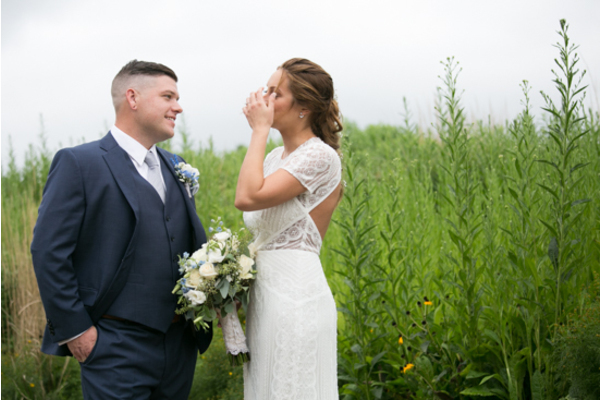 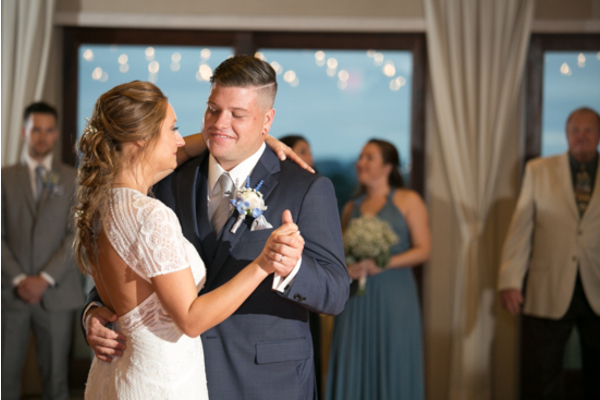 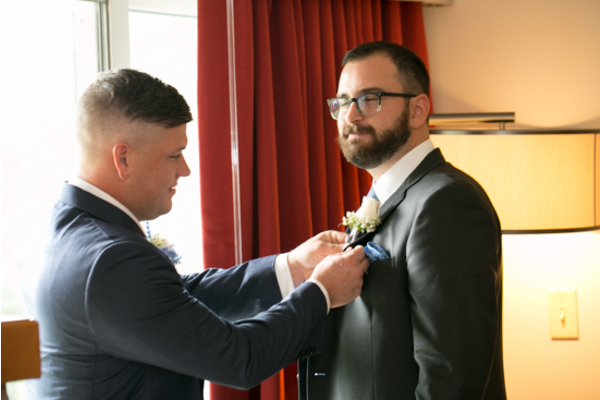 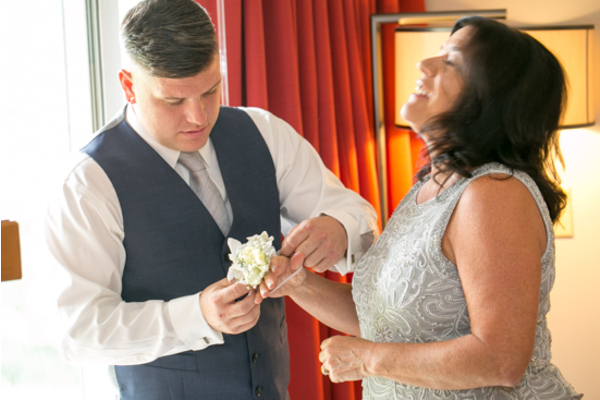 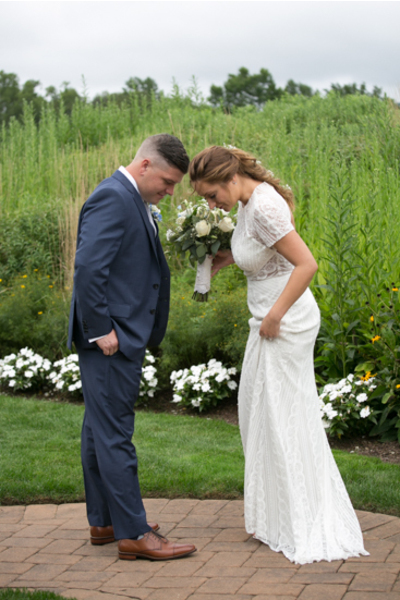 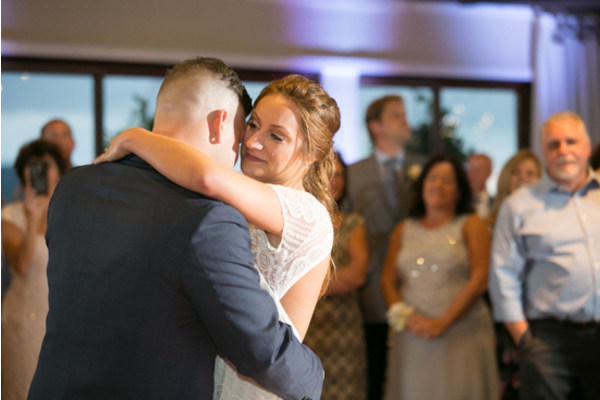 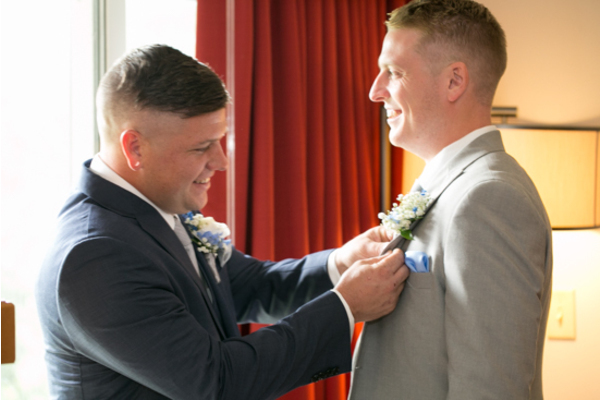 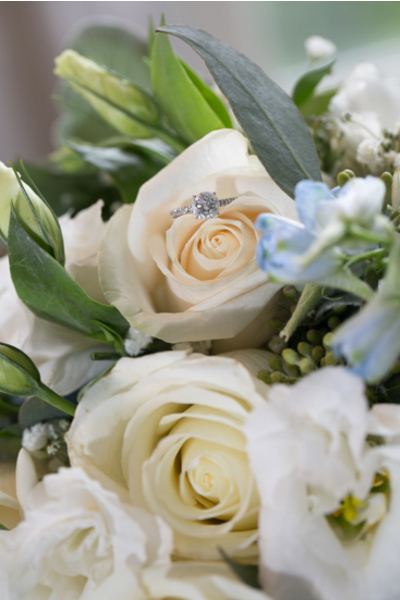 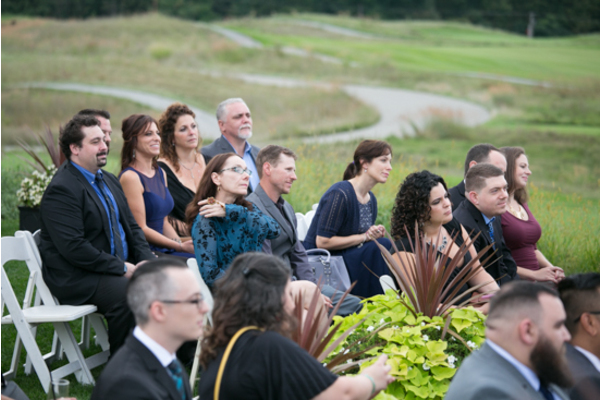 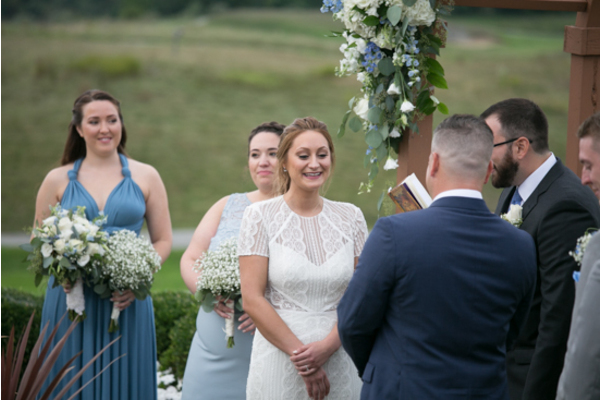 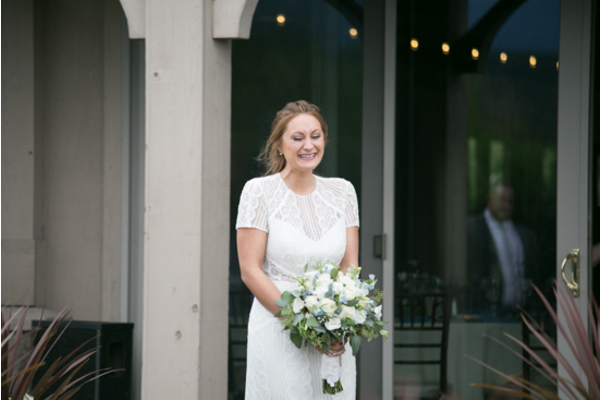 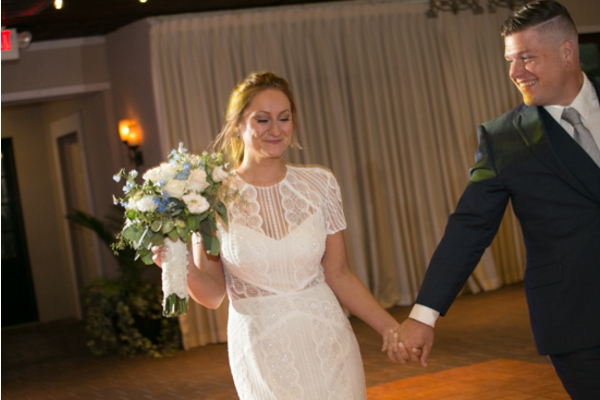 Our NJ Wedding Photographer captured the smiles and tears of joy as they were pronounced husband and wife. 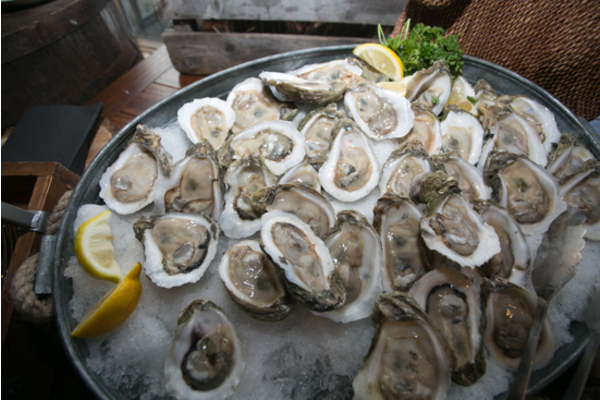 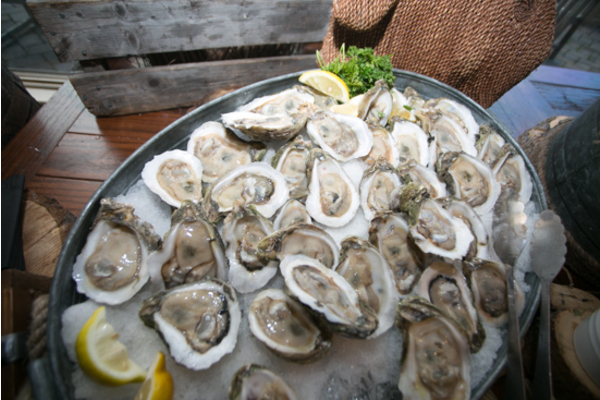 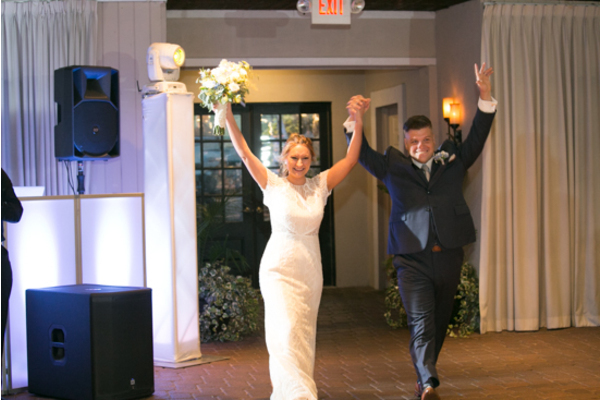 At last, it was time to celebrate! 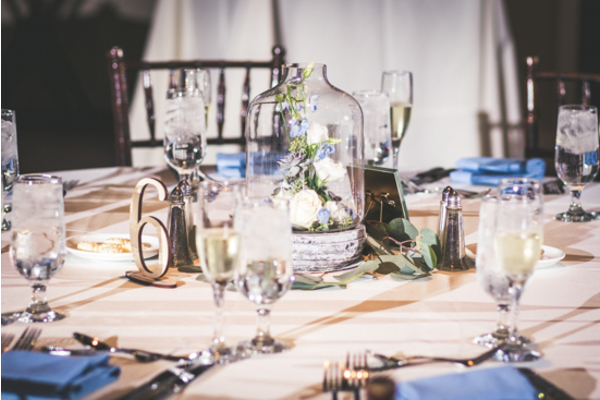 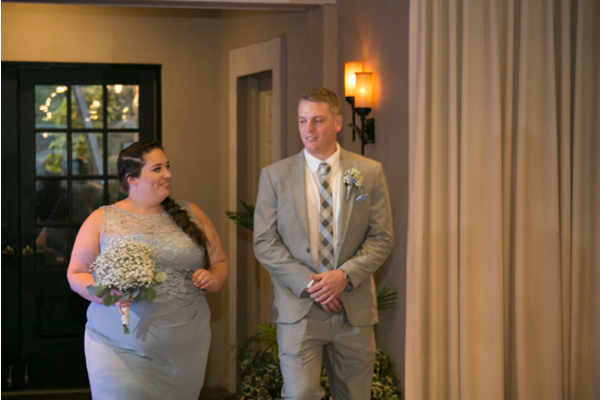 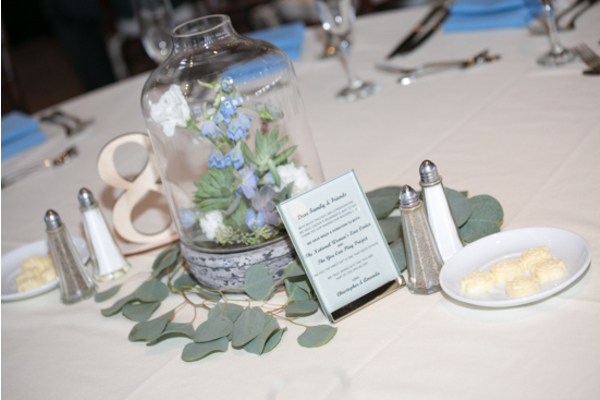 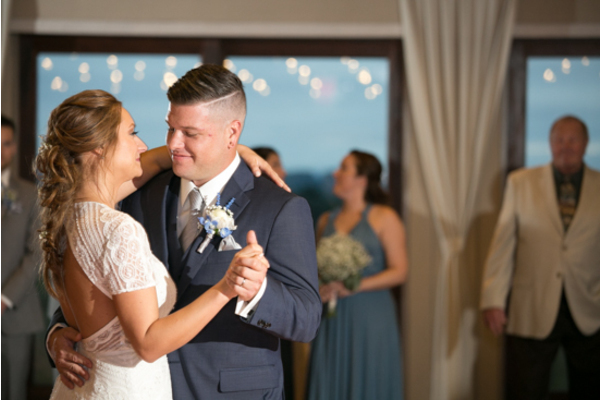 The reception took place in a spacious ballroom, perfect for celebrating Amanda and Chris’s love. 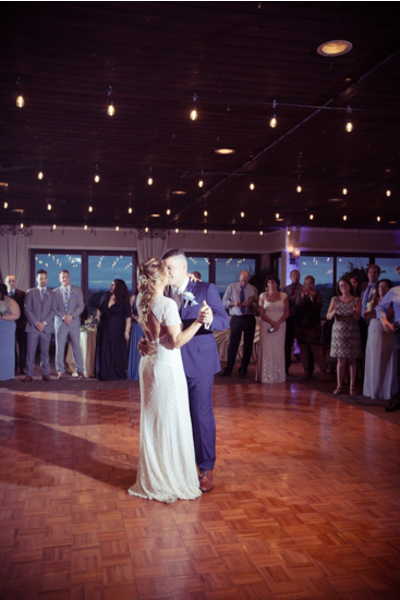 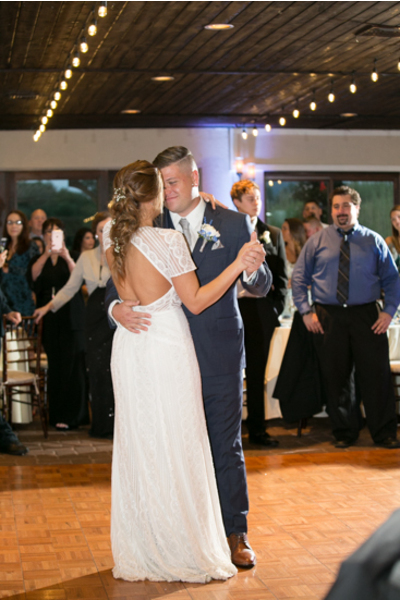 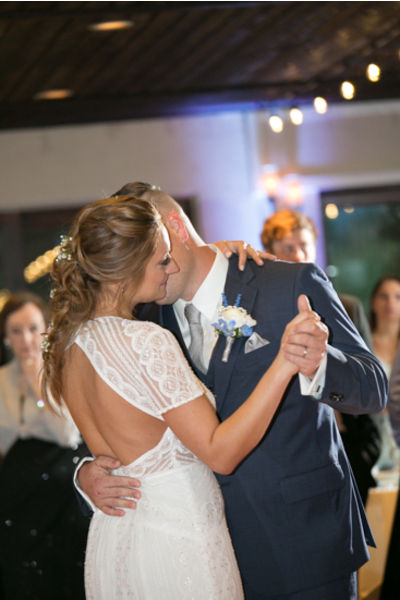 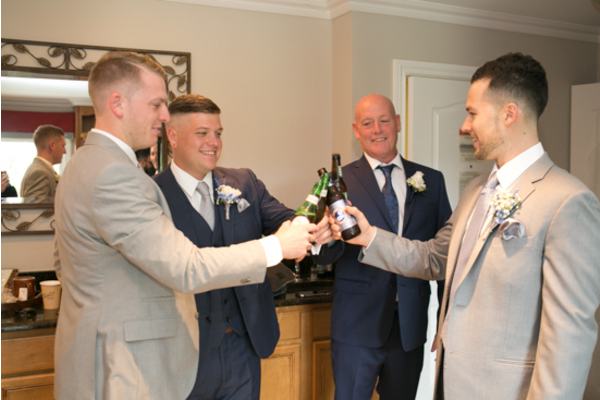 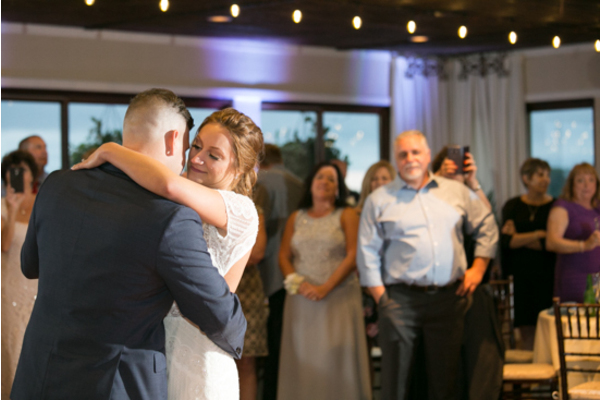 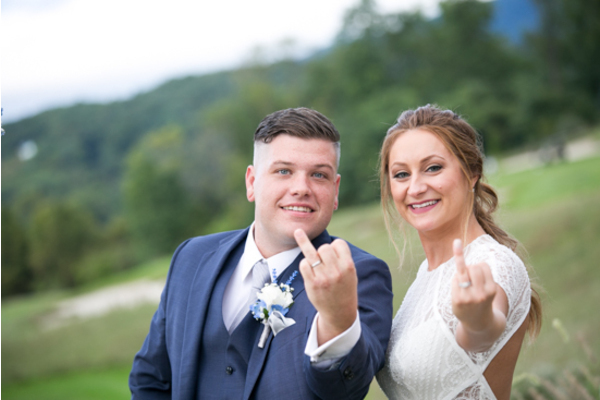 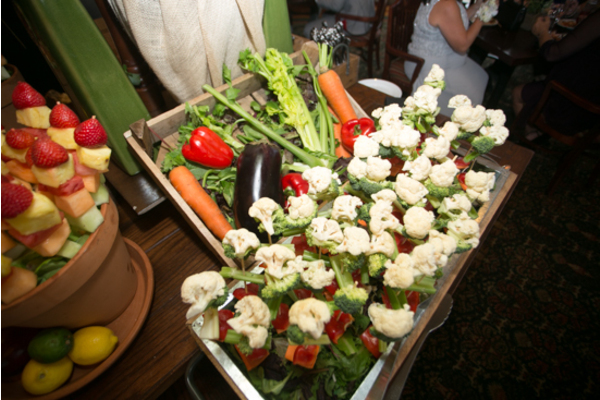 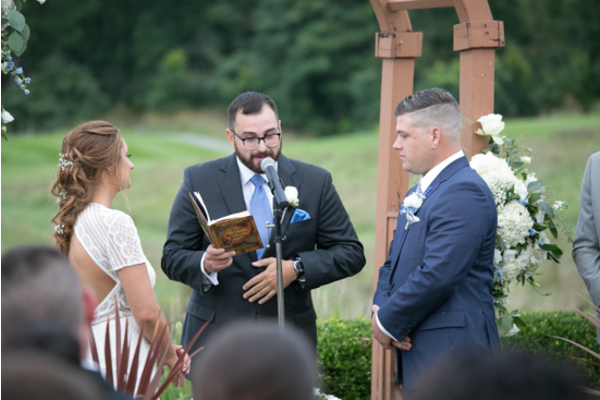 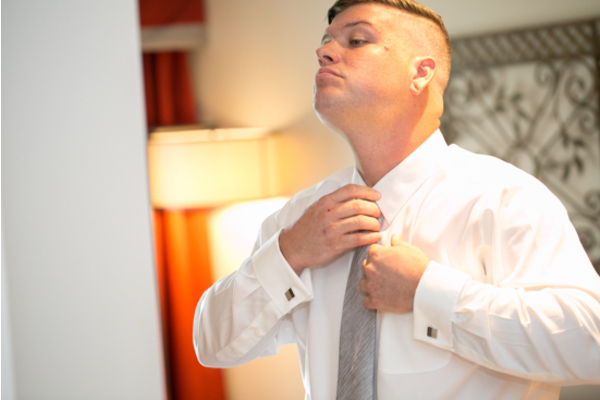 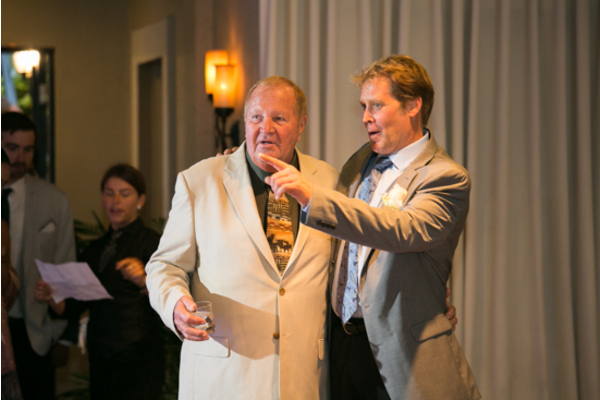 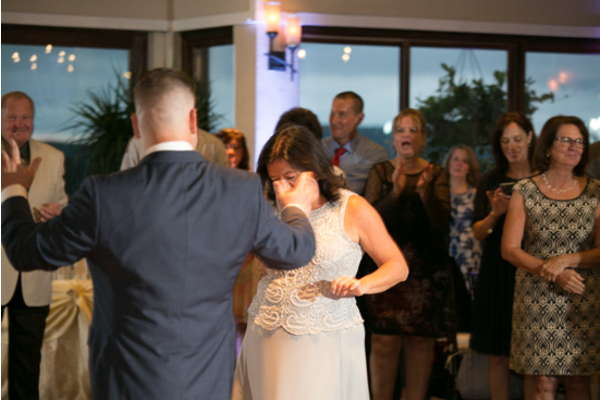 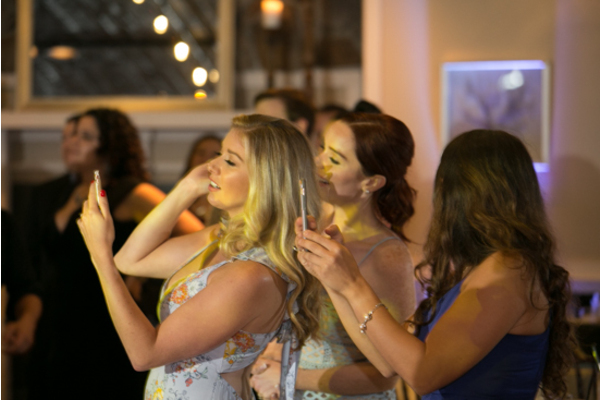 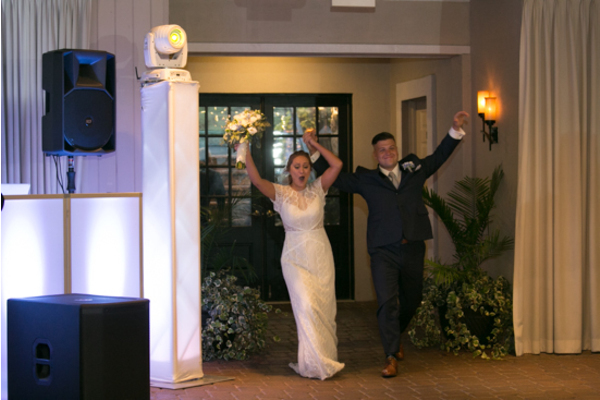 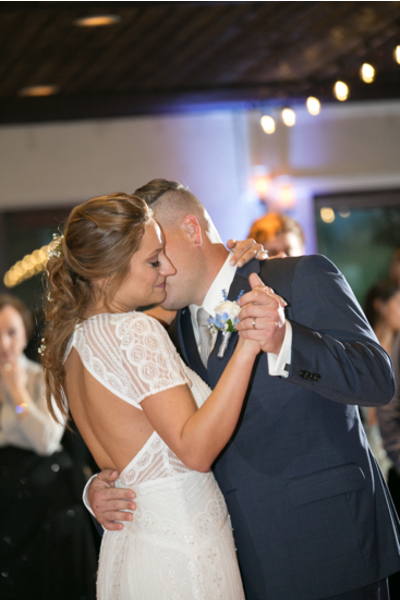 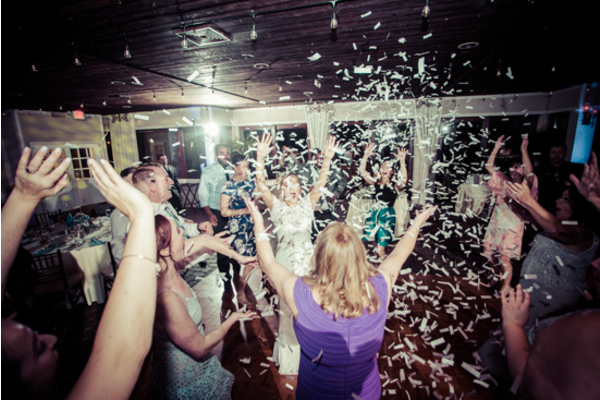 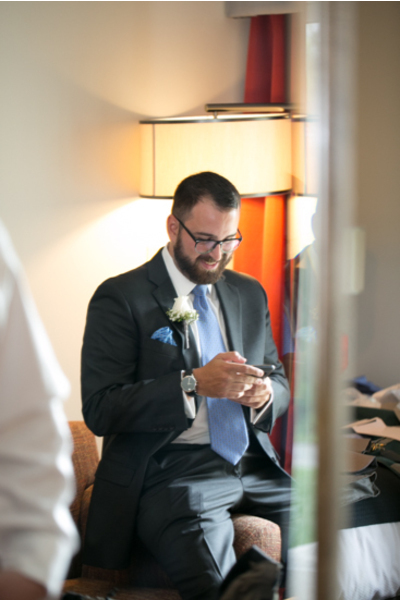 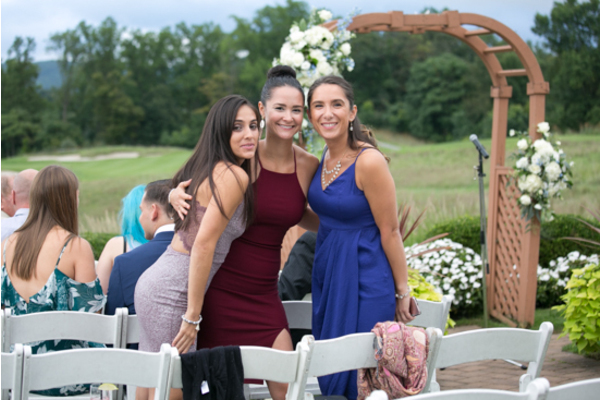 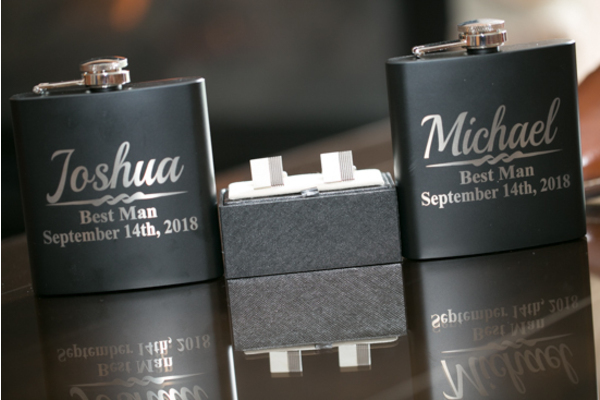 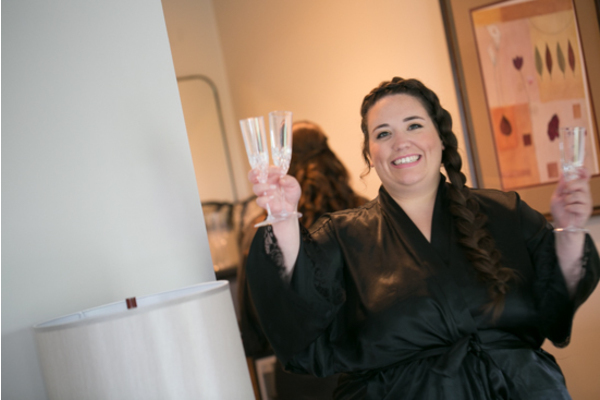 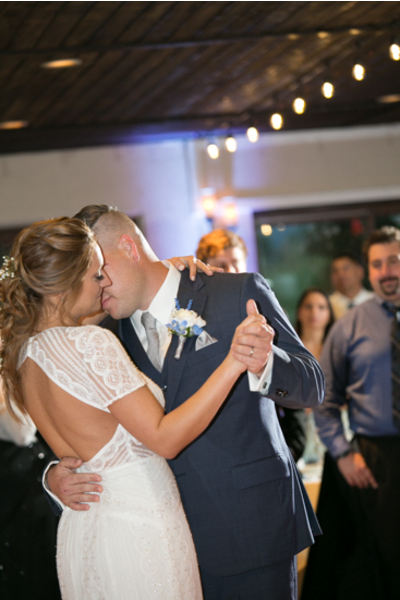 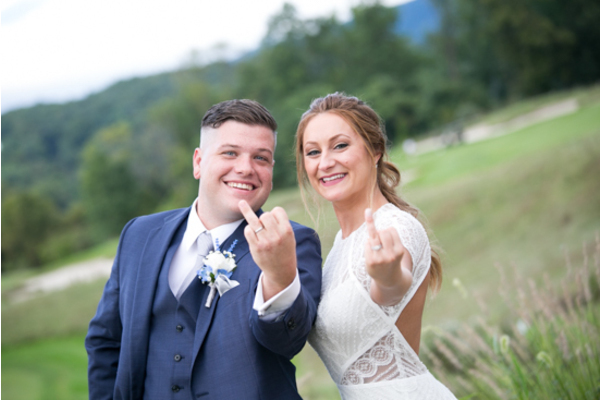 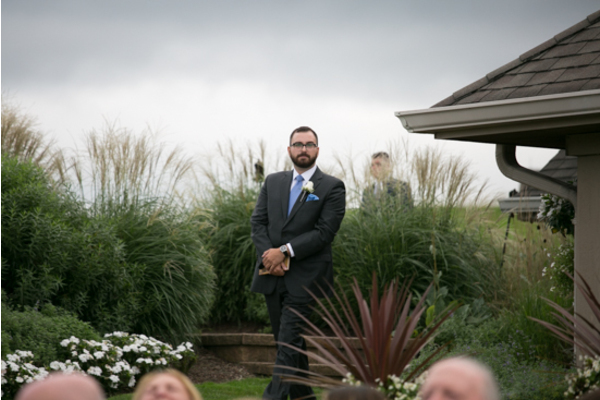 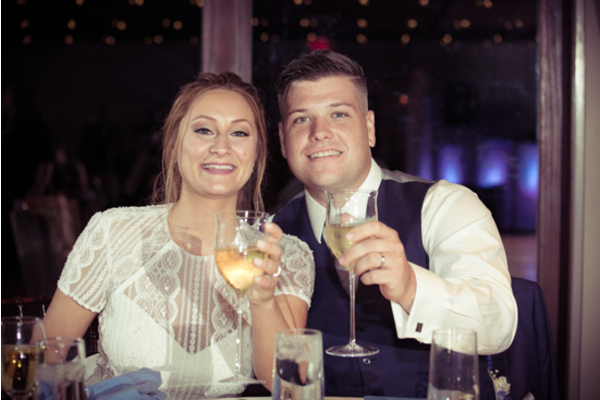 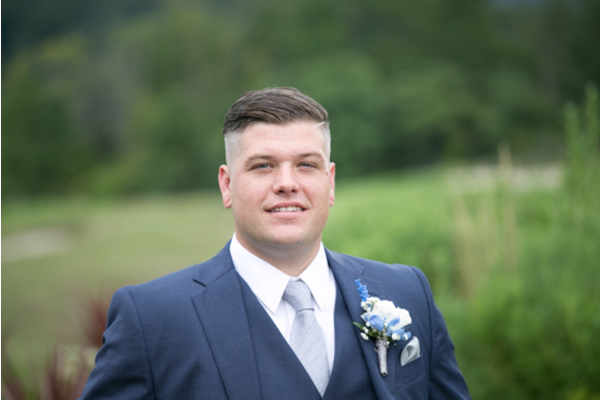 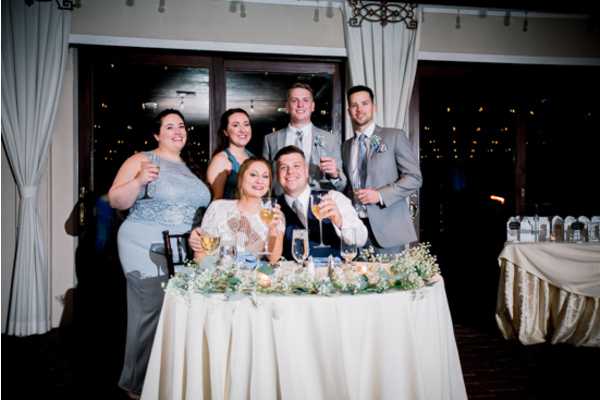 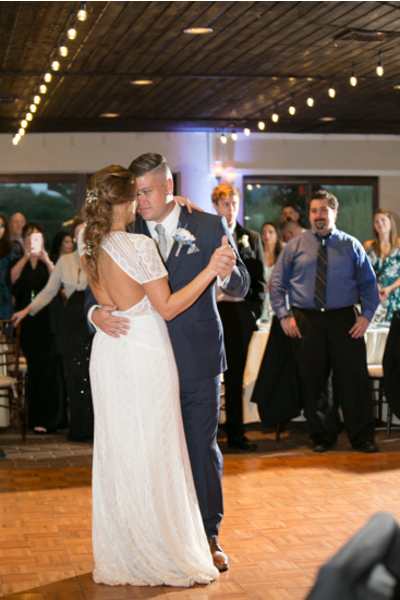 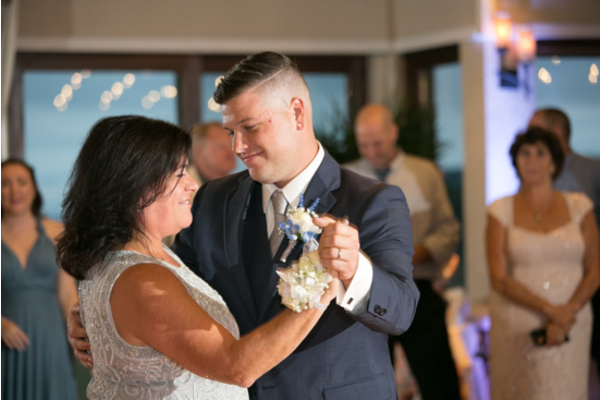 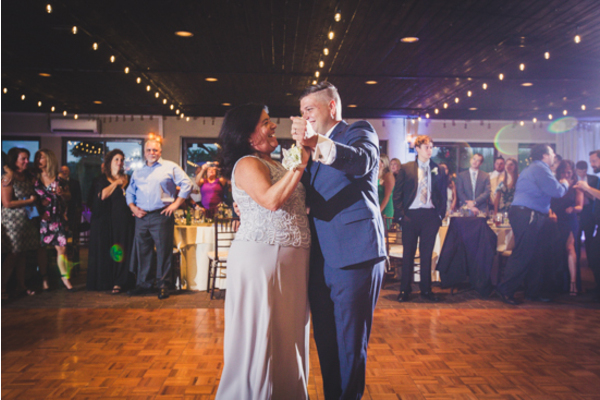 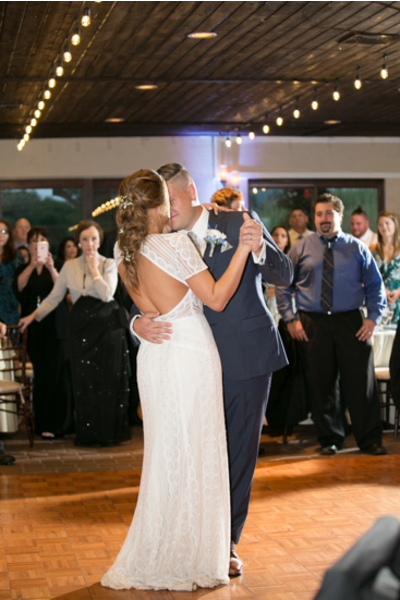 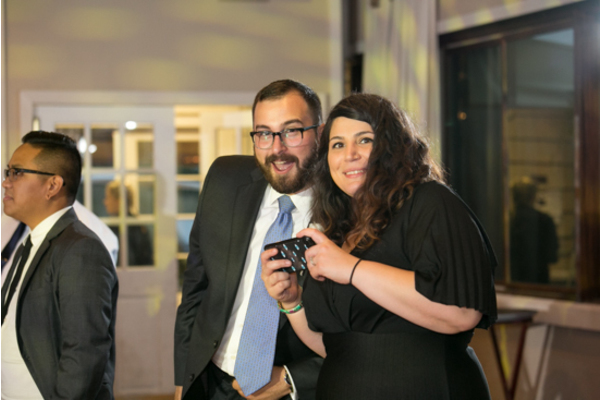 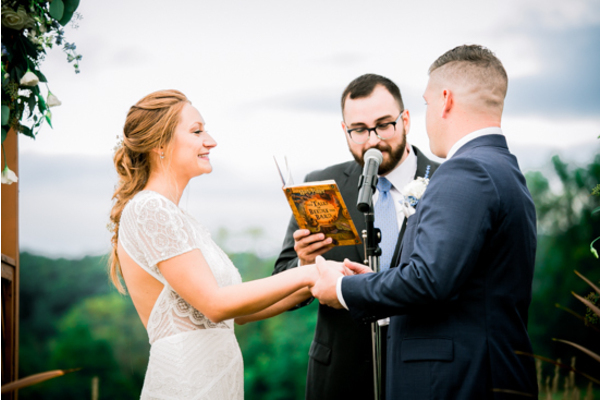 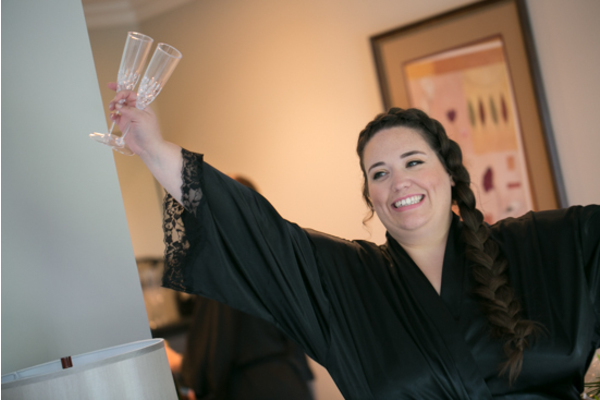 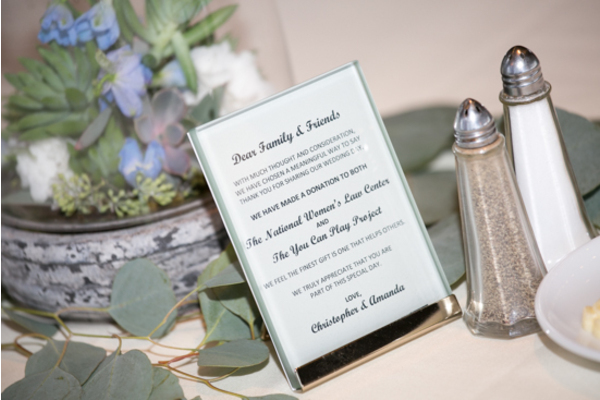 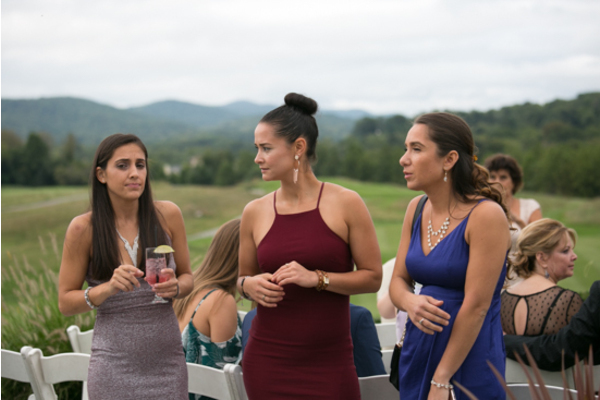 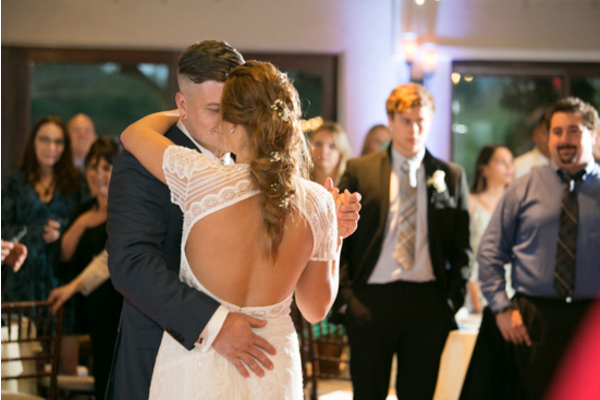 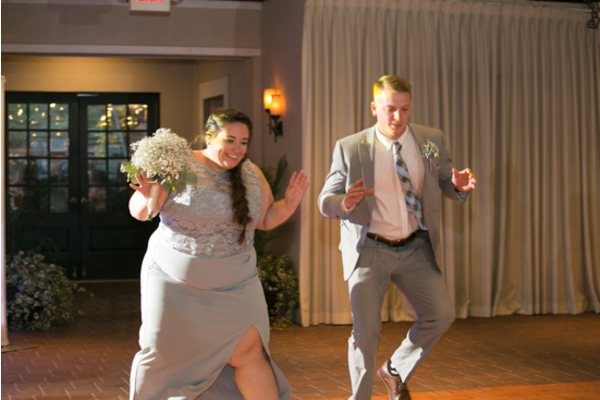 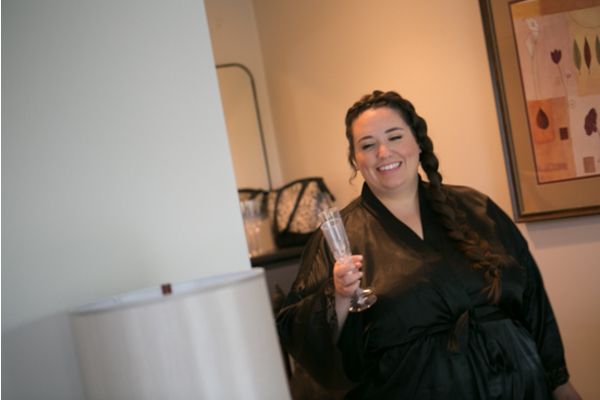 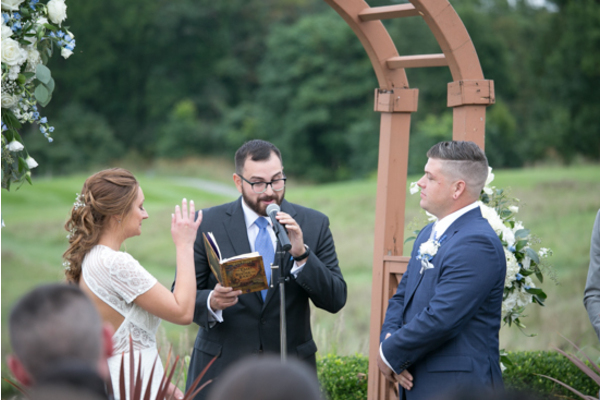 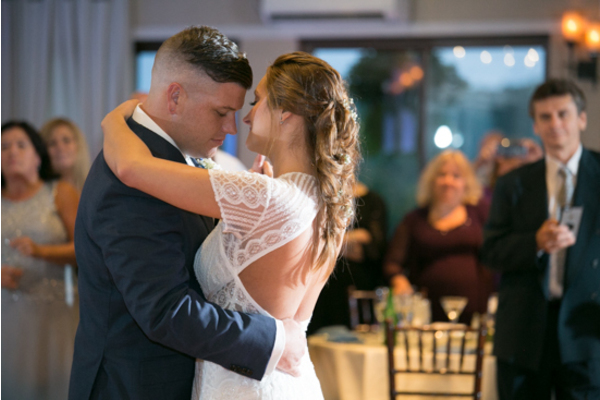 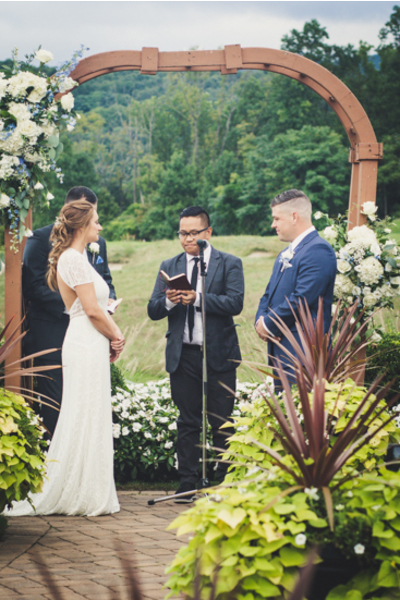 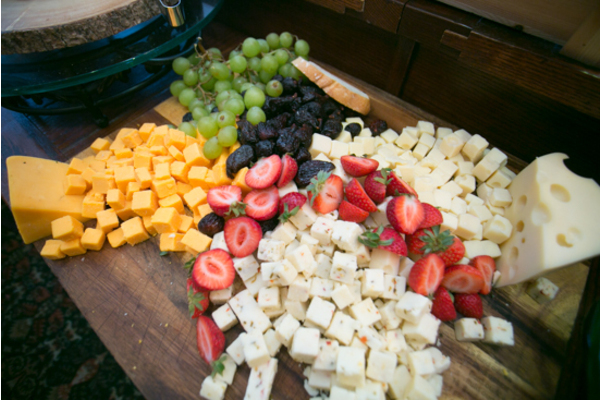 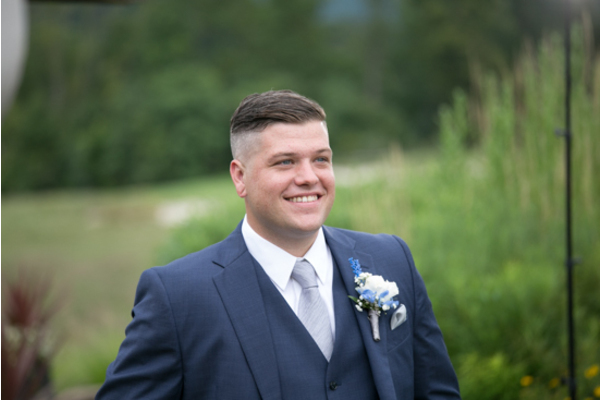 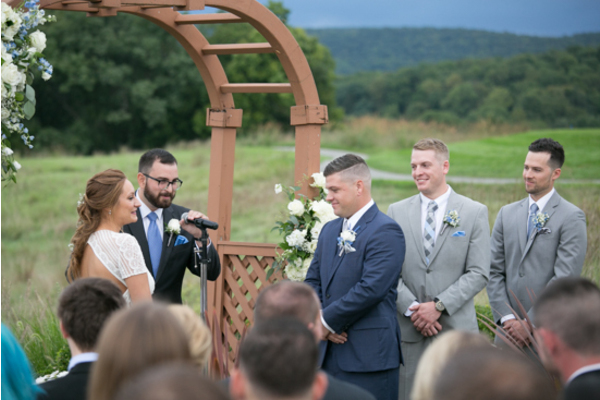 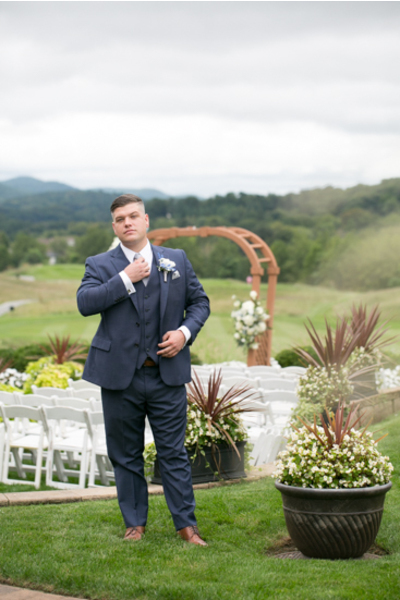 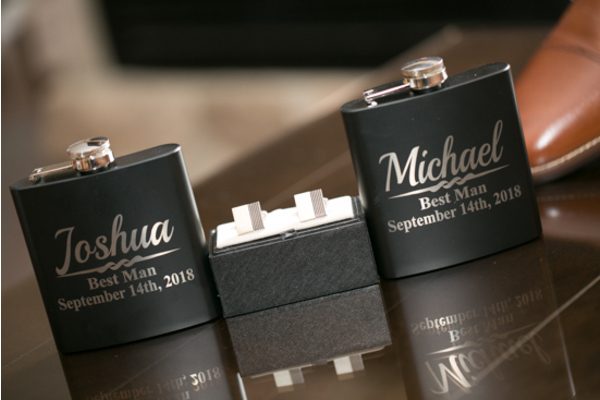 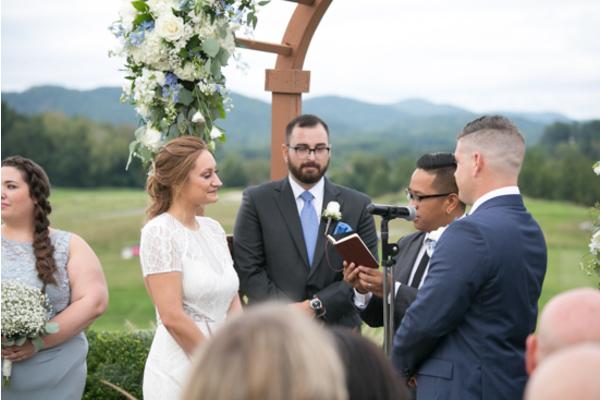 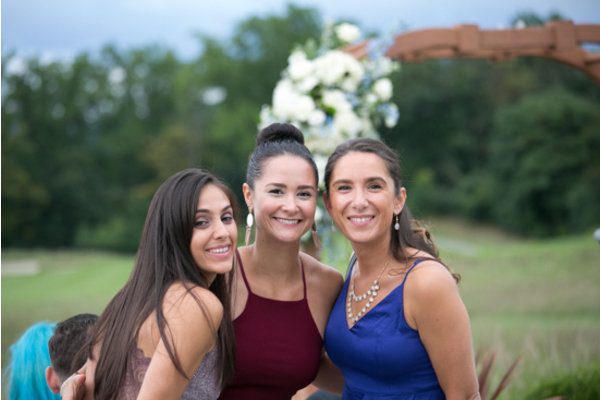 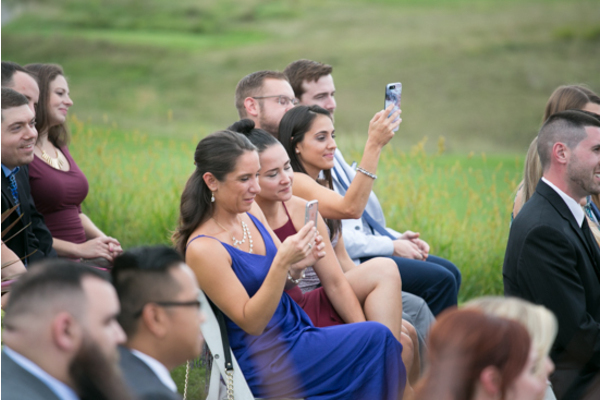 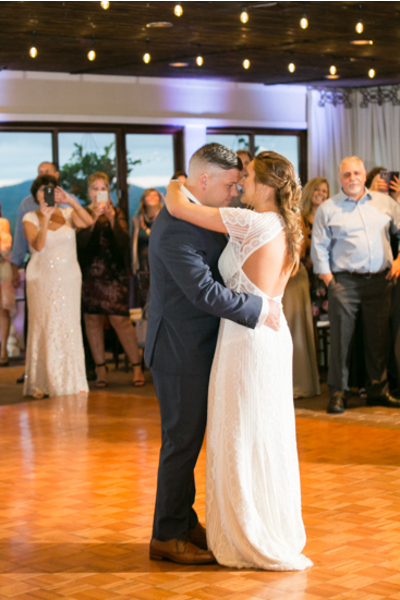 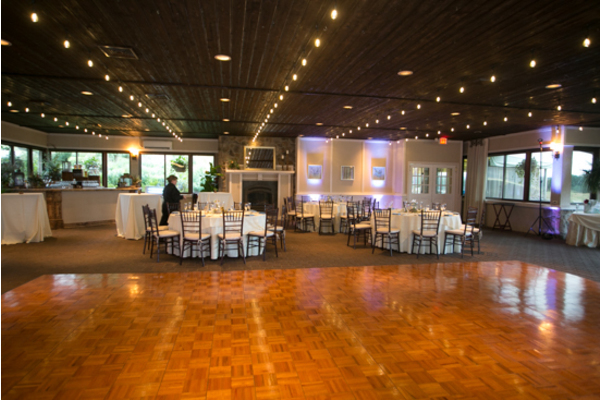 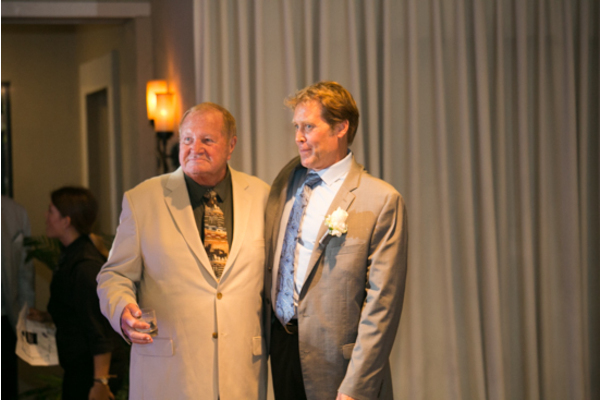 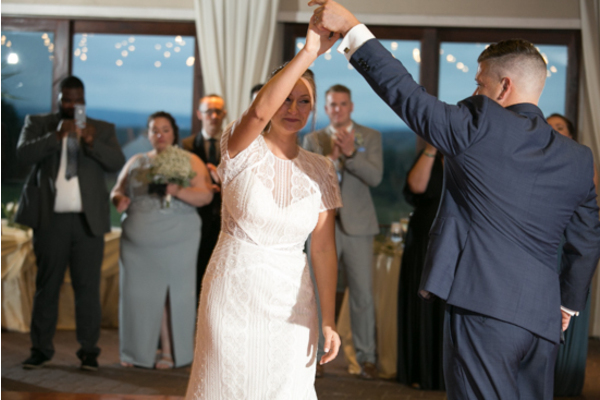 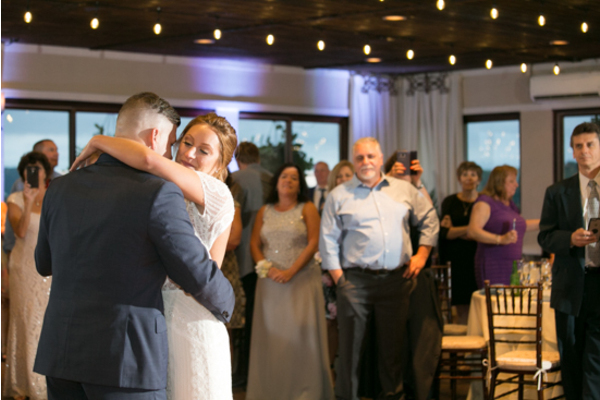 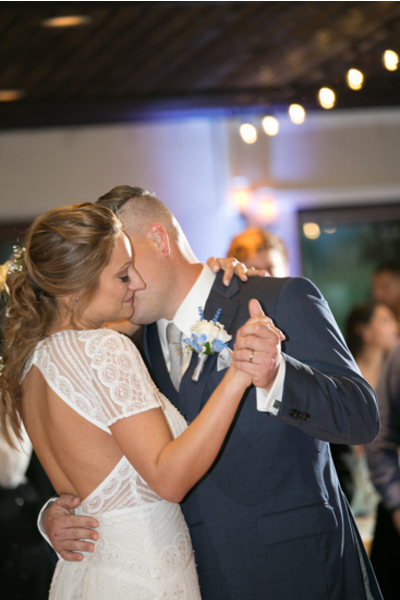 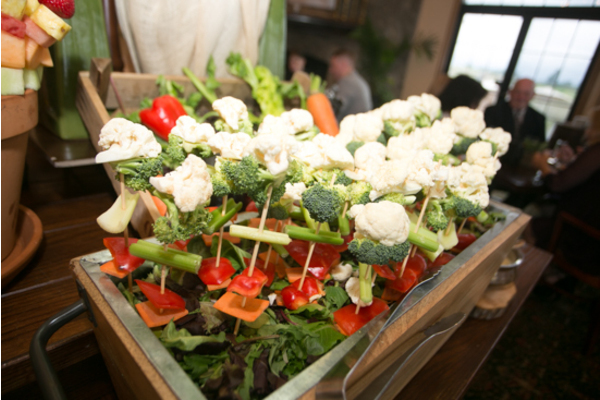 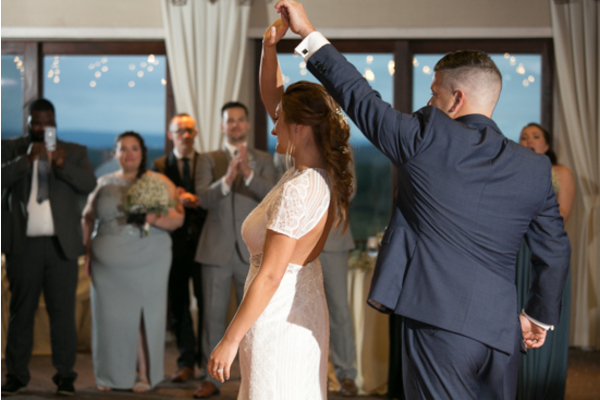 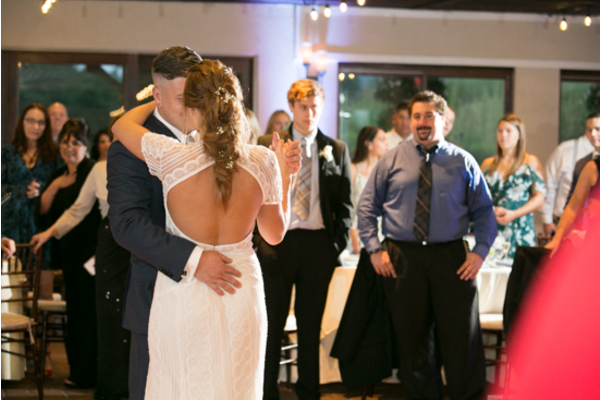 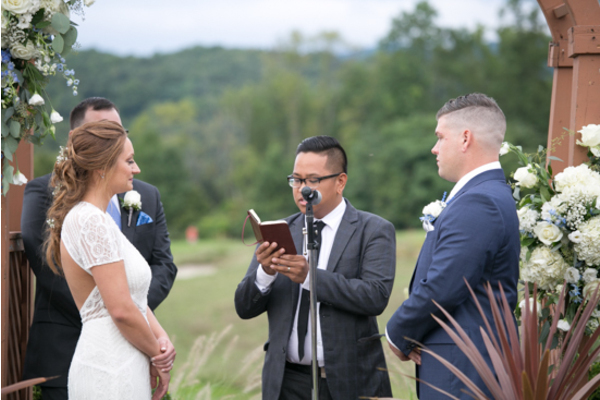 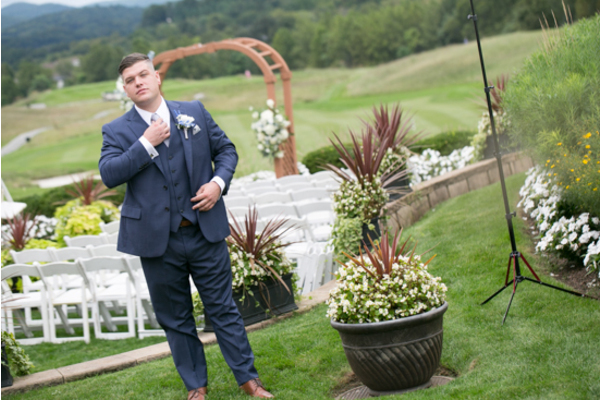 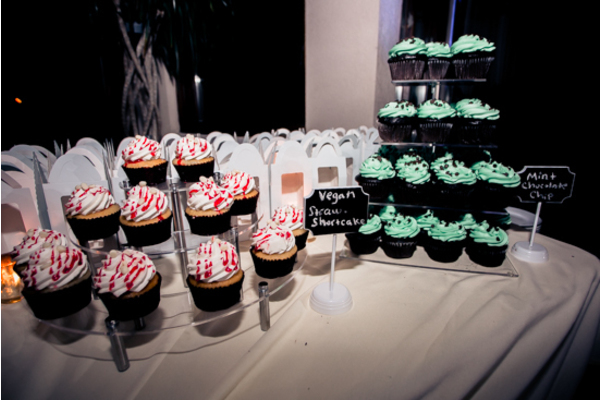 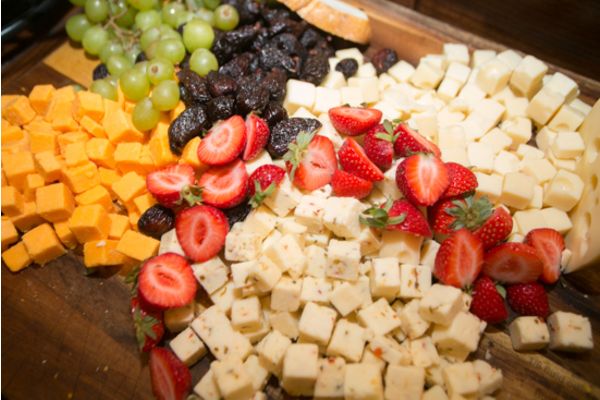 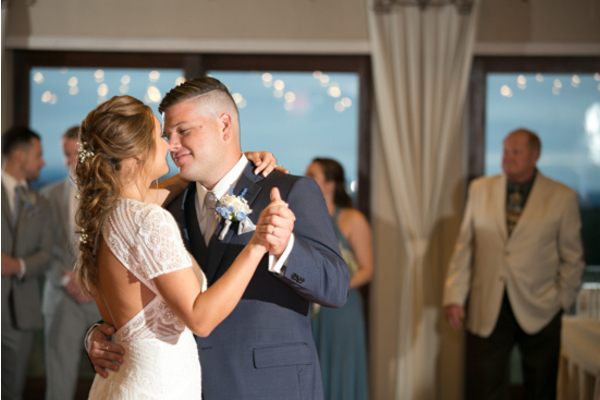 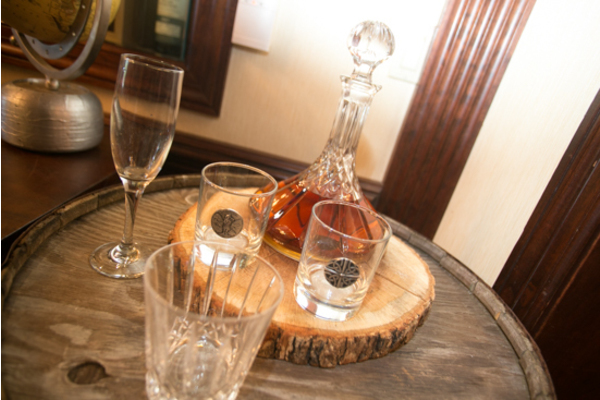 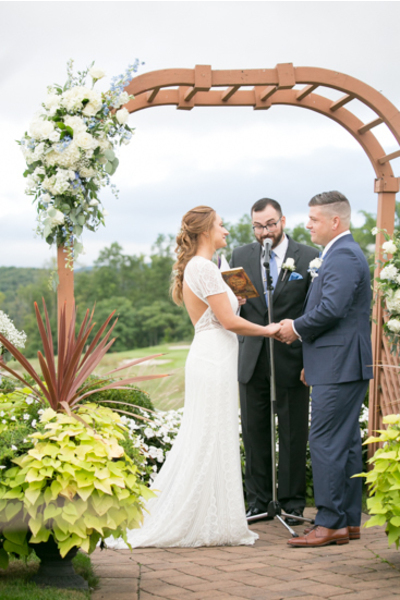 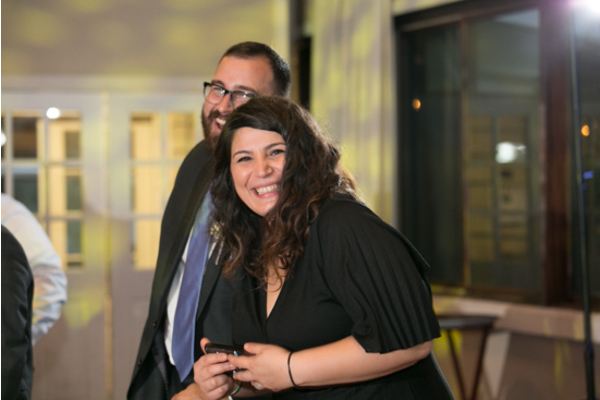 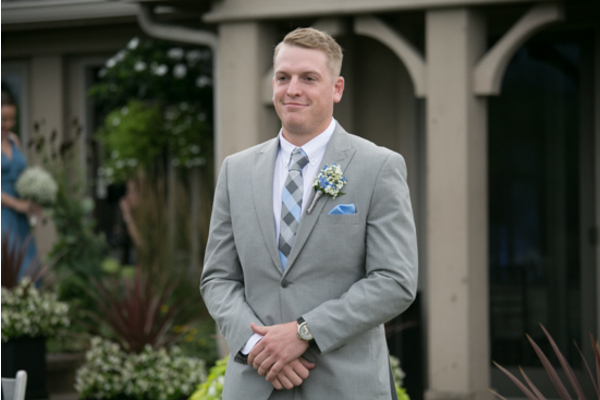 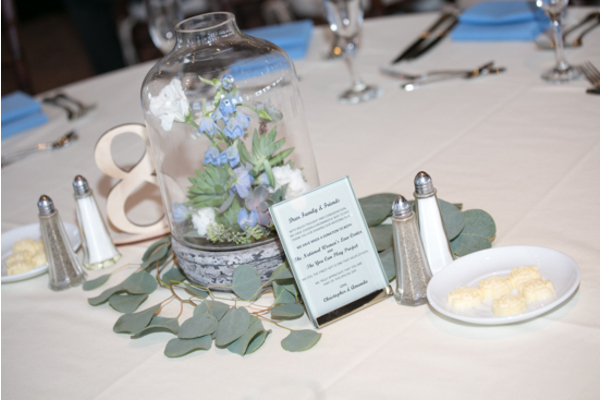 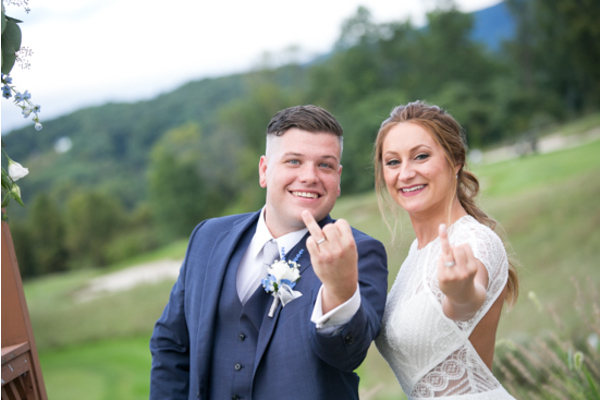 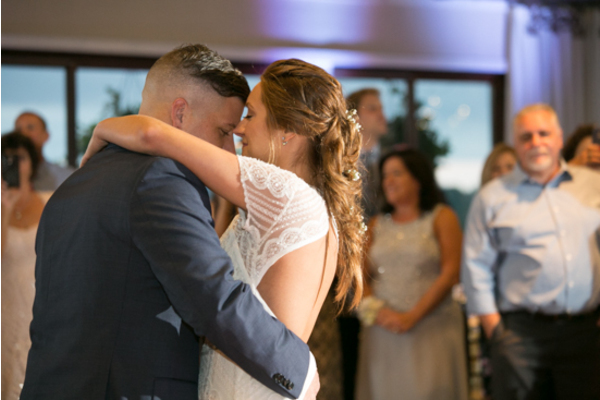 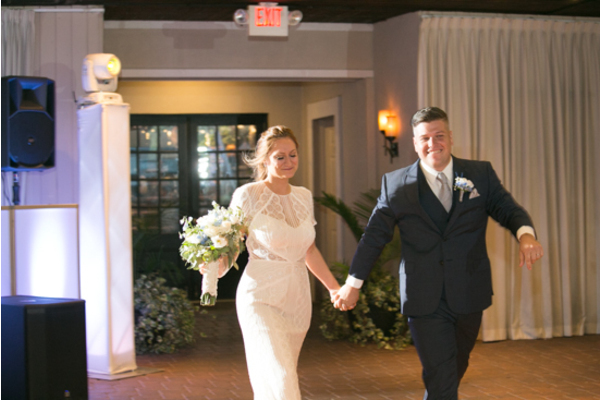 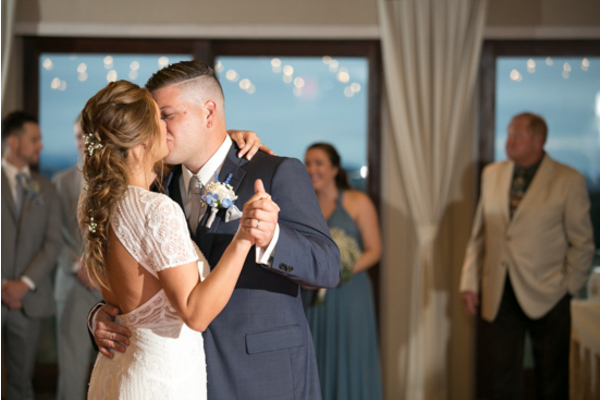 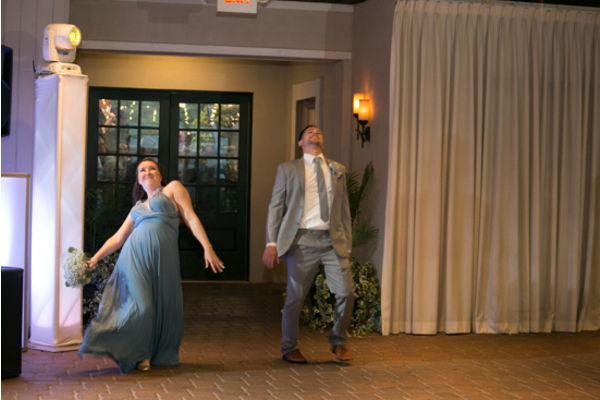 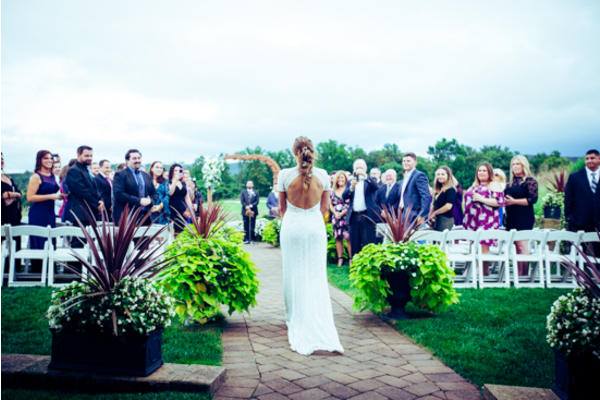 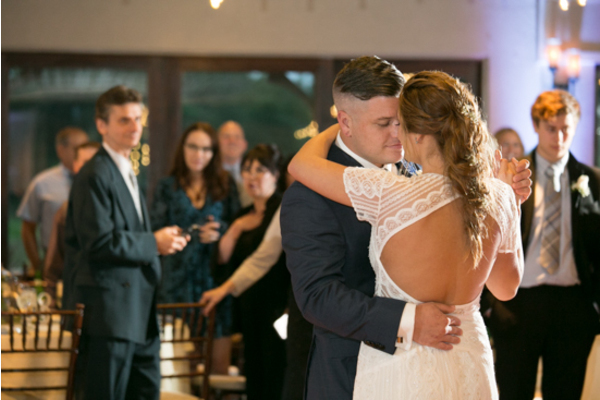 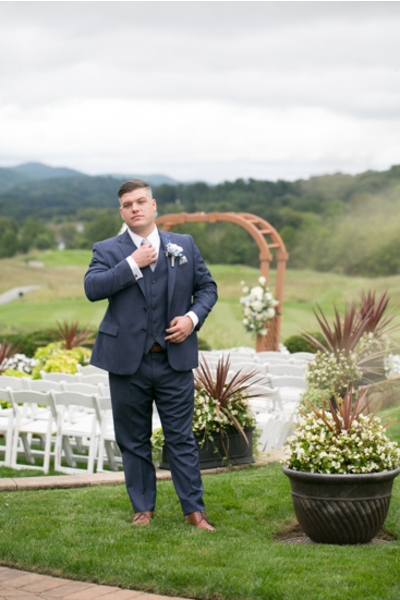 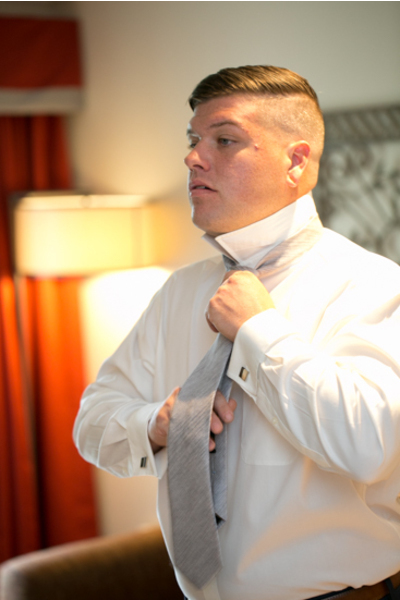 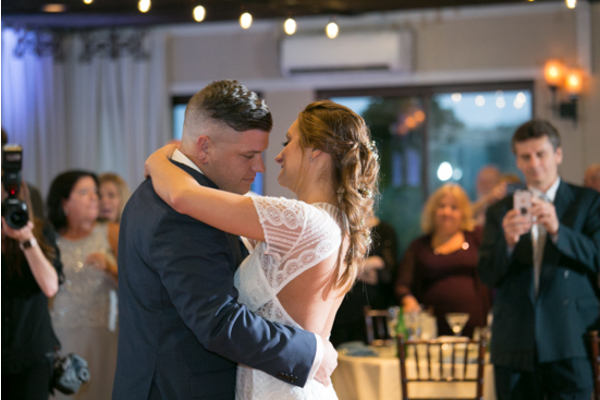 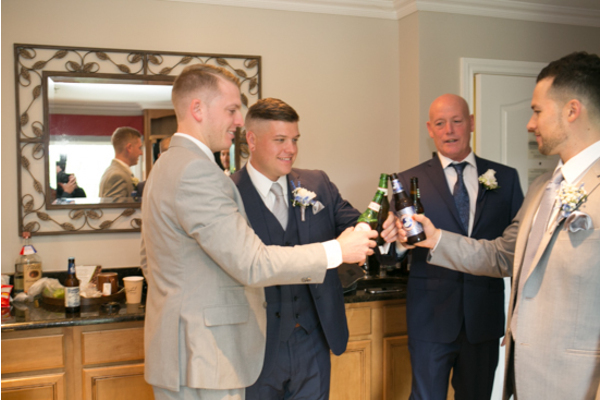 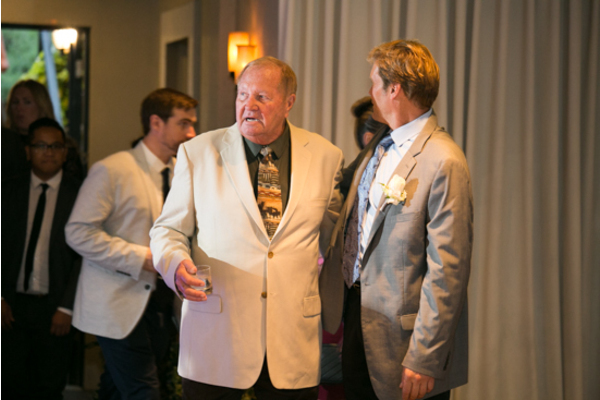 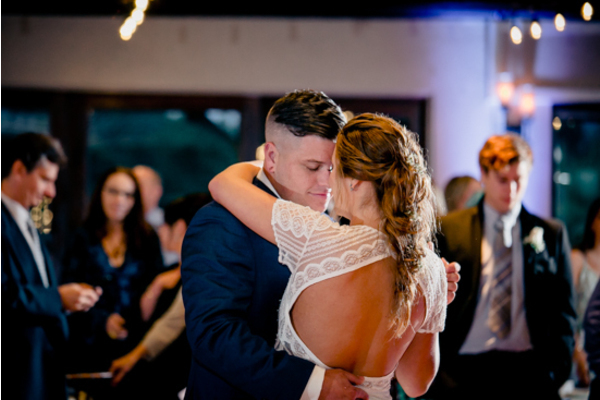 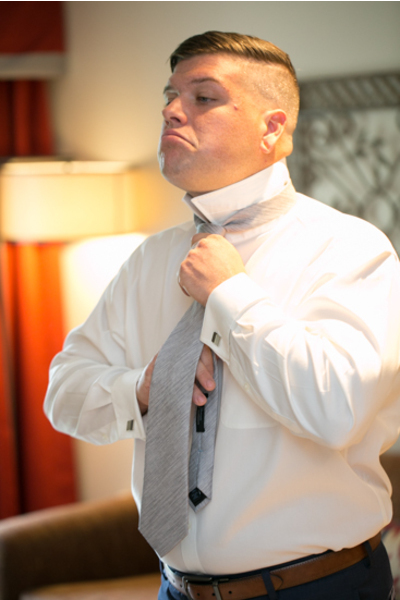 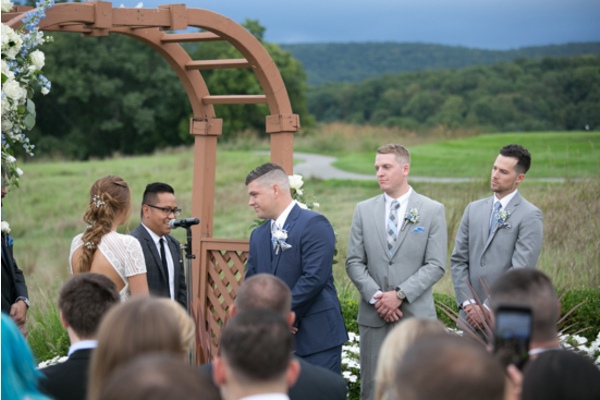 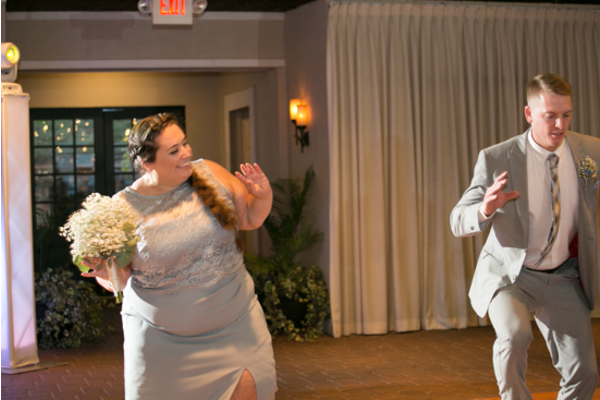 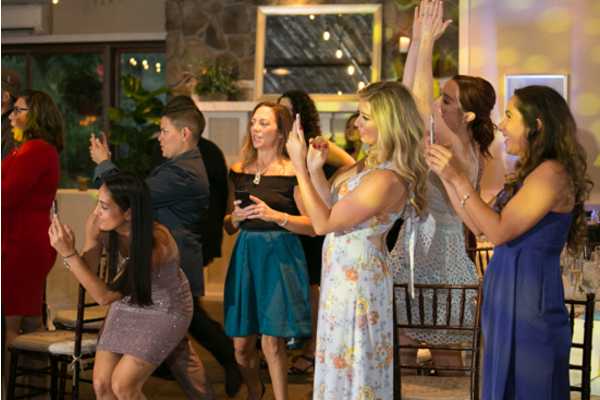 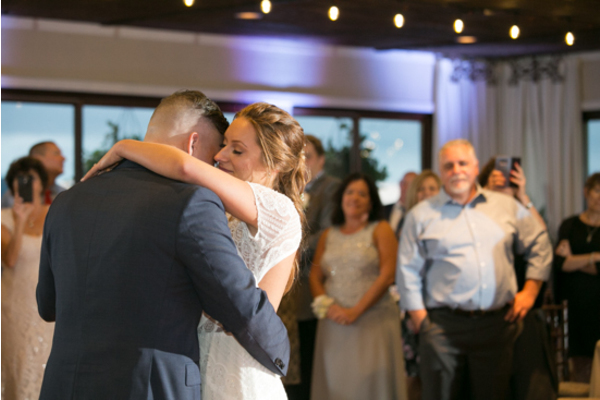 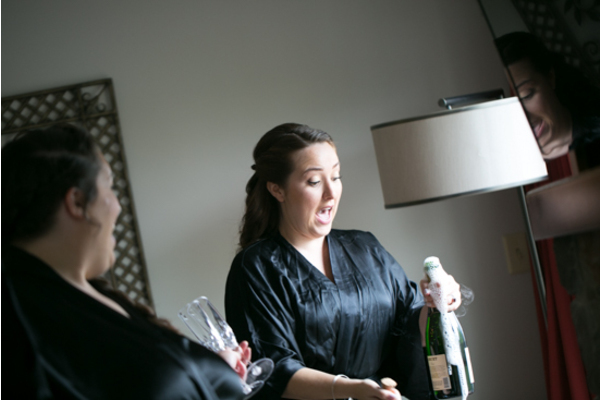 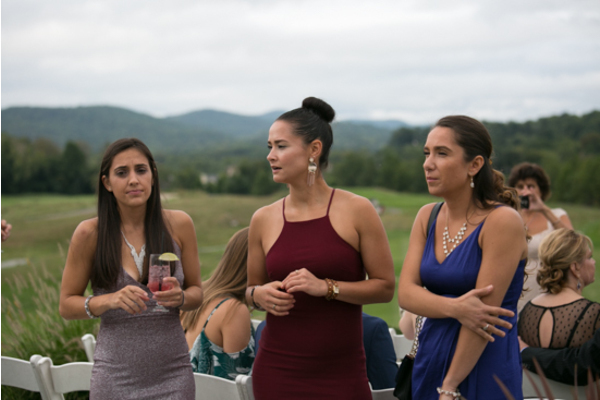 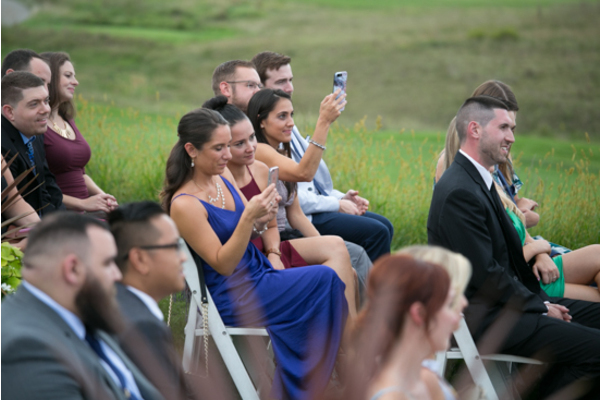 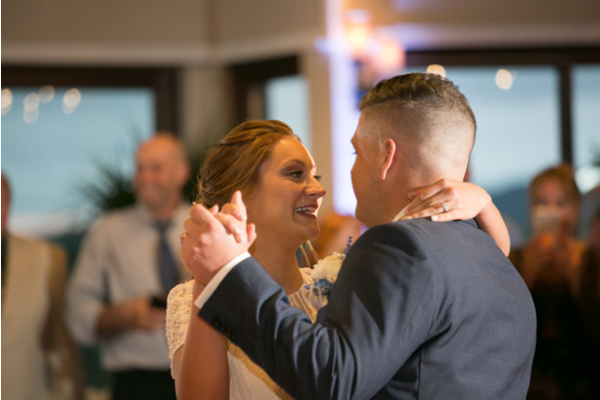 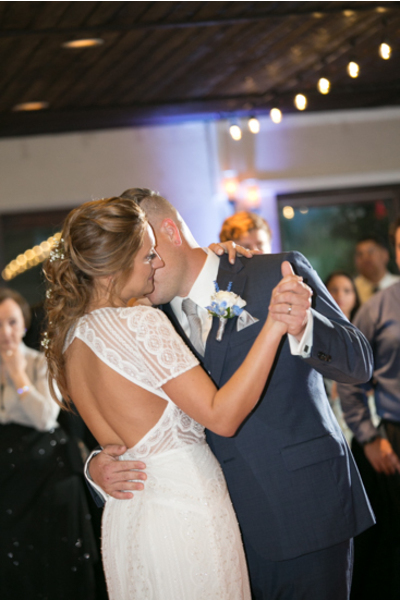 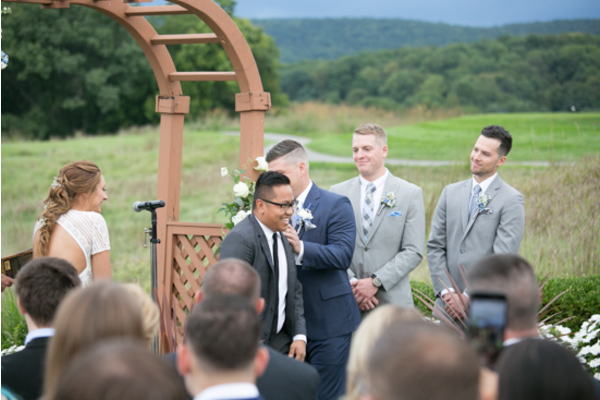 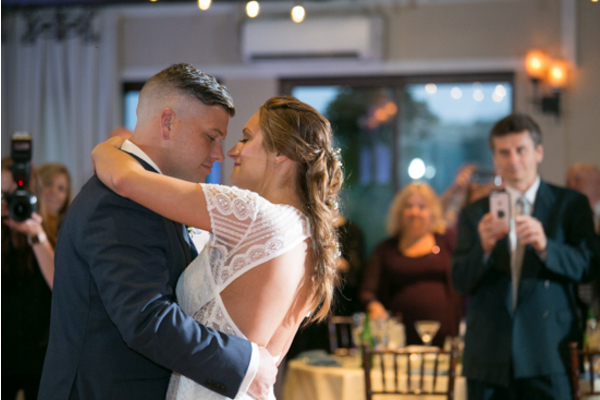 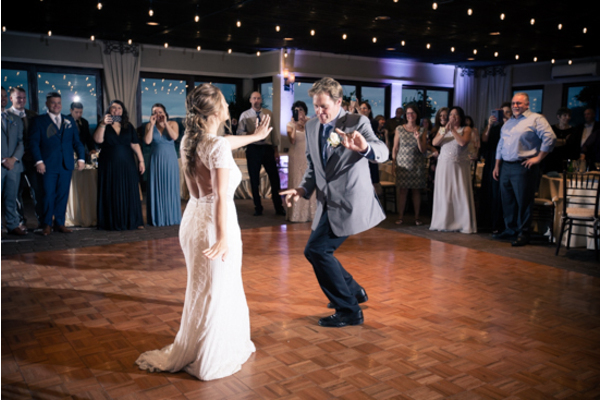 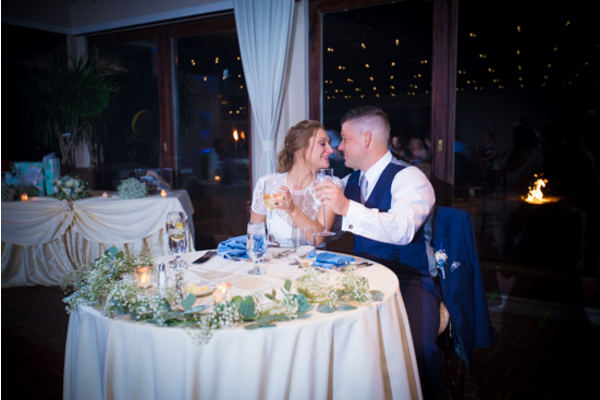 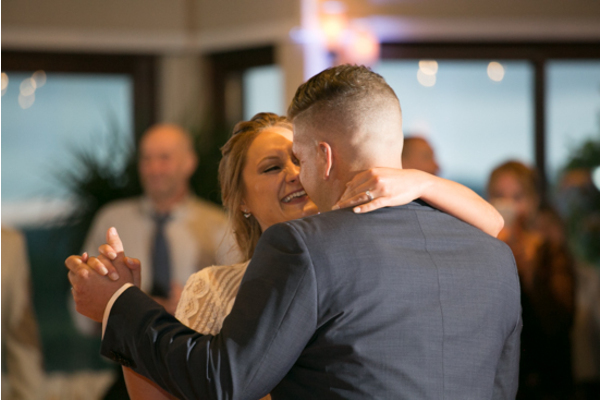 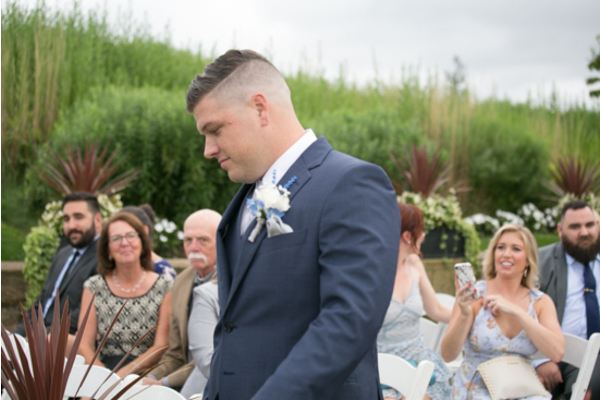 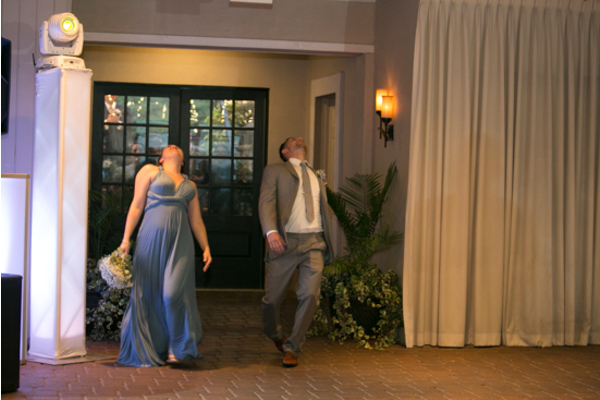 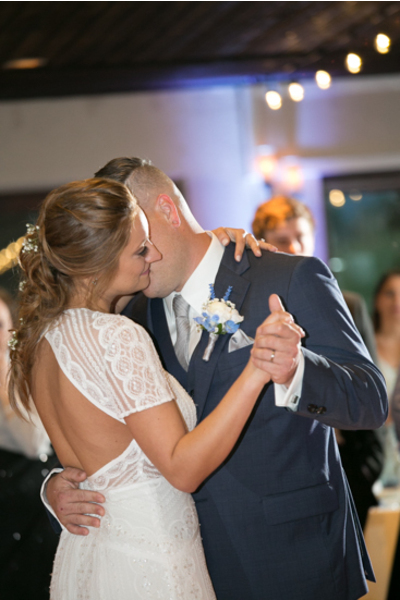 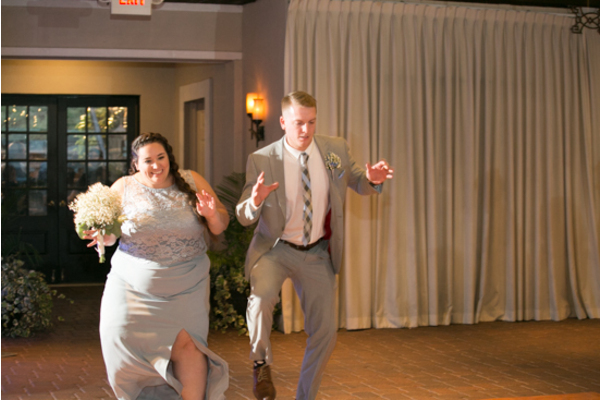 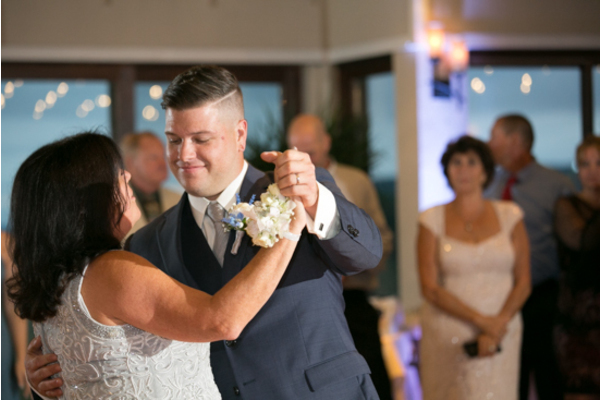 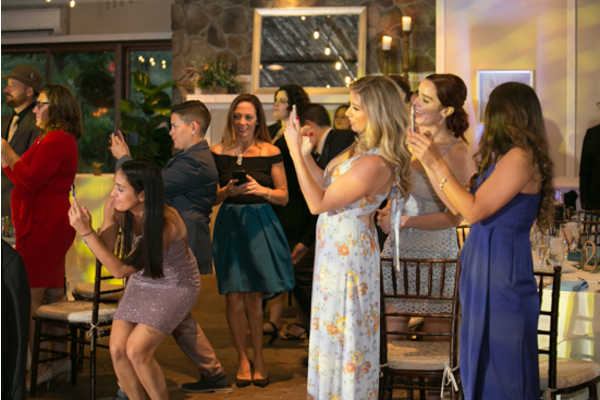 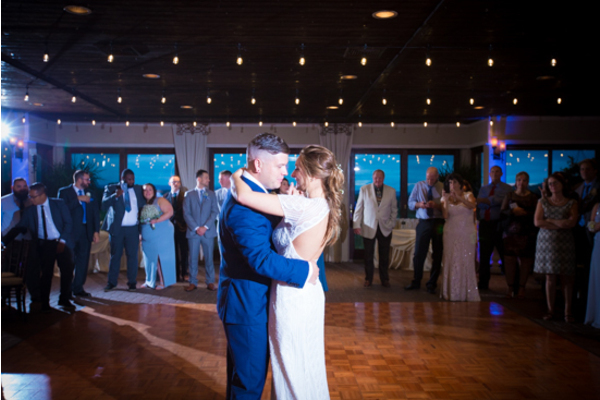 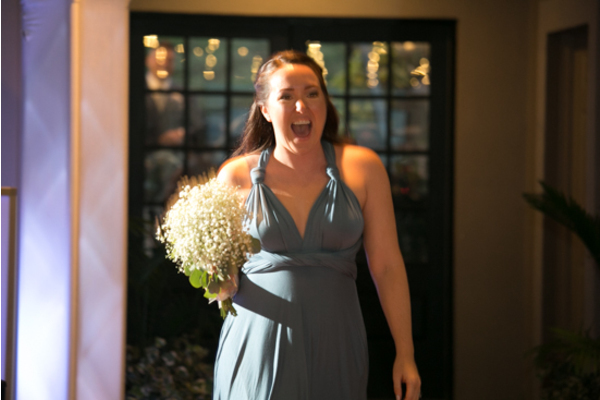 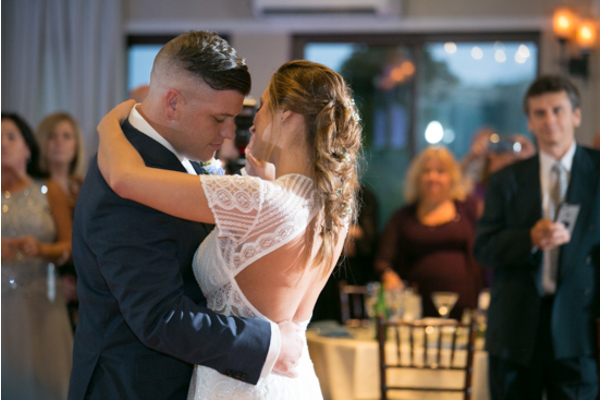 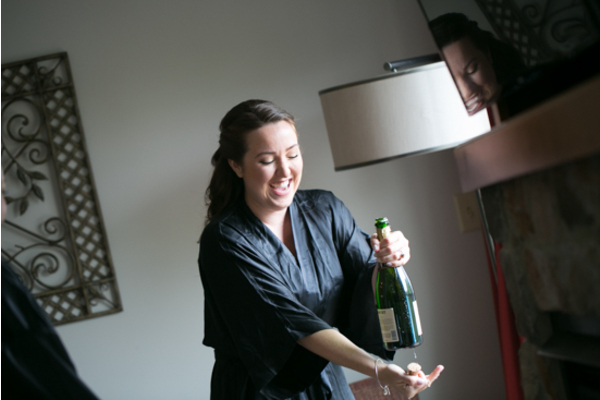 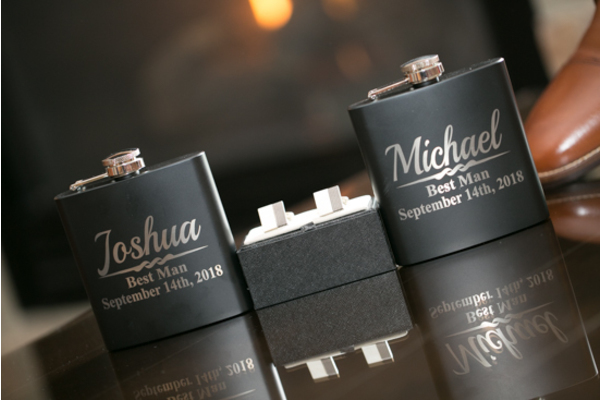 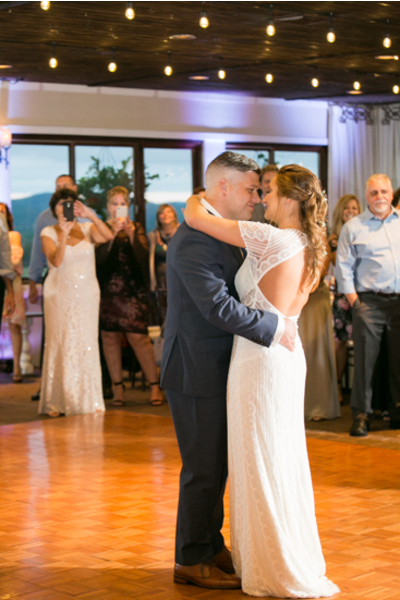 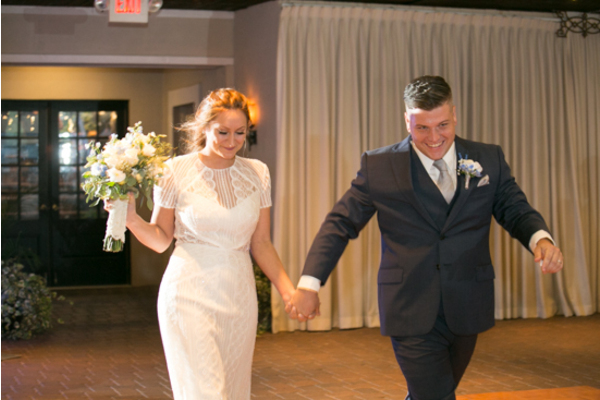 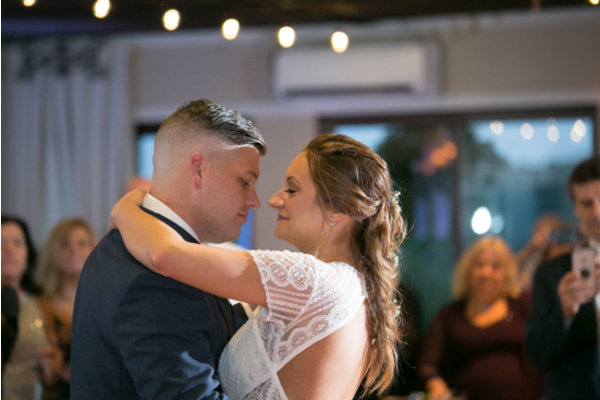 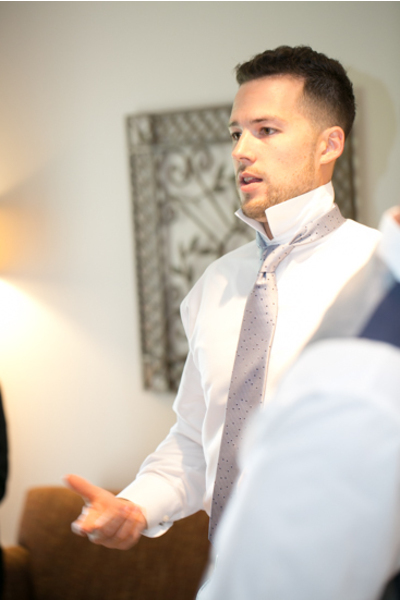 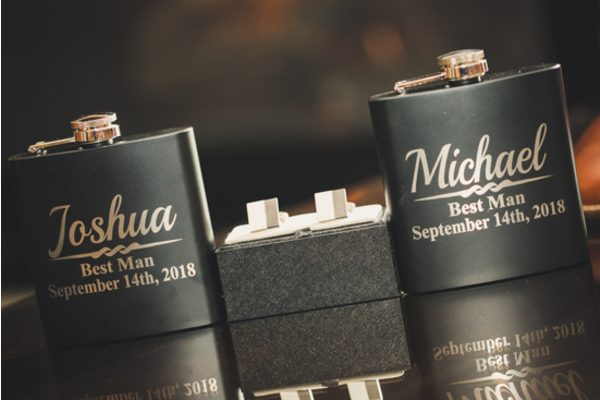 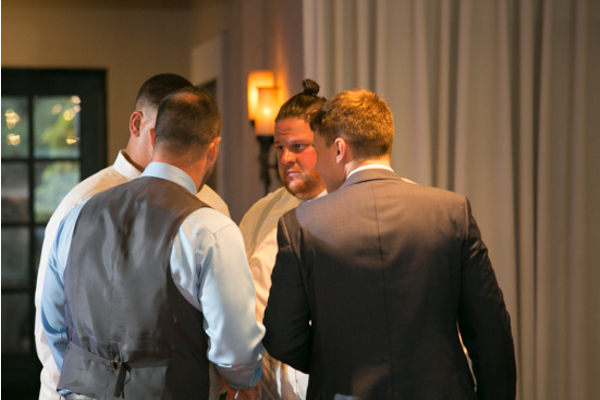 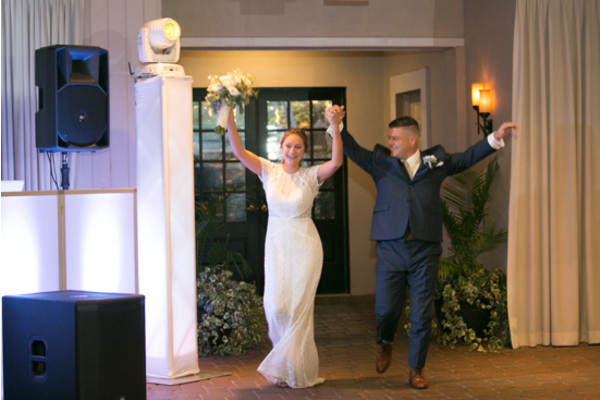 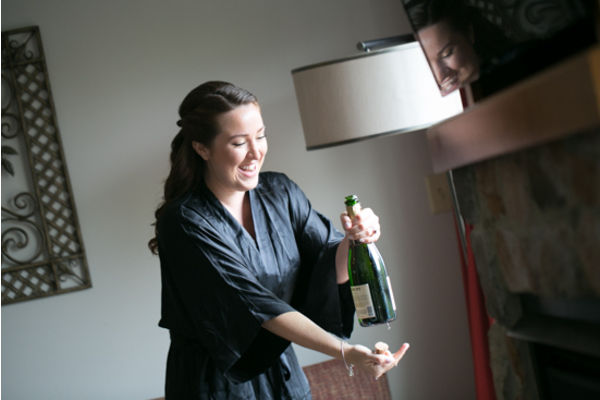 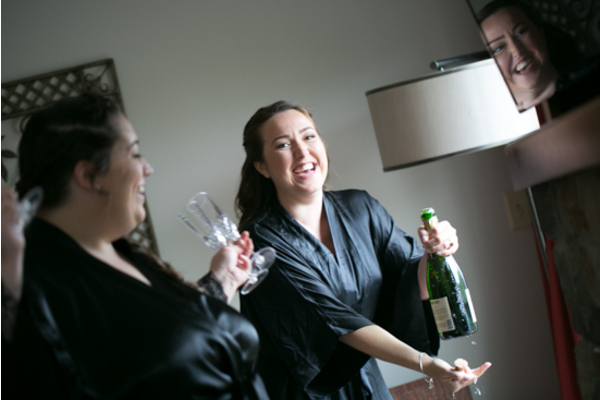 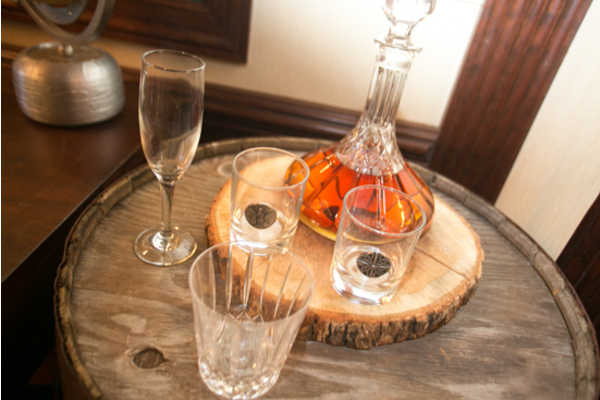 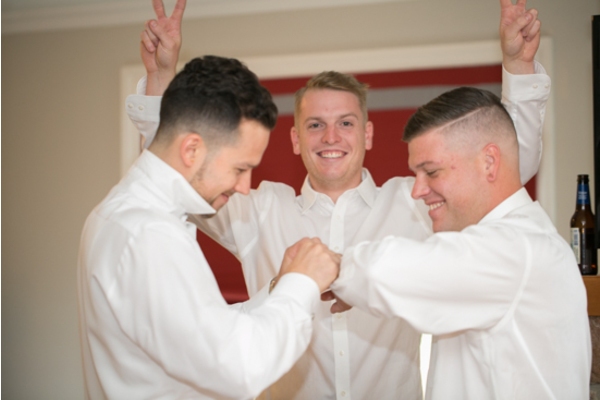 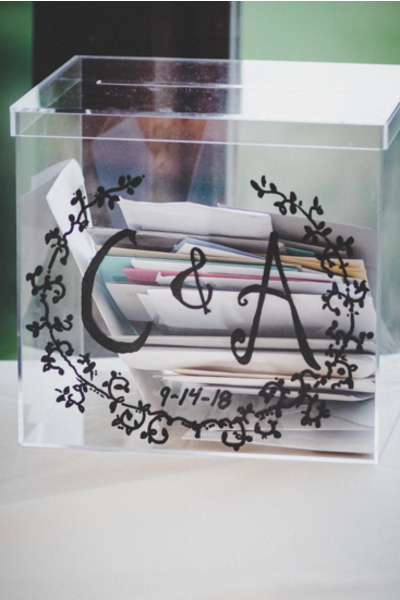 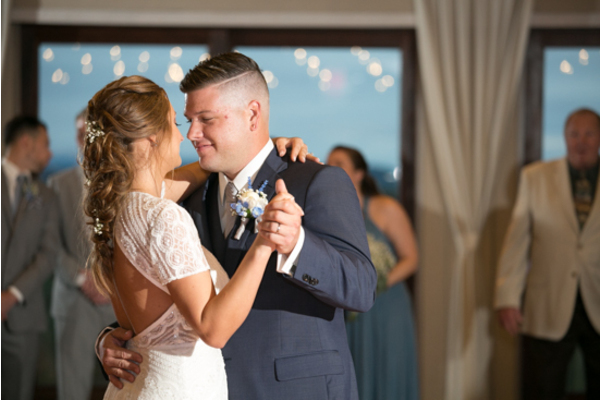 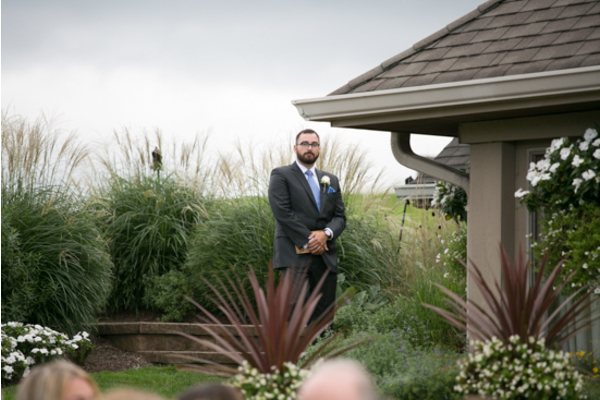 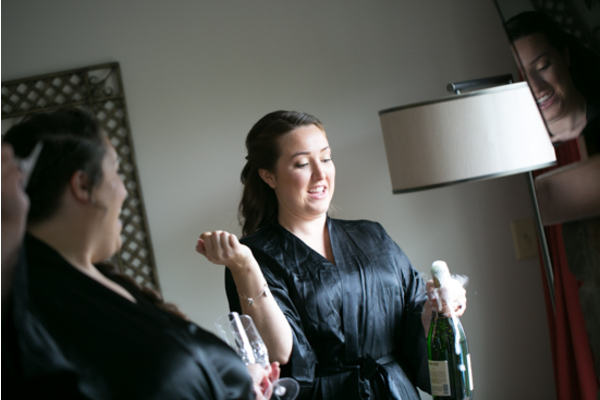 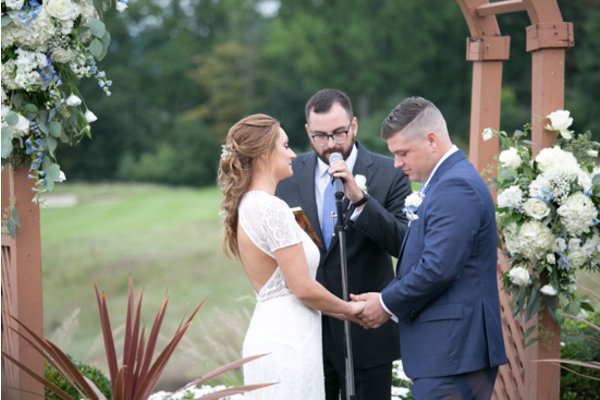 Once all the toasts and the heartfelt speeches were given, our NJ Wedding DJ was sure to get the party started! 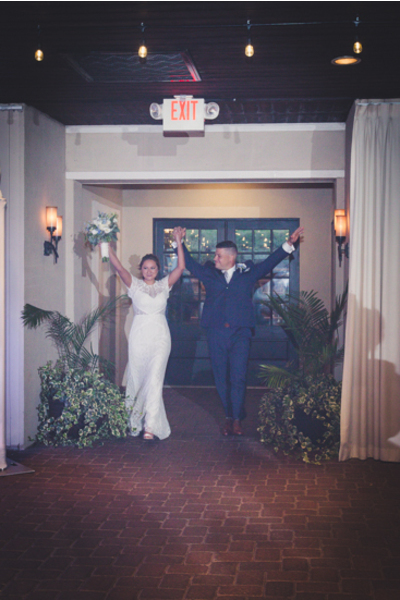 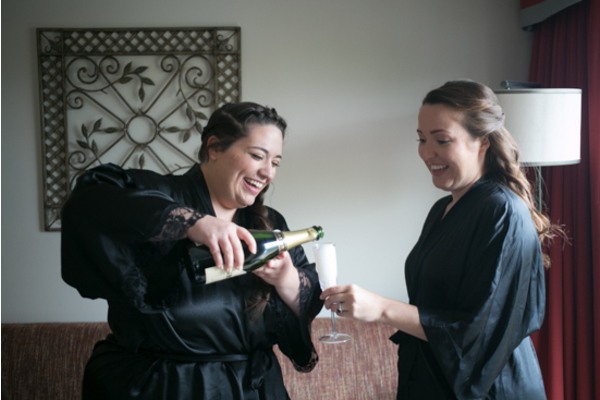 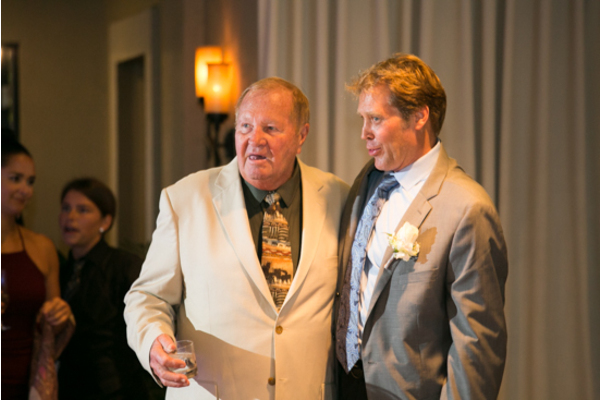 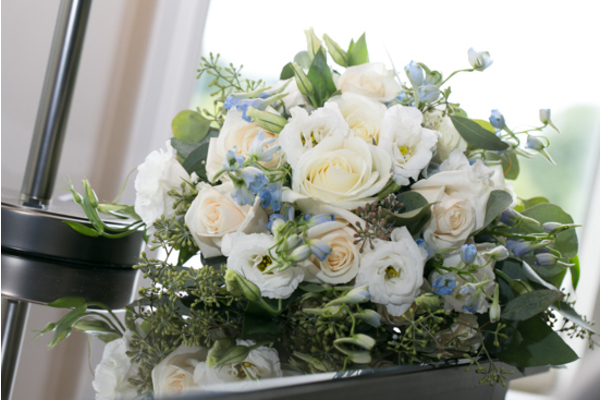 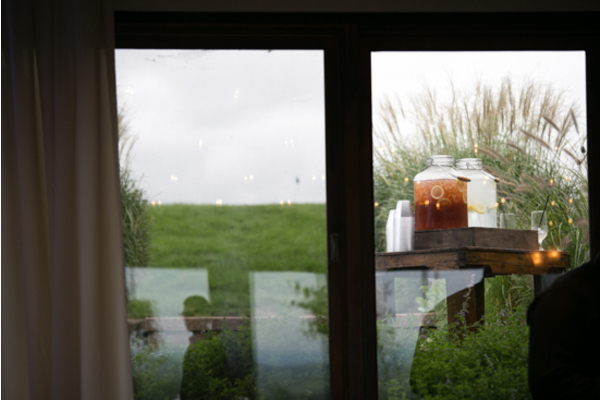 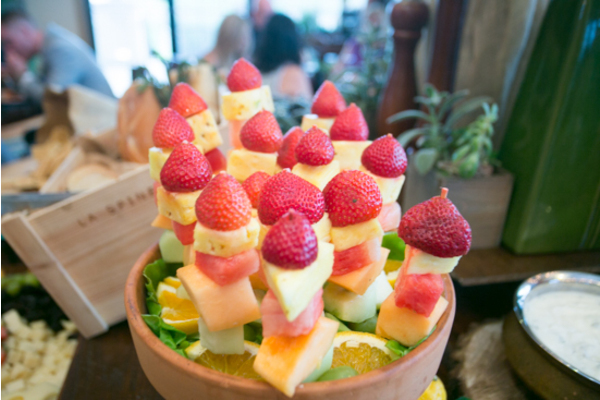 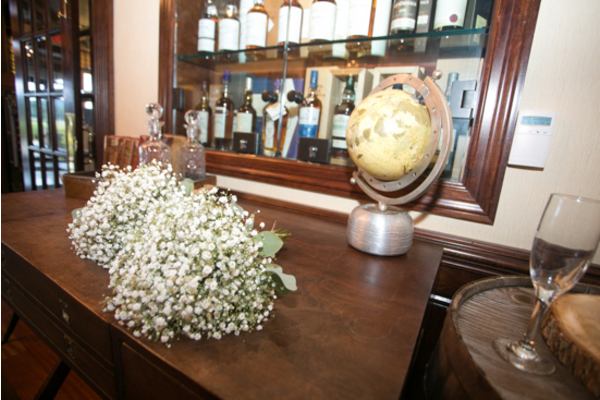 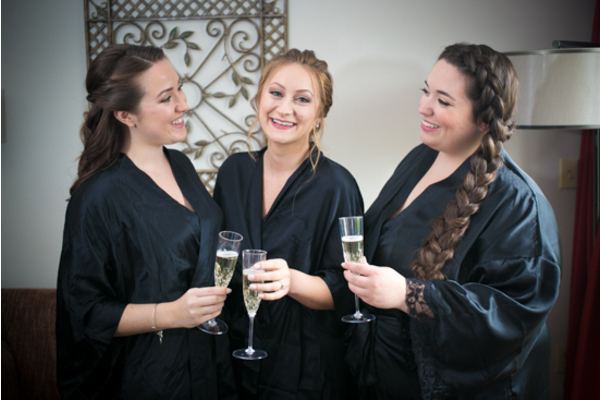 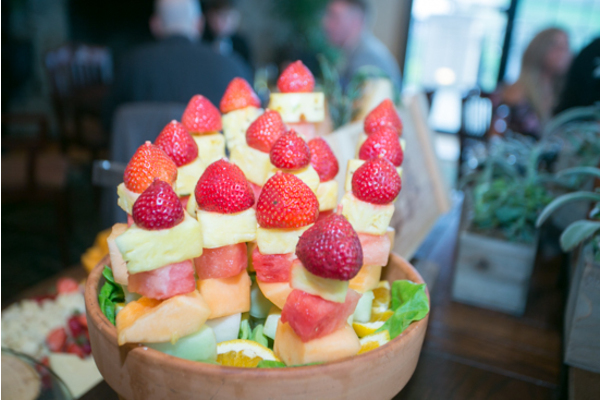 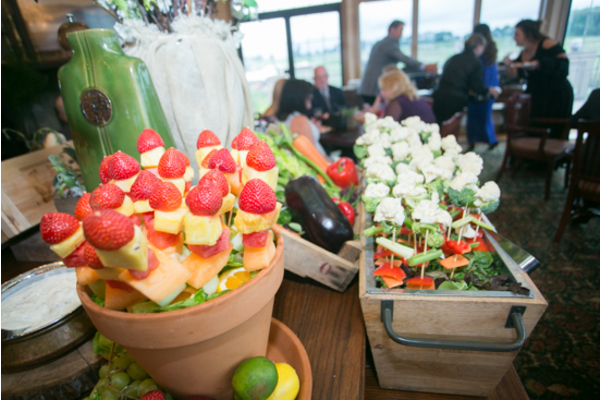 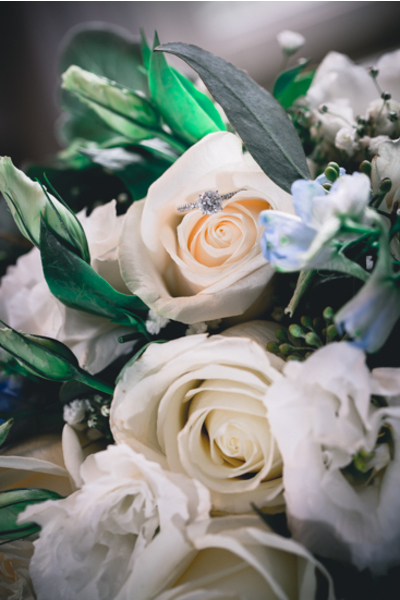 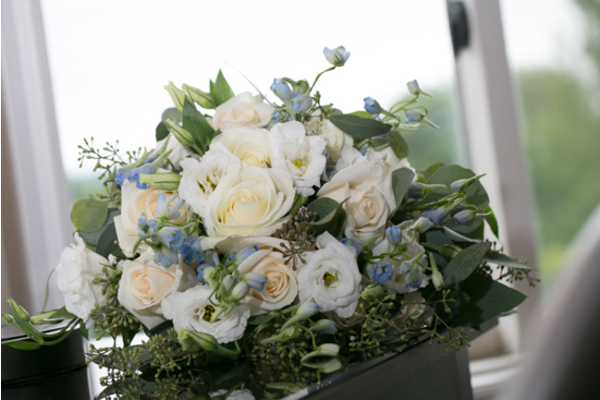 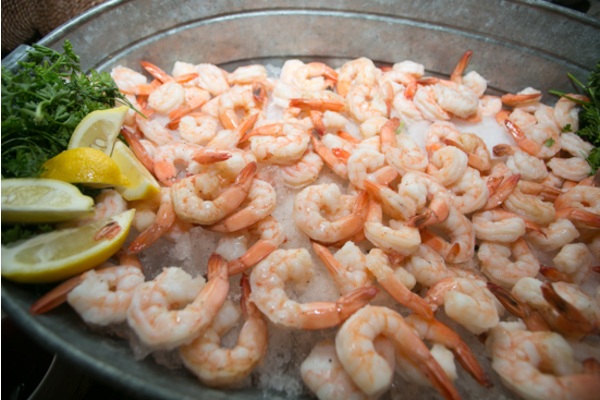 Overcome with love and happiness, guests spent the entire night celebrating the newlyweds! 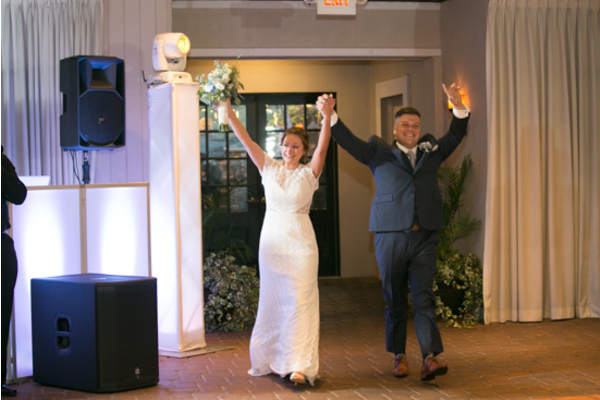 Congratulations, again, to Amanda and Chris. 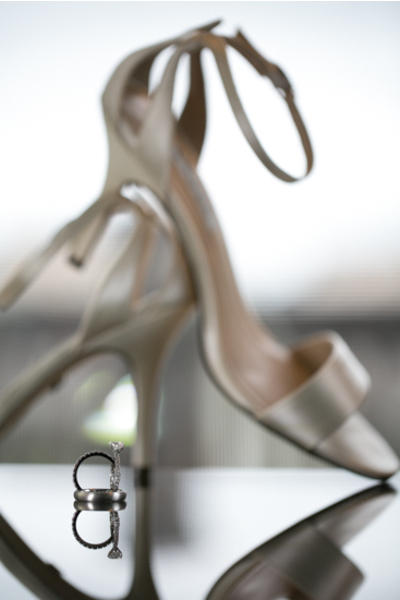 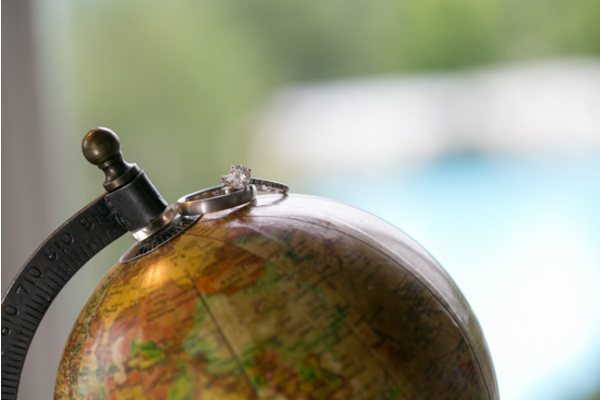 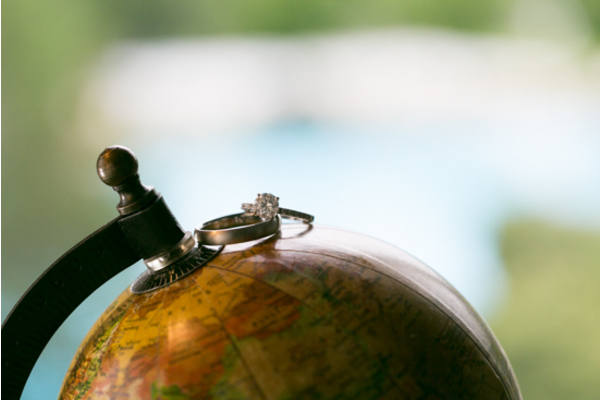 We wish you a lifetime of happiness and love!